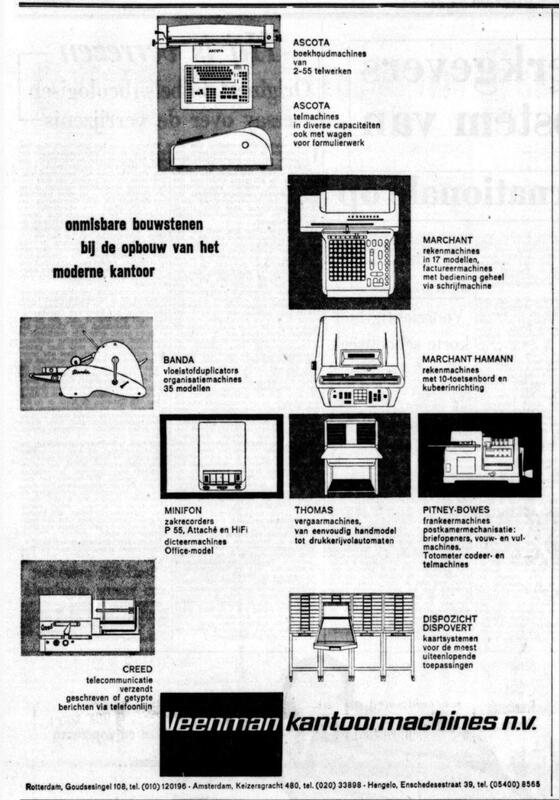 There are many online archives of newspapers and magazines, such as archive.org. 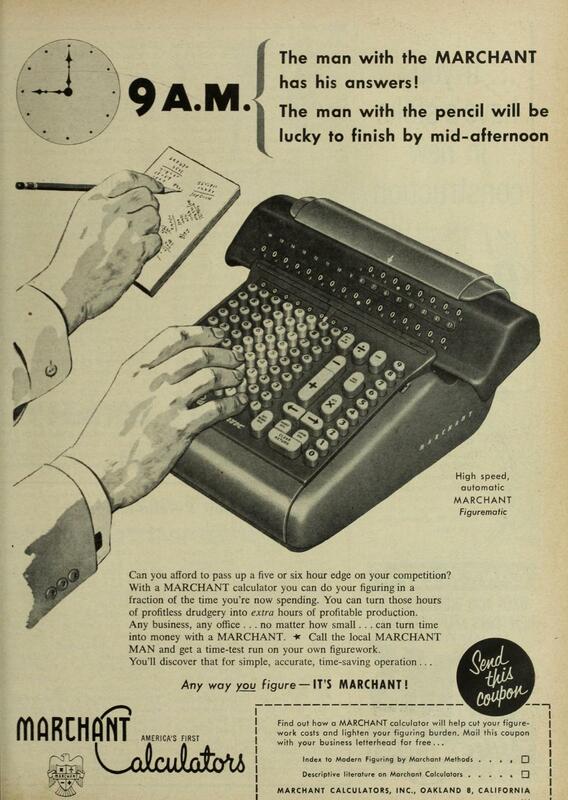 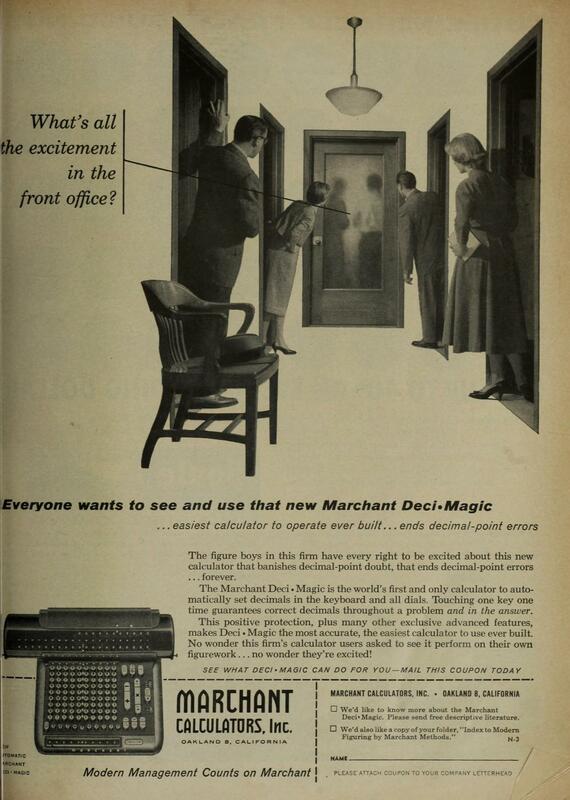 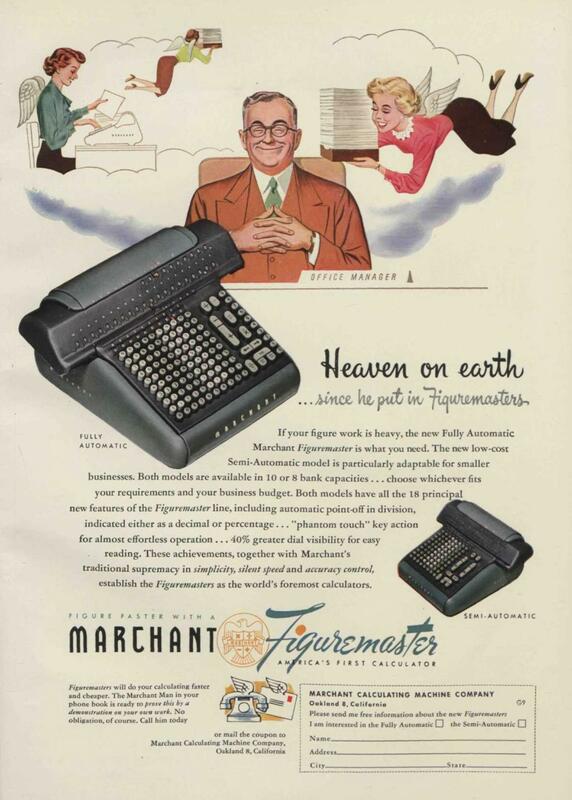 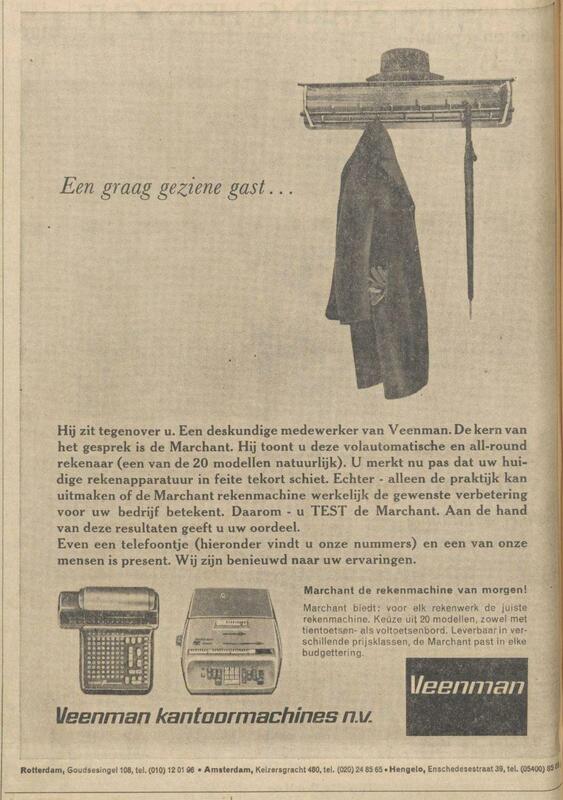 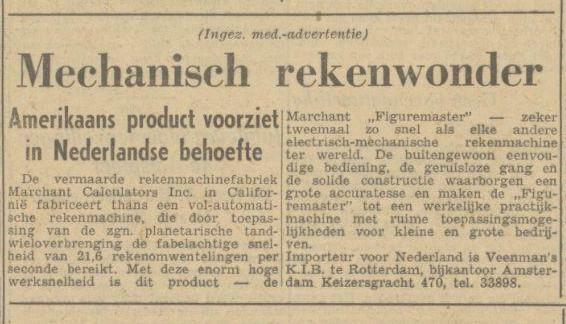 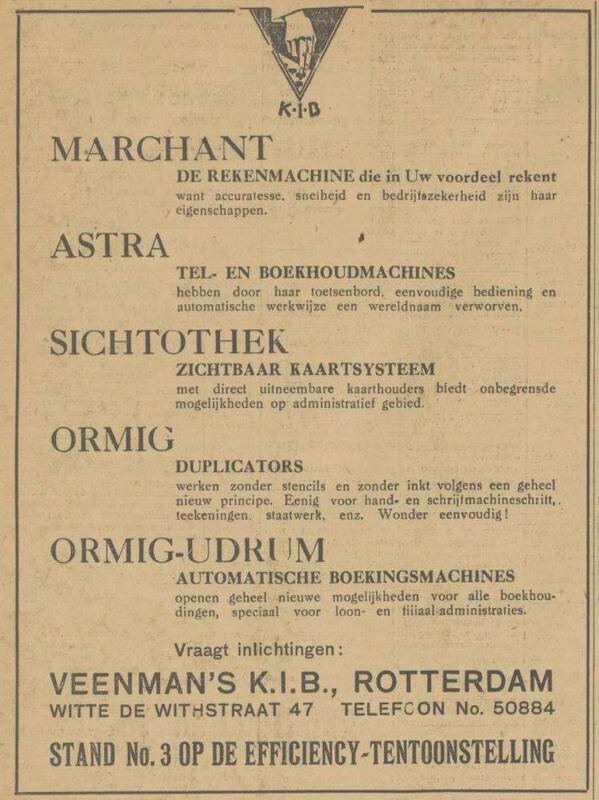 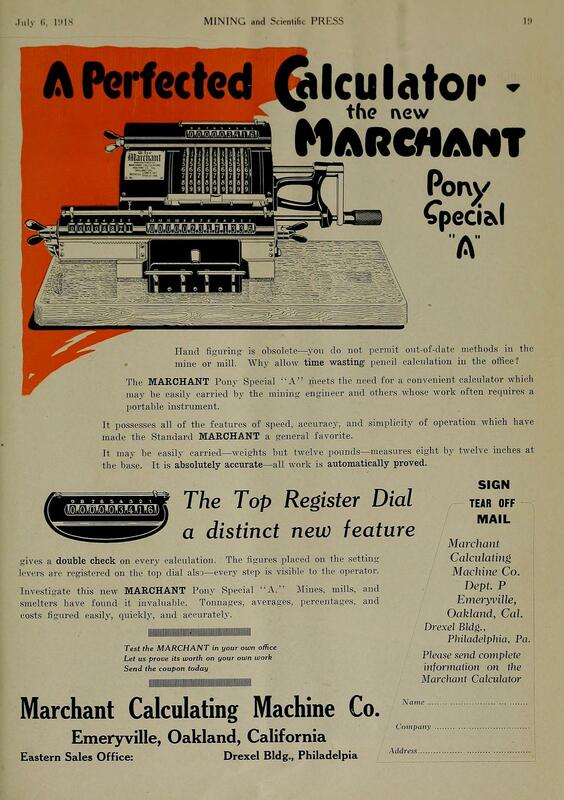 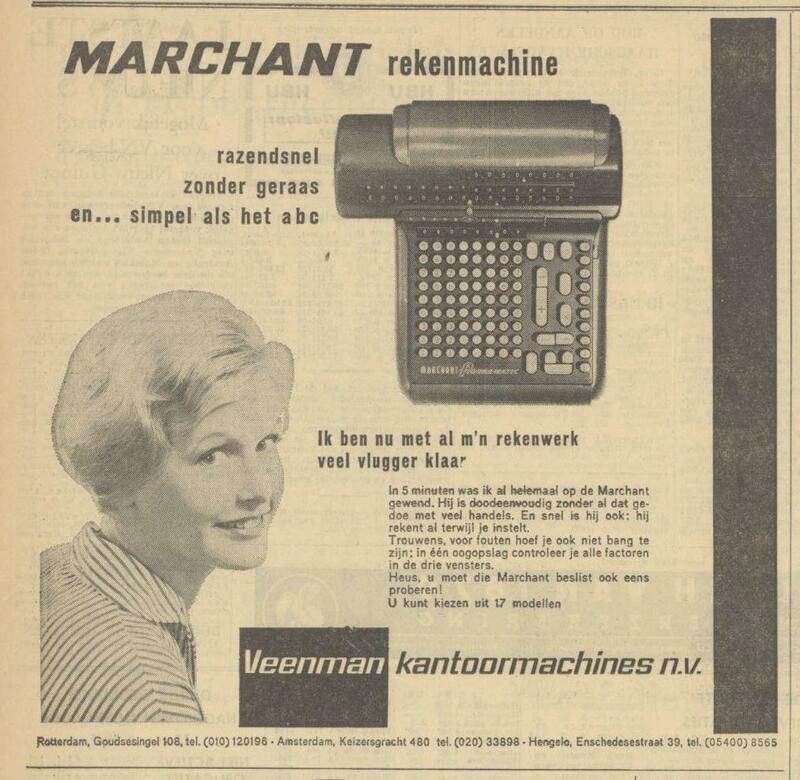 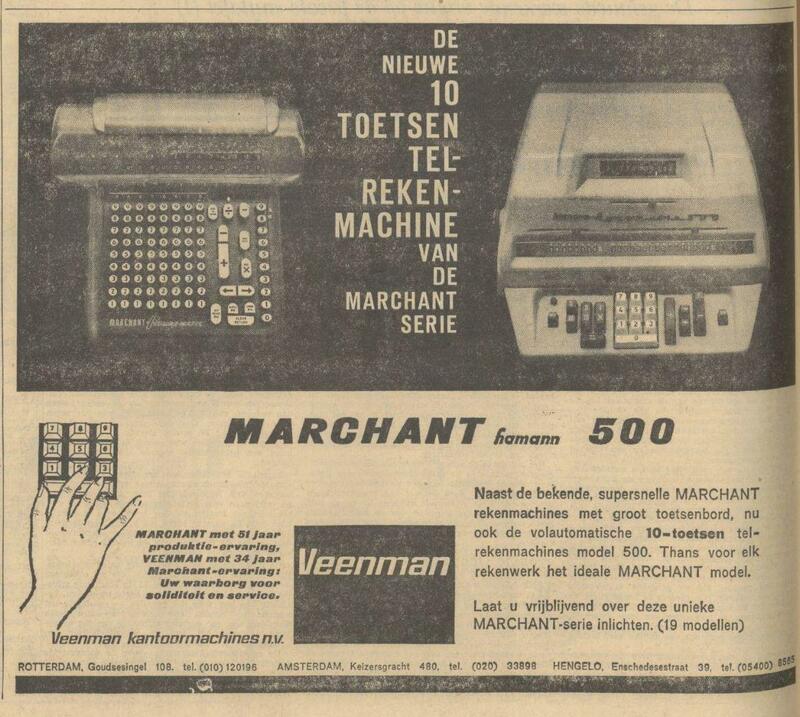 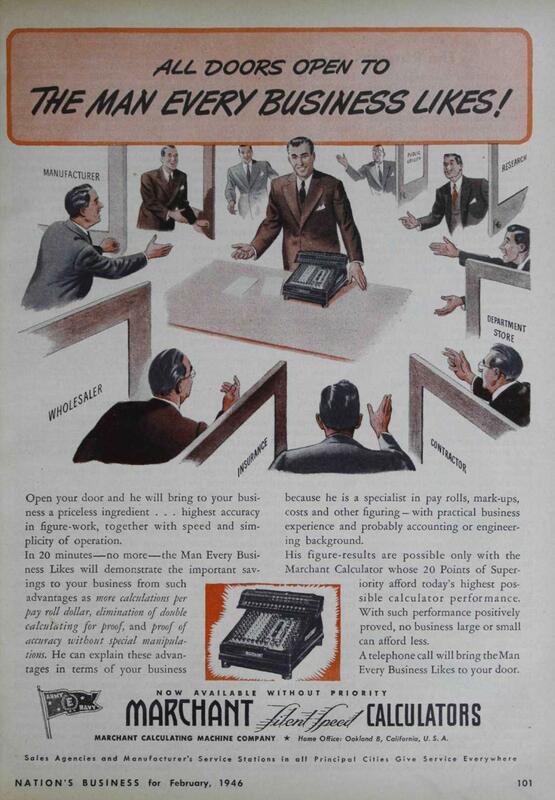 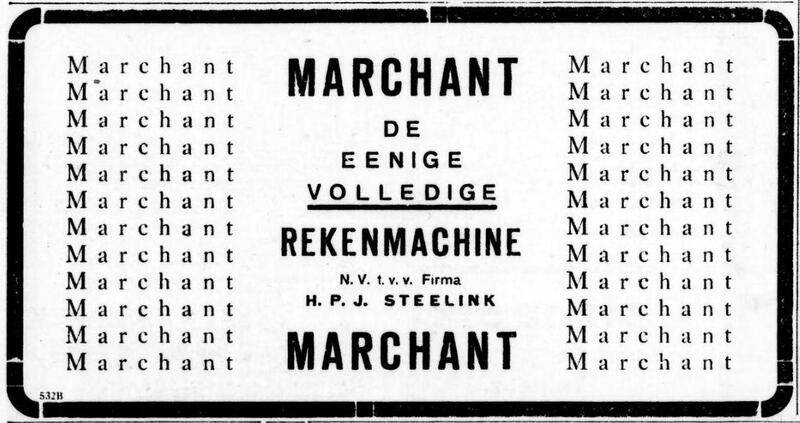 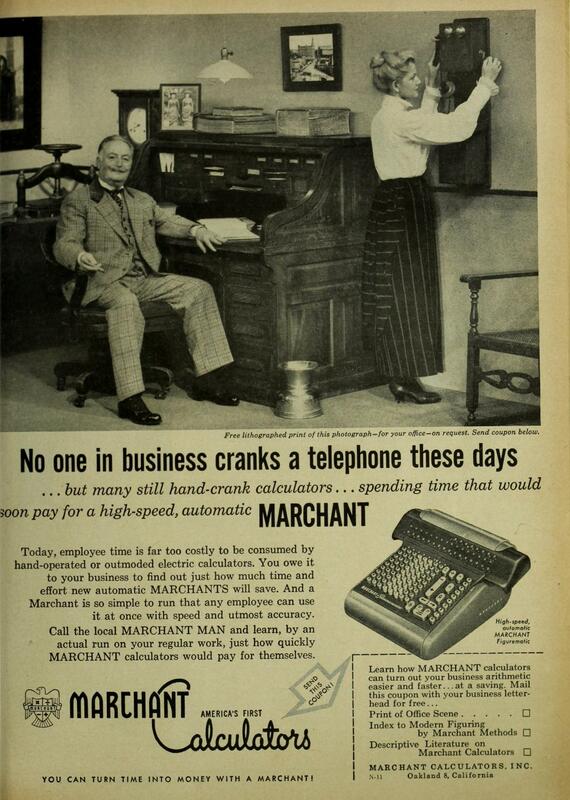 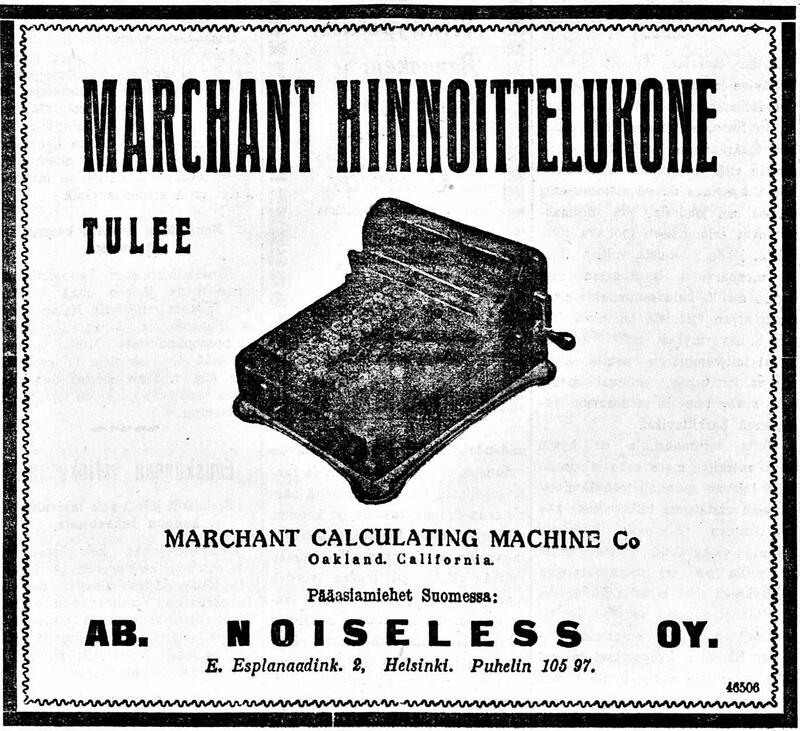 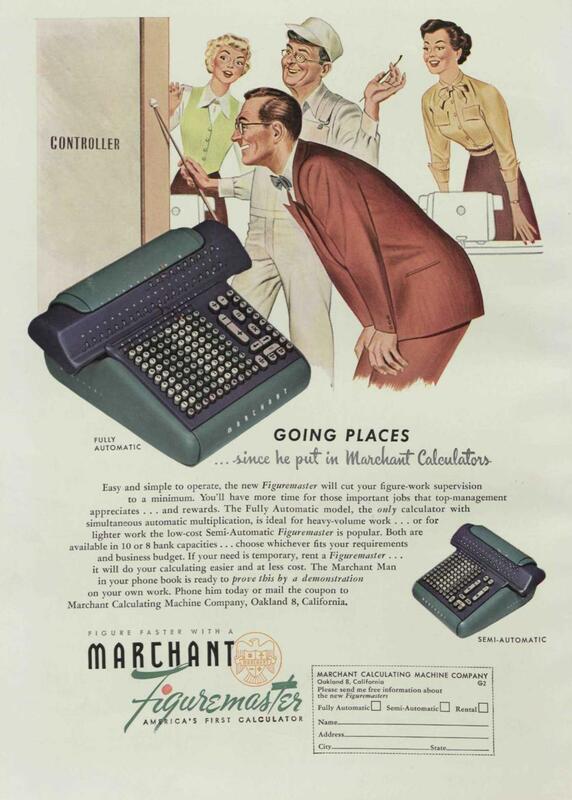 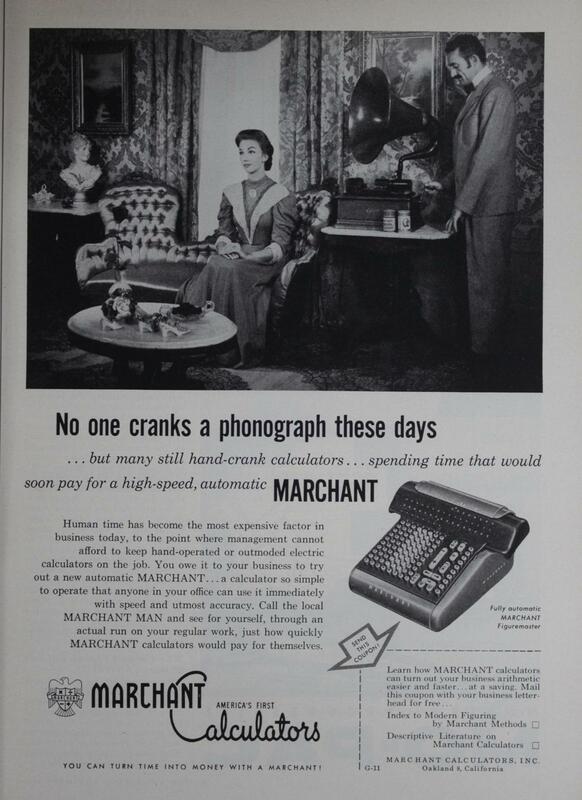 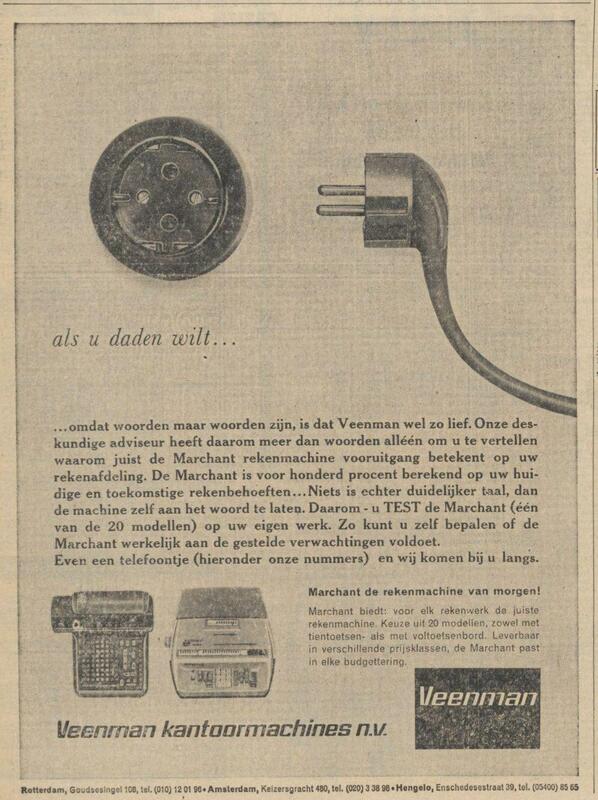 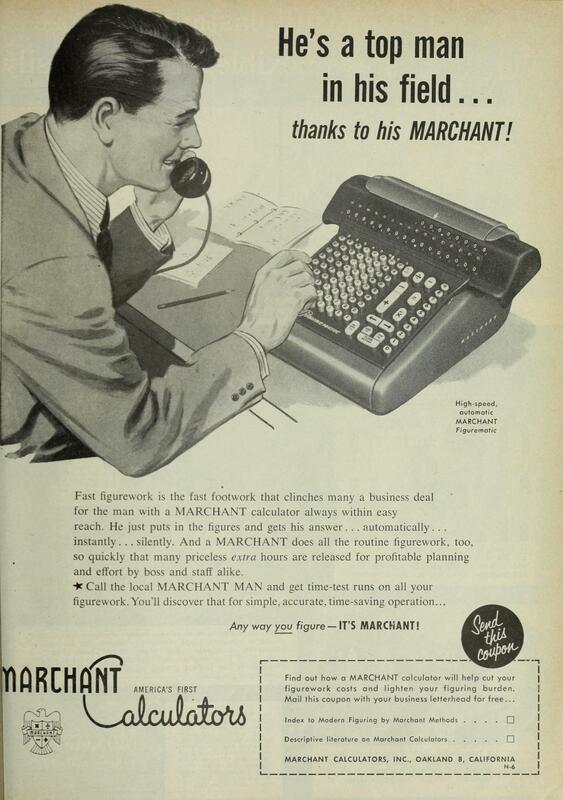 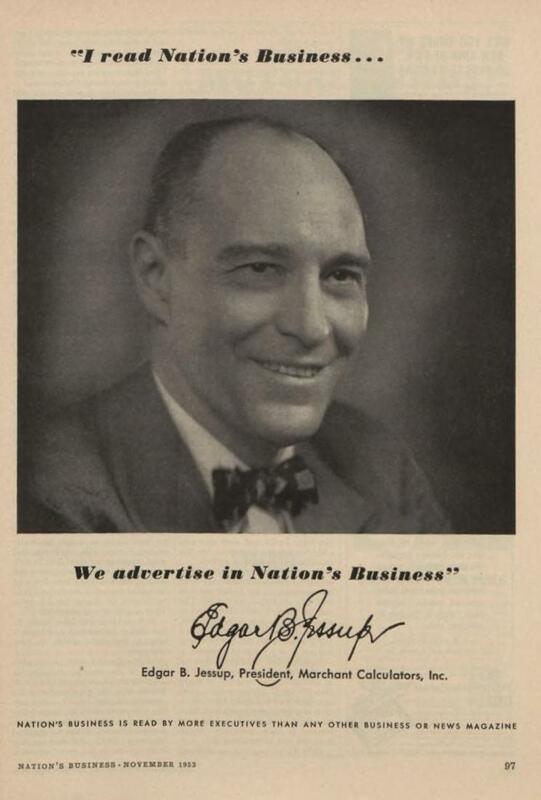 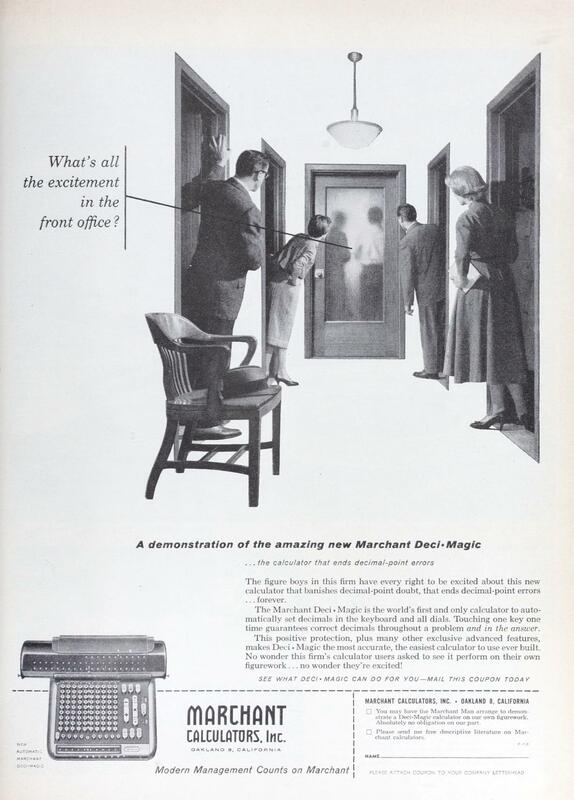 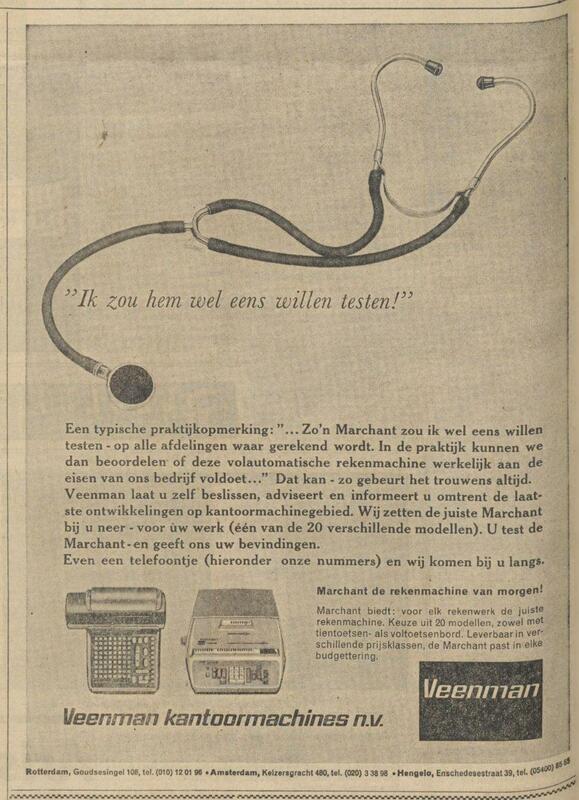 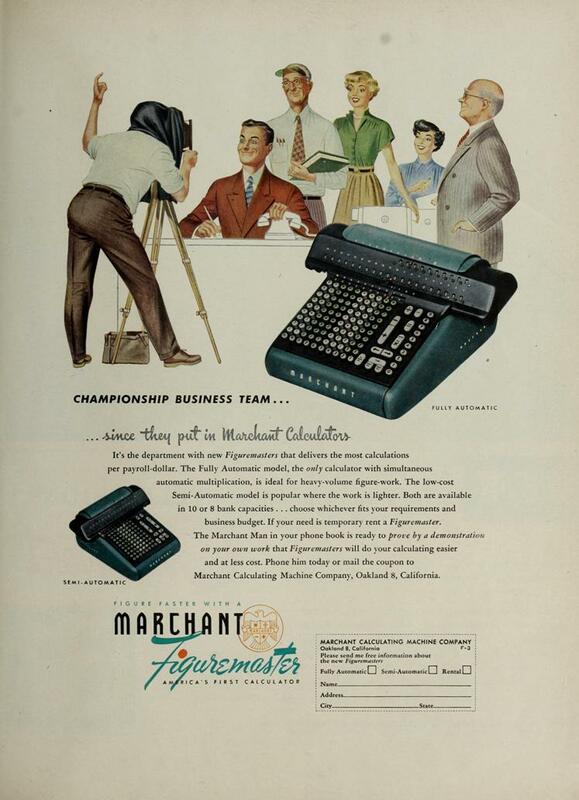 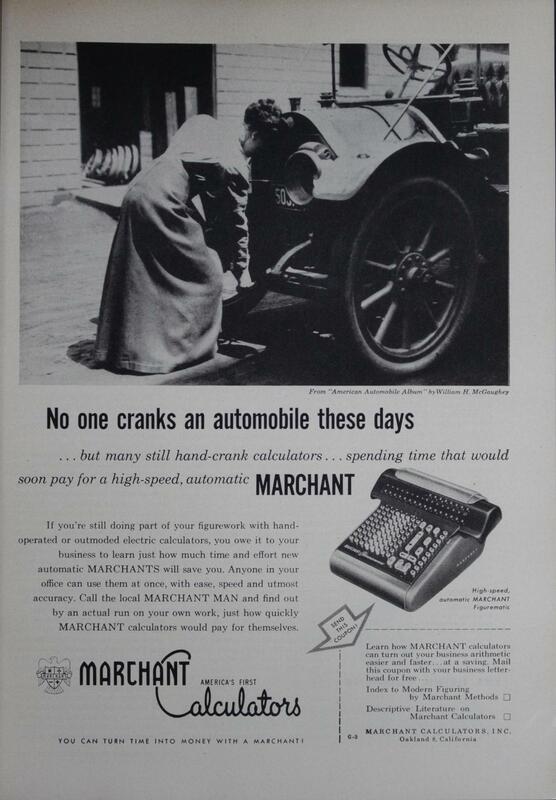 On this page I will show various advertisements by Marchant that I have found in such online archives. 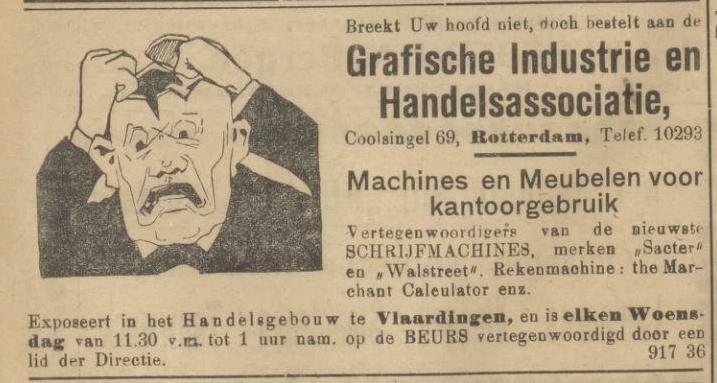 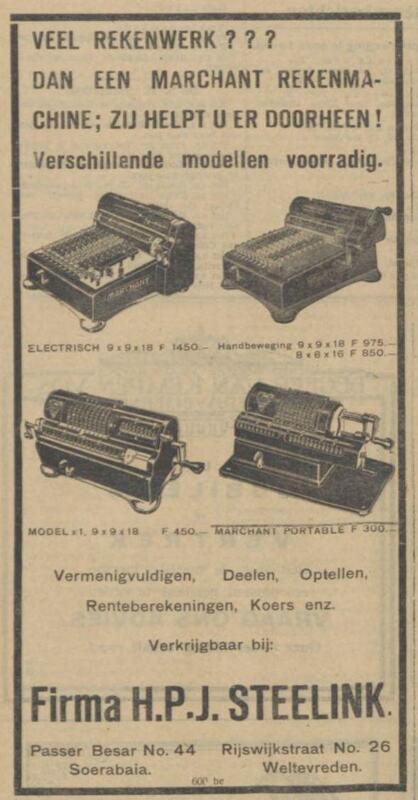 If you find any others in the archives of your own country, then please let me know at mechcalc a t jaapsch d o t net. 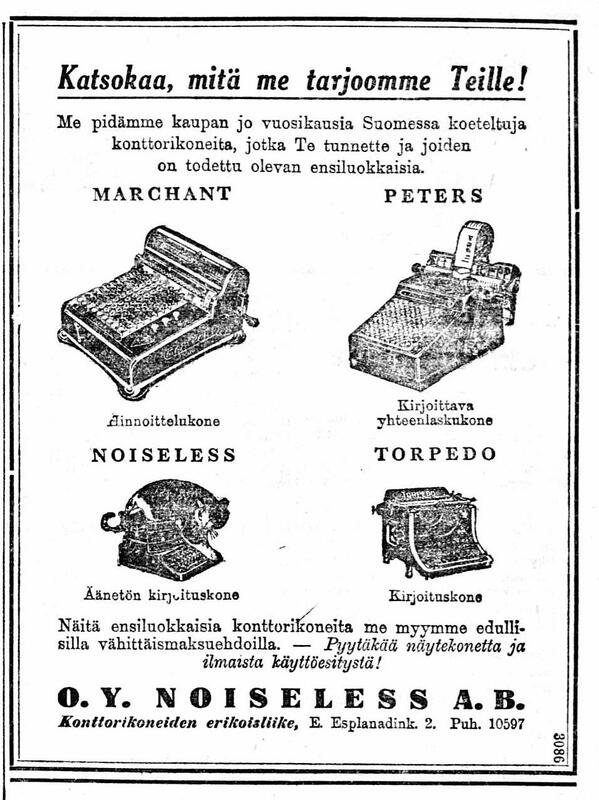 These advertisements are shown here for educational and research purposes only, and no copyright infringement is intended. 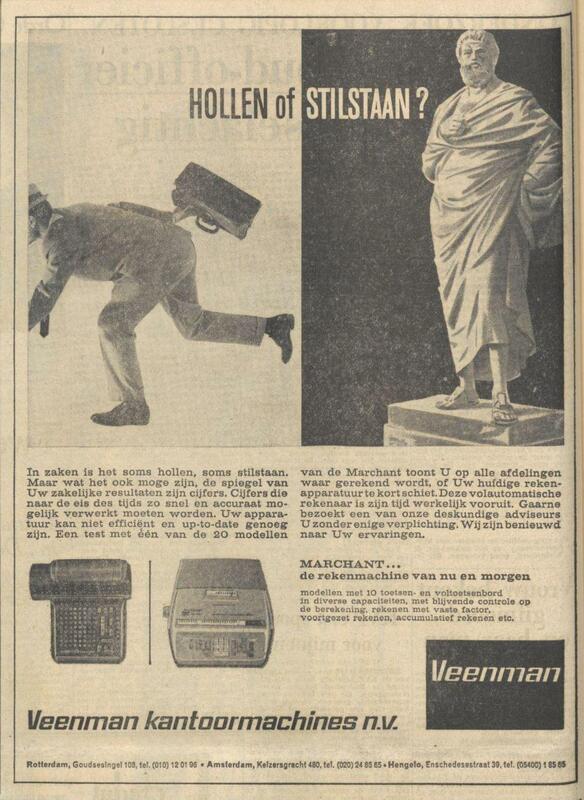 If you are the copyright owner of any image, and object to its presence here, let me know. 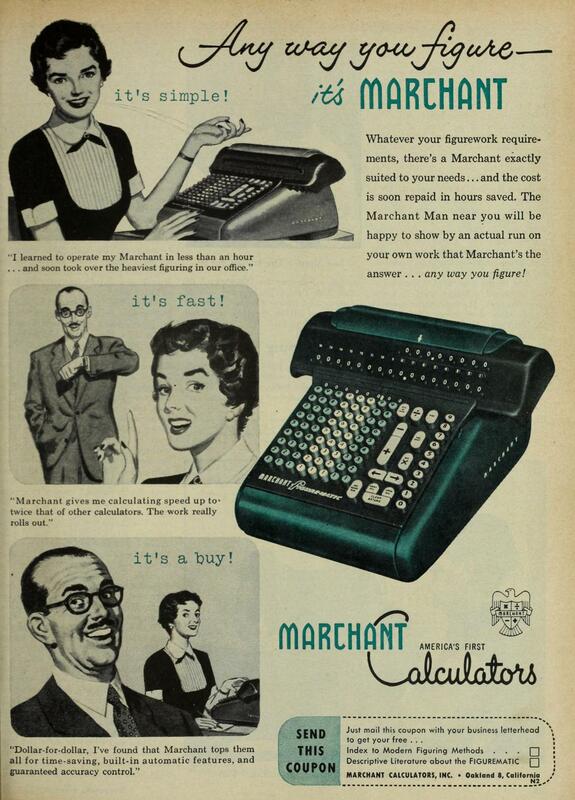 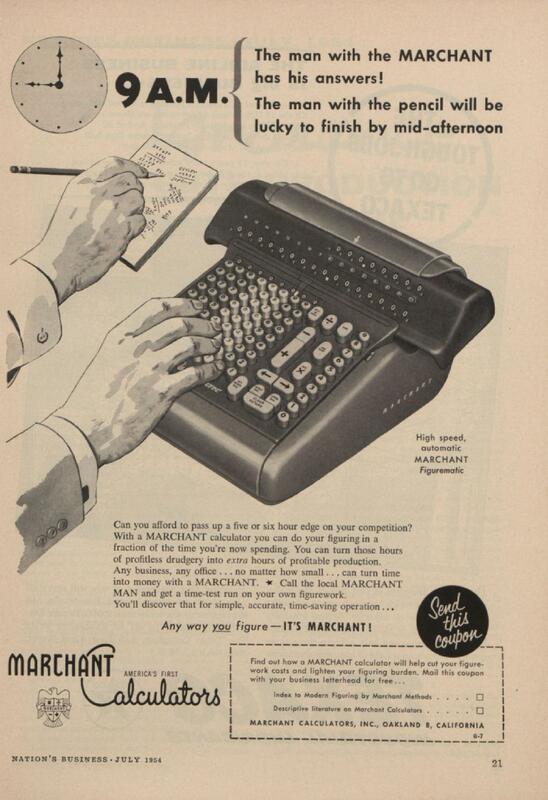 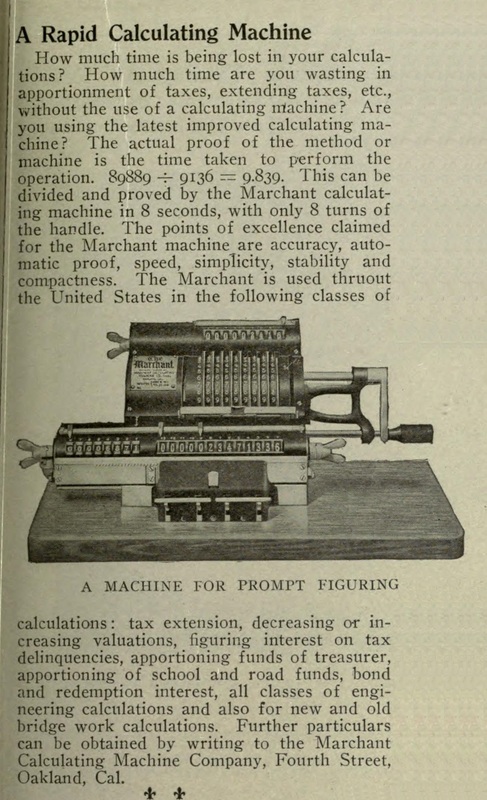 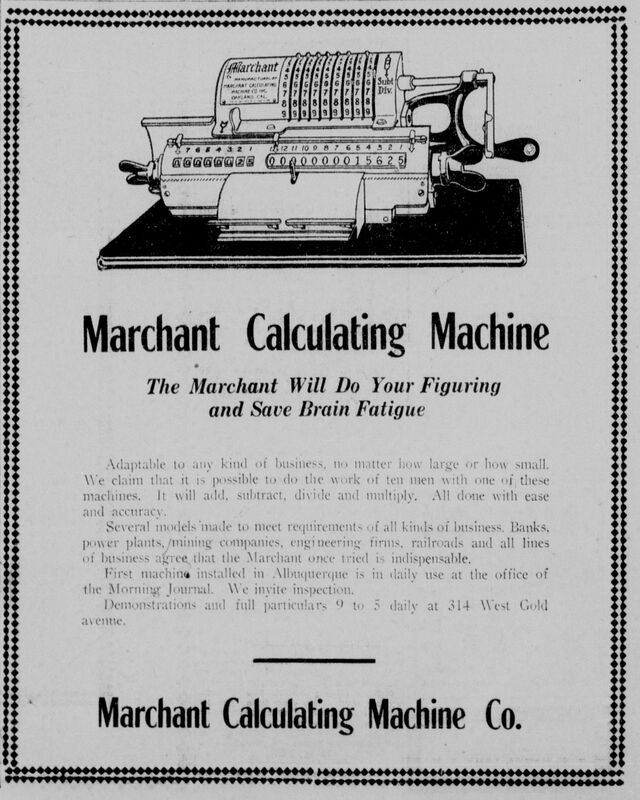 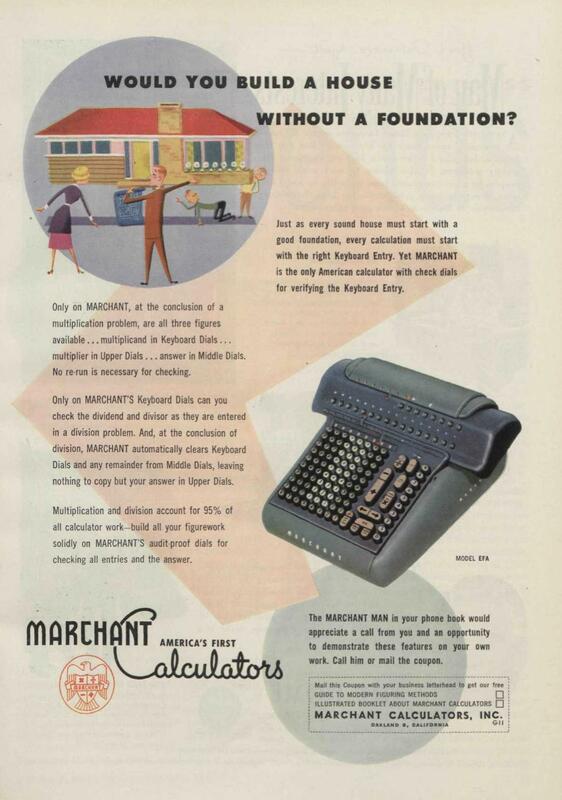 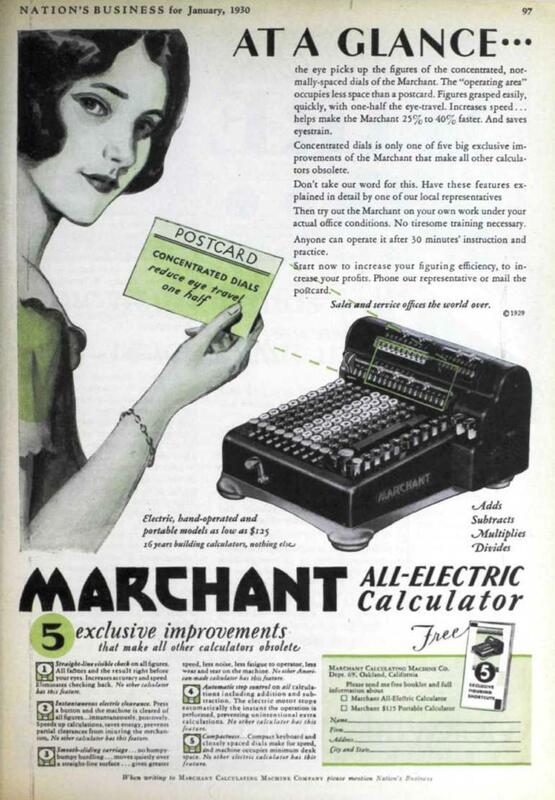 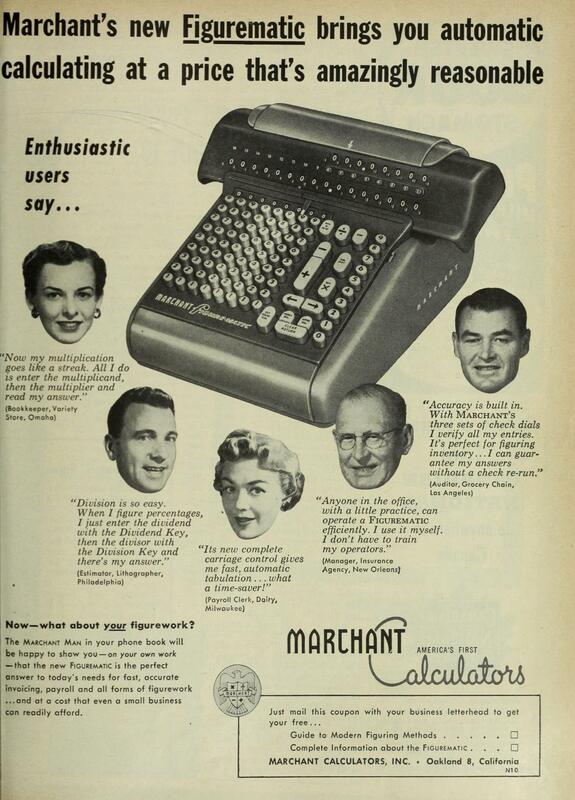 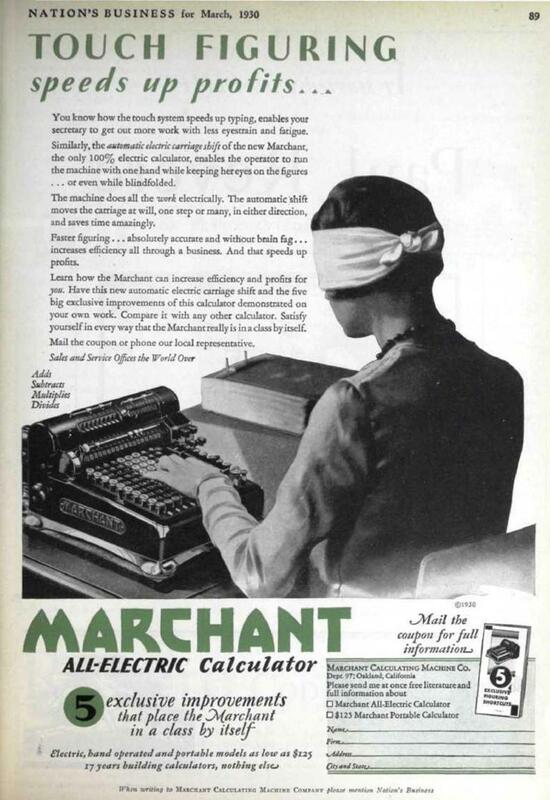 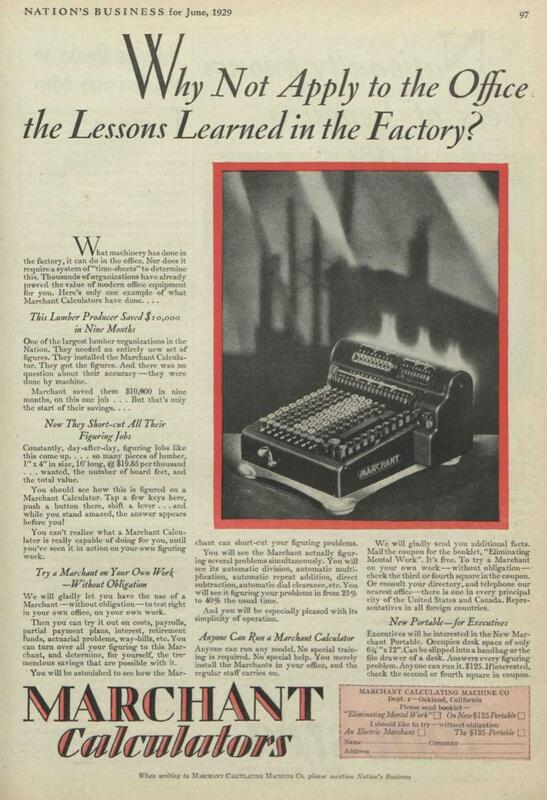 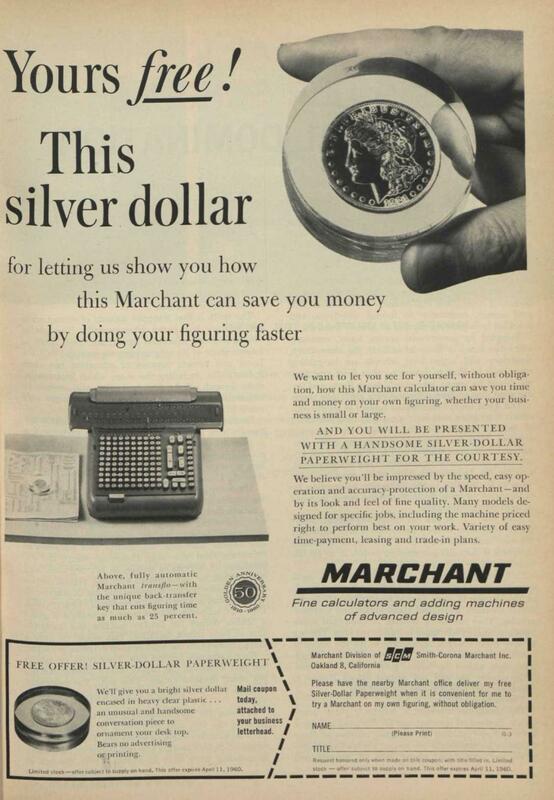 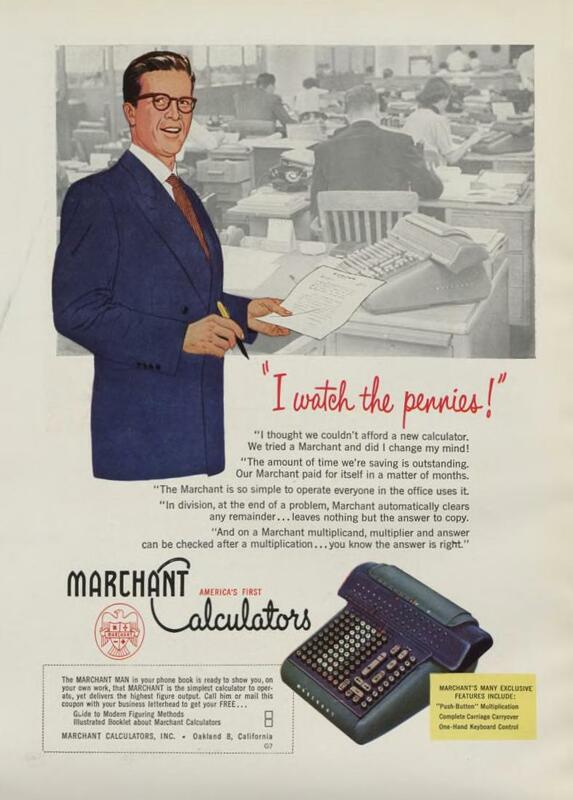 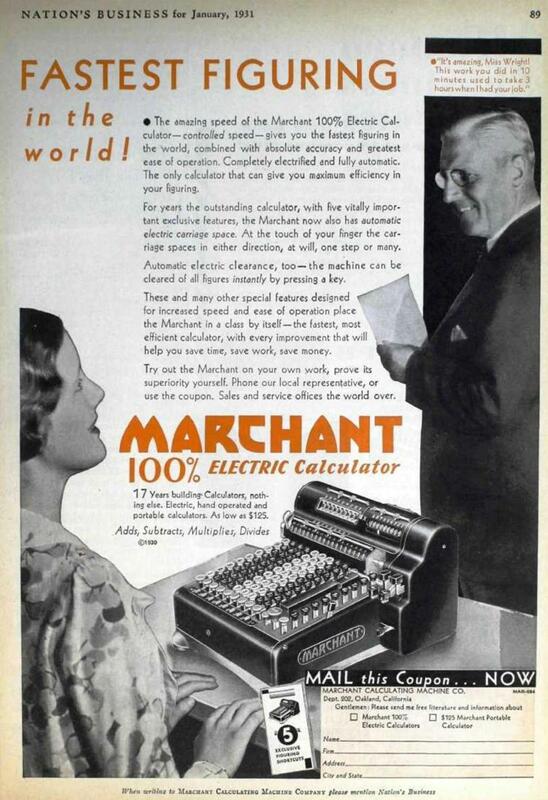 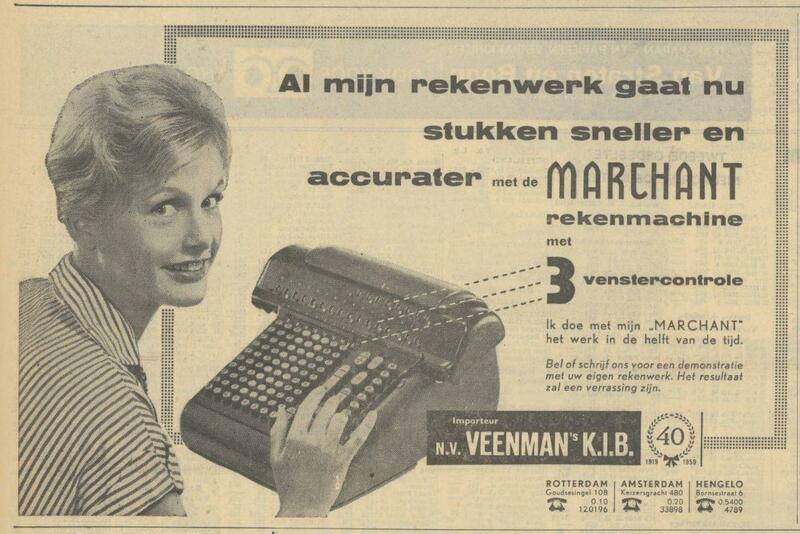 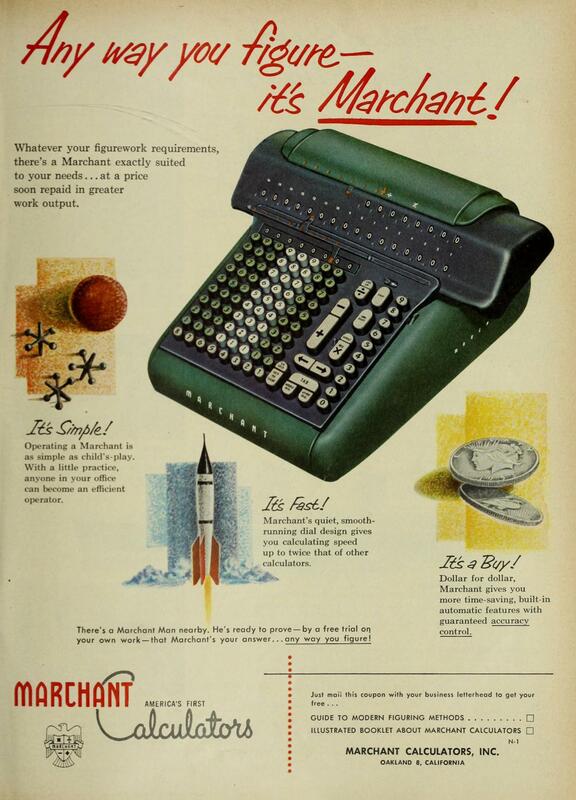 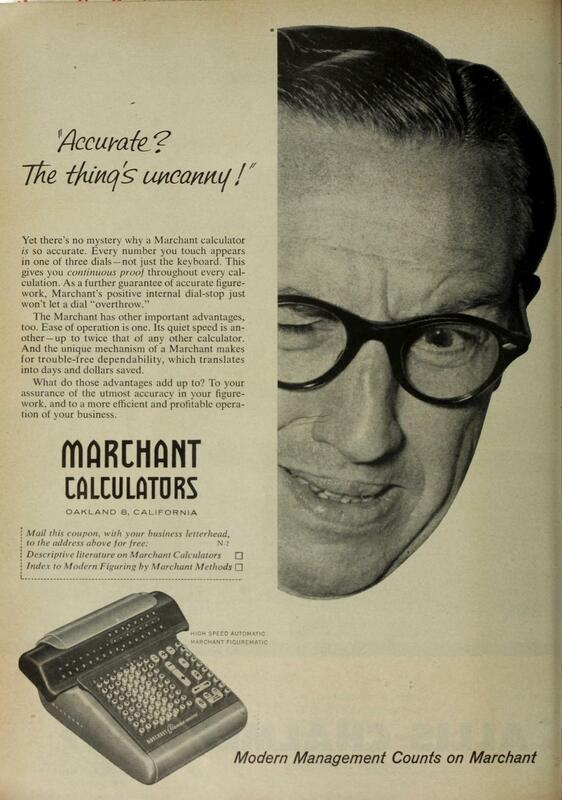 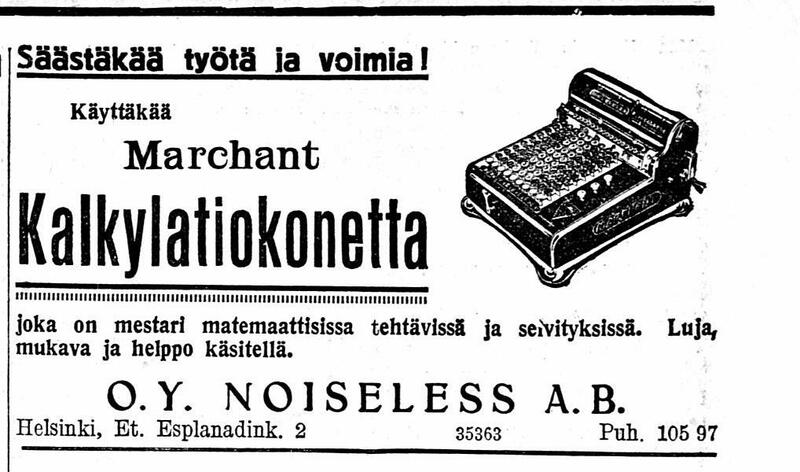 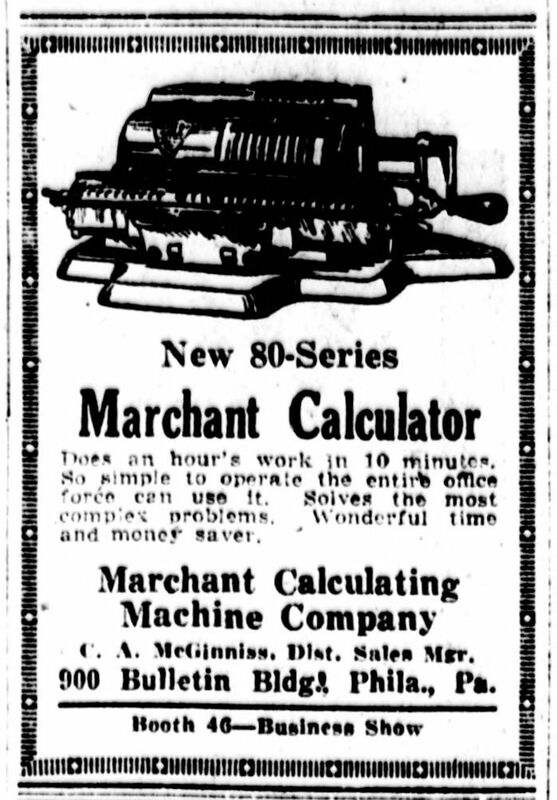 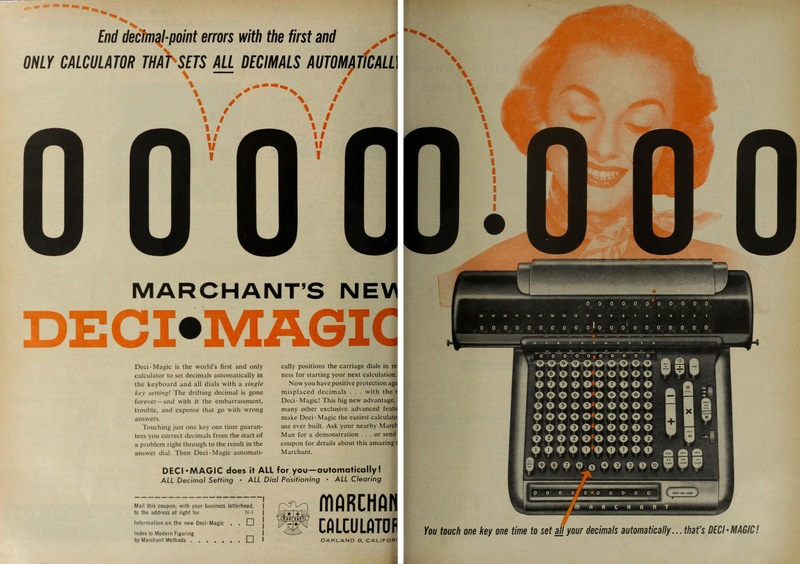 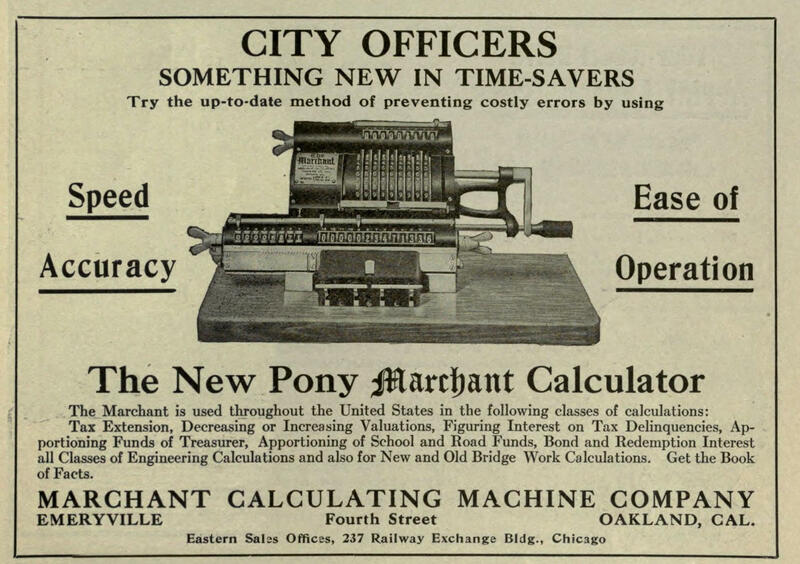 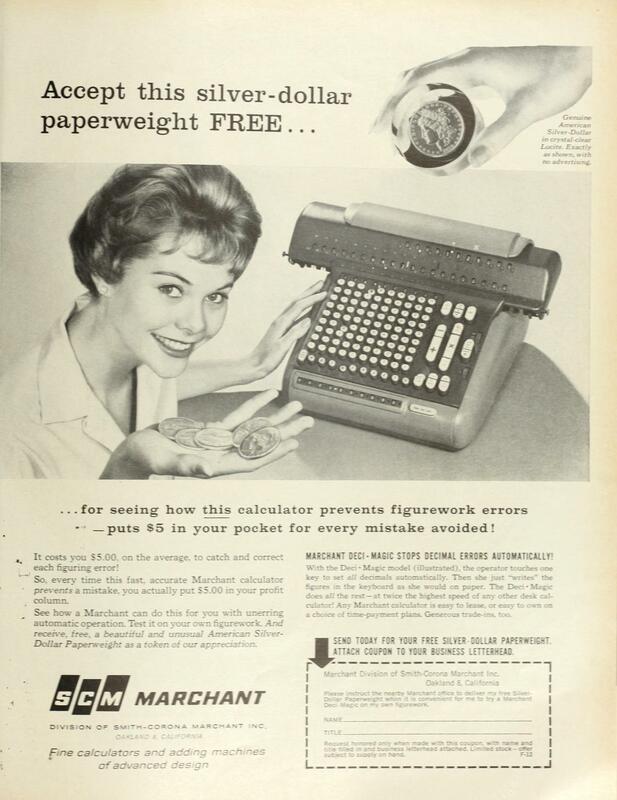 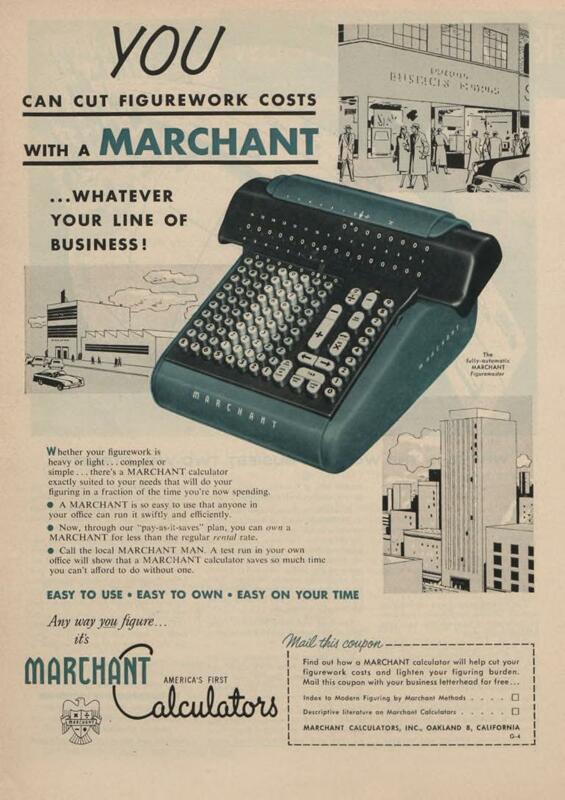 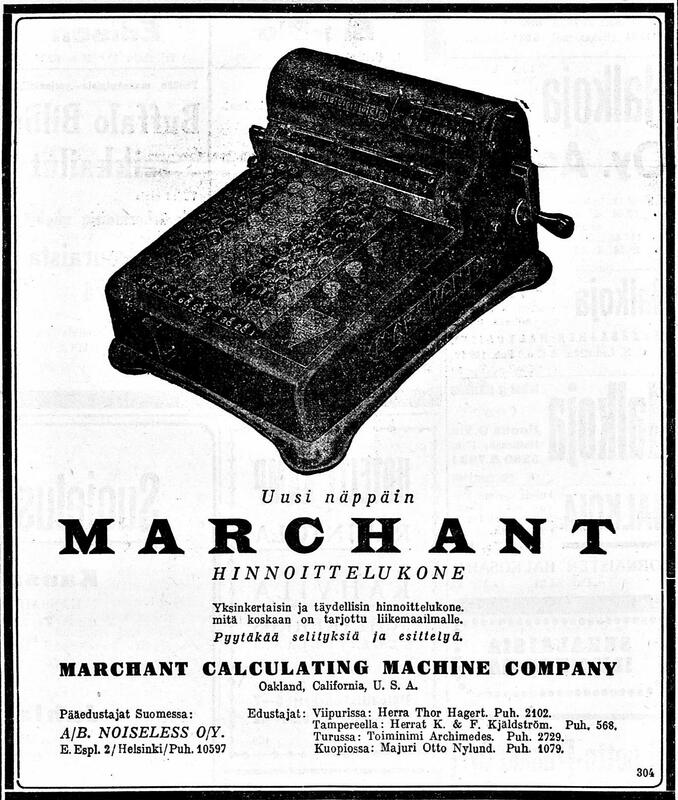 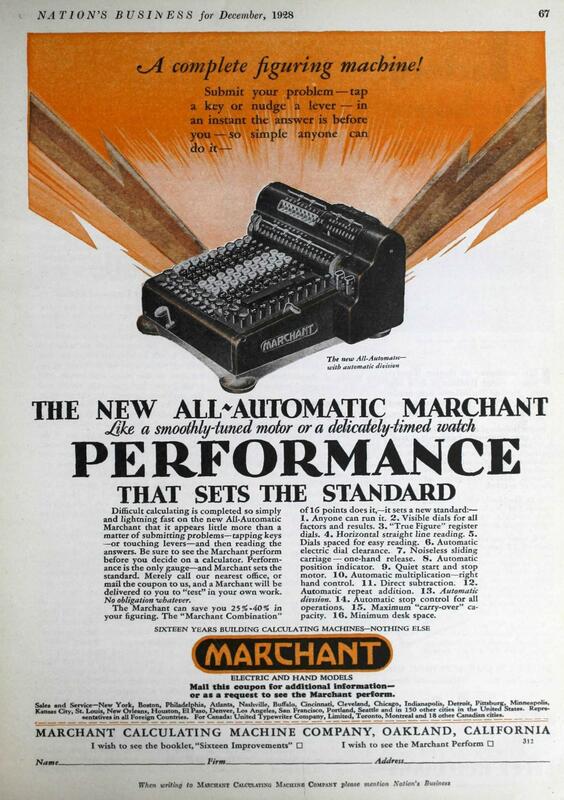 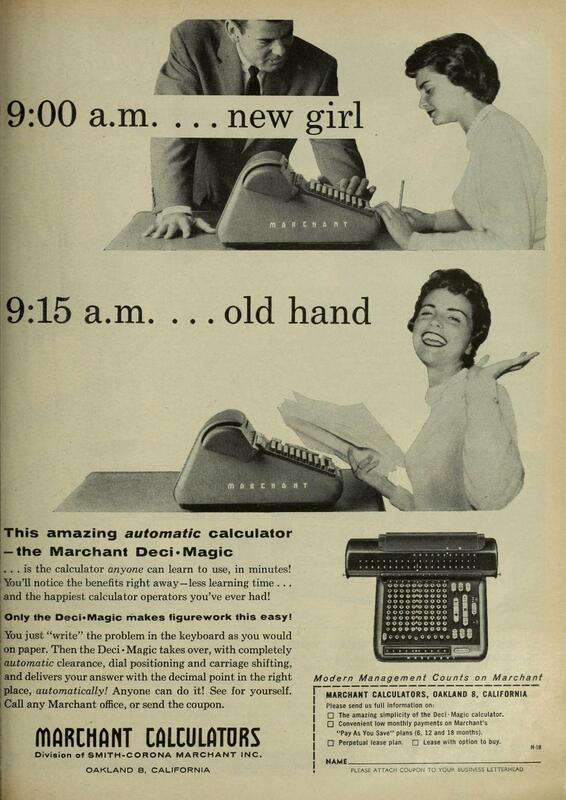 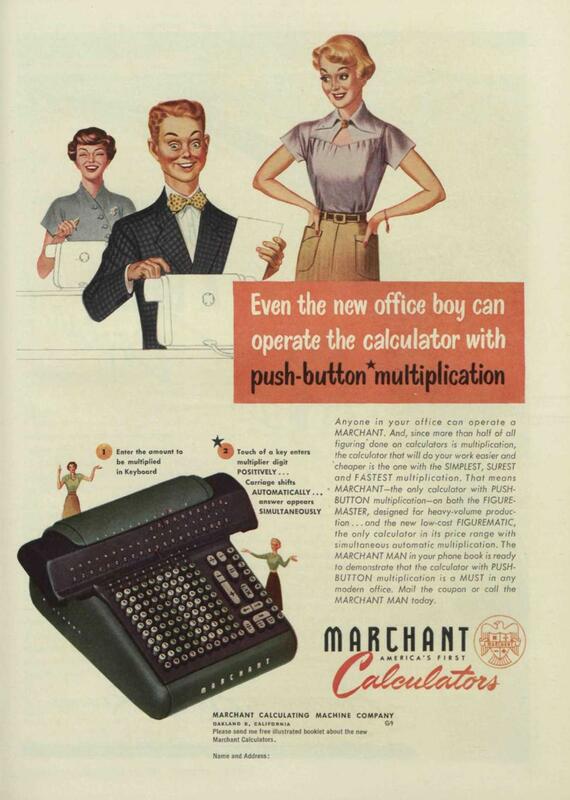 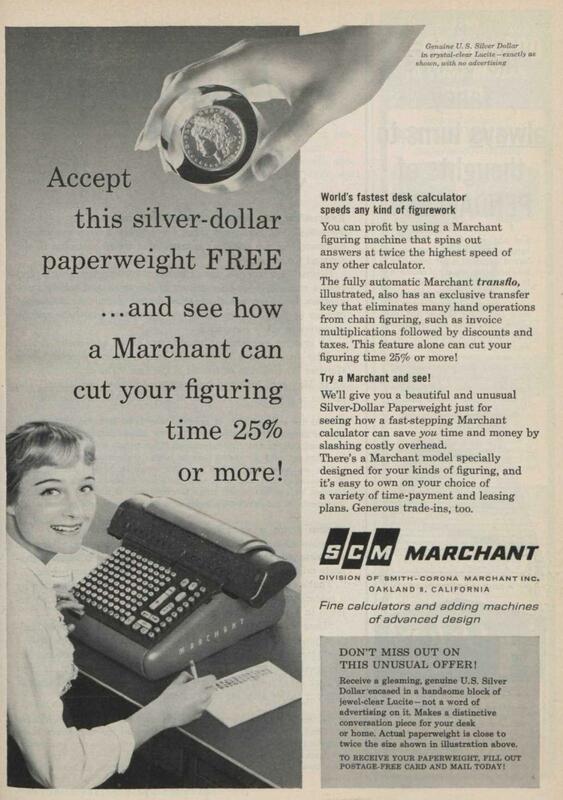 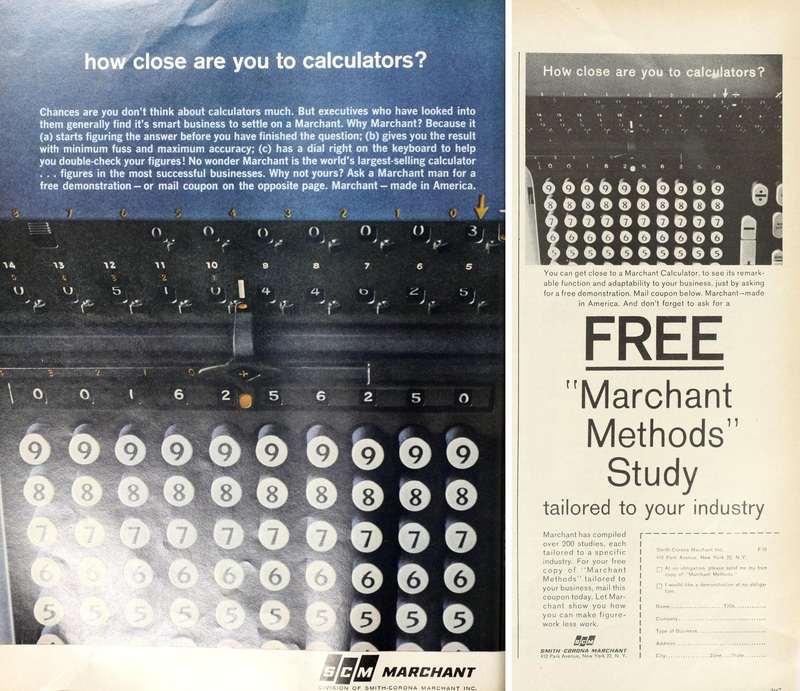 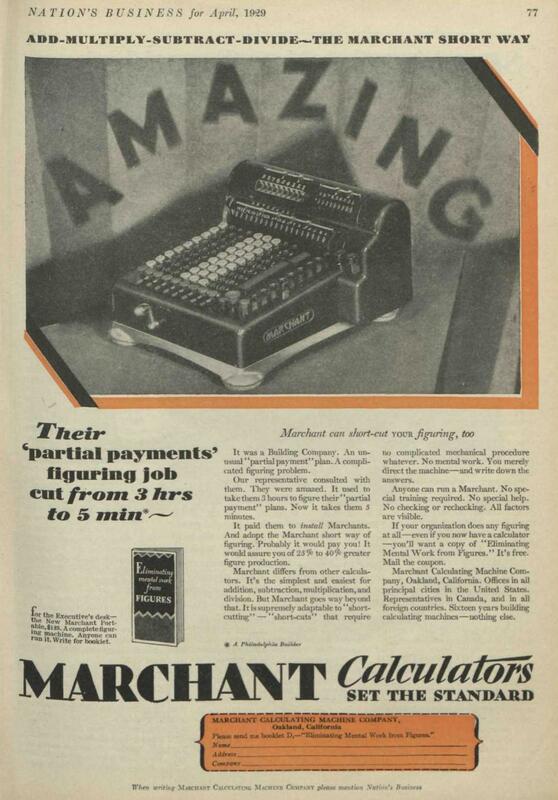 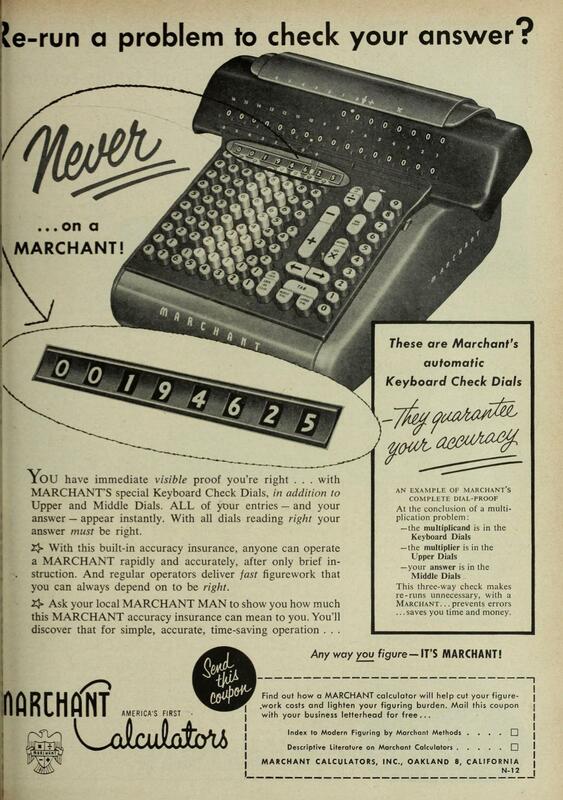 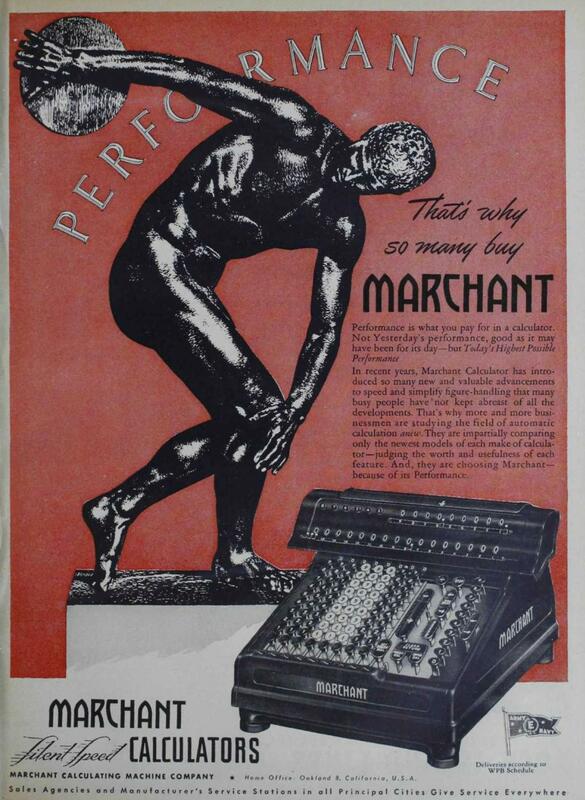 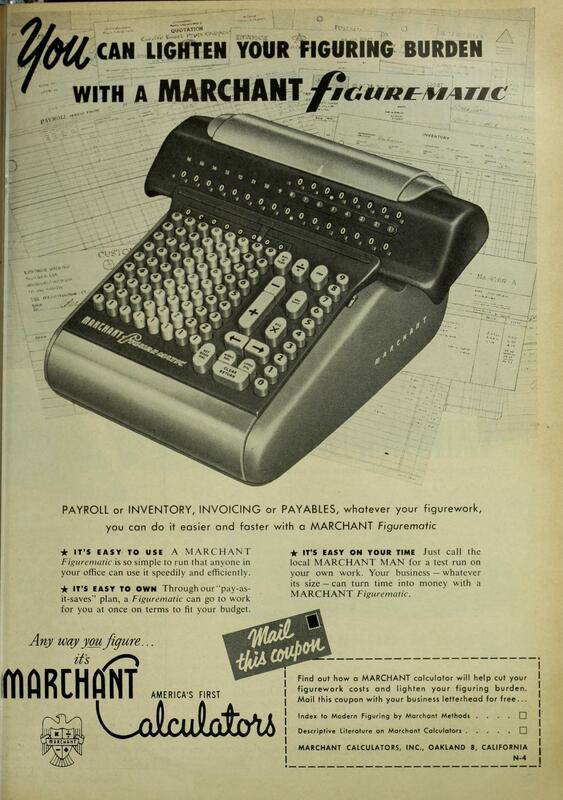 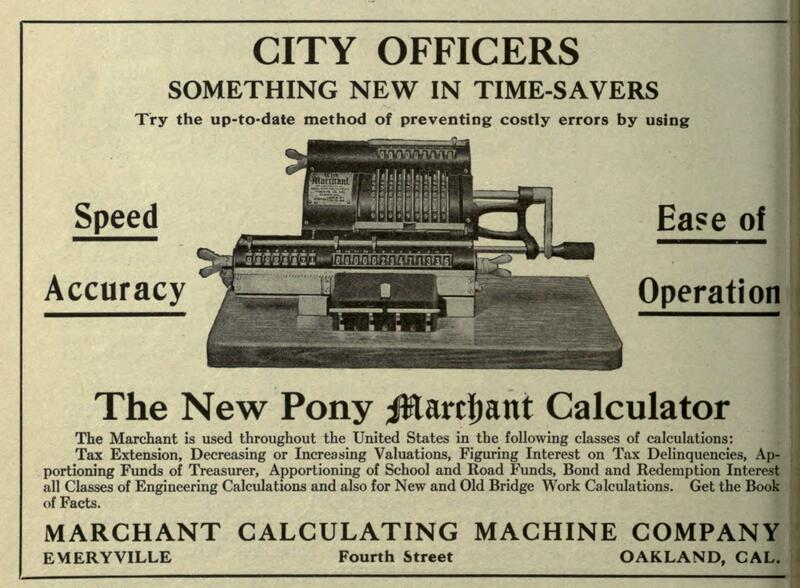 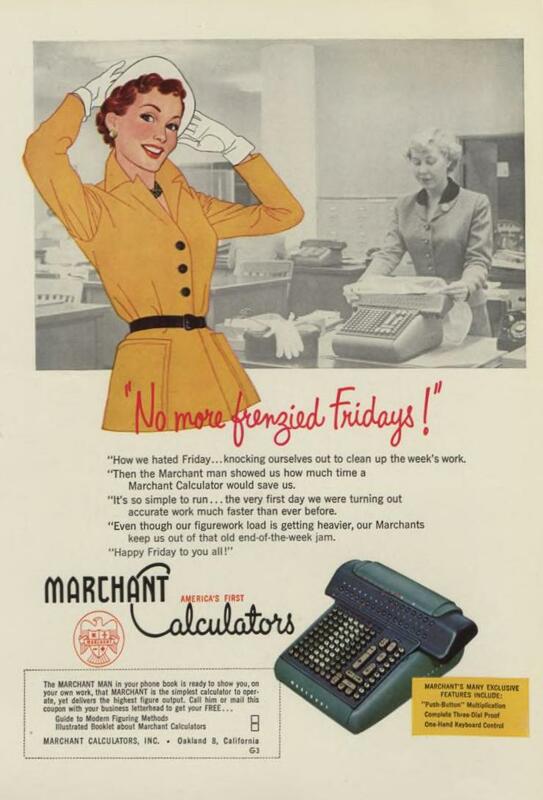 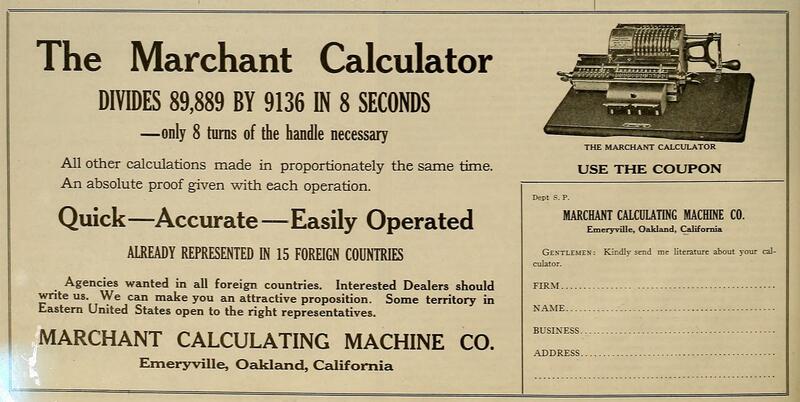 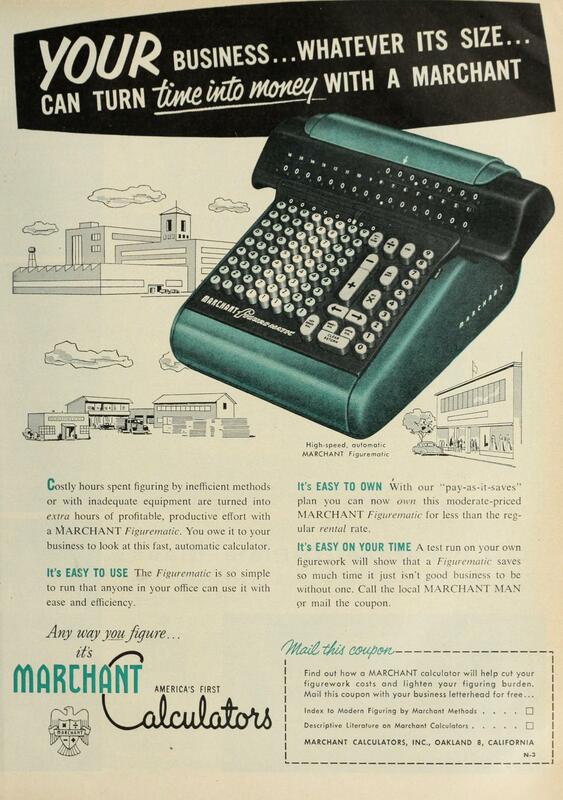 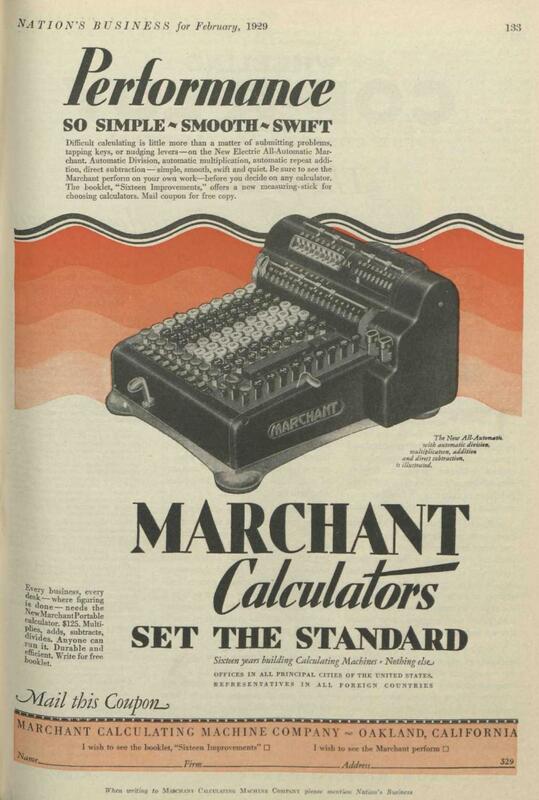 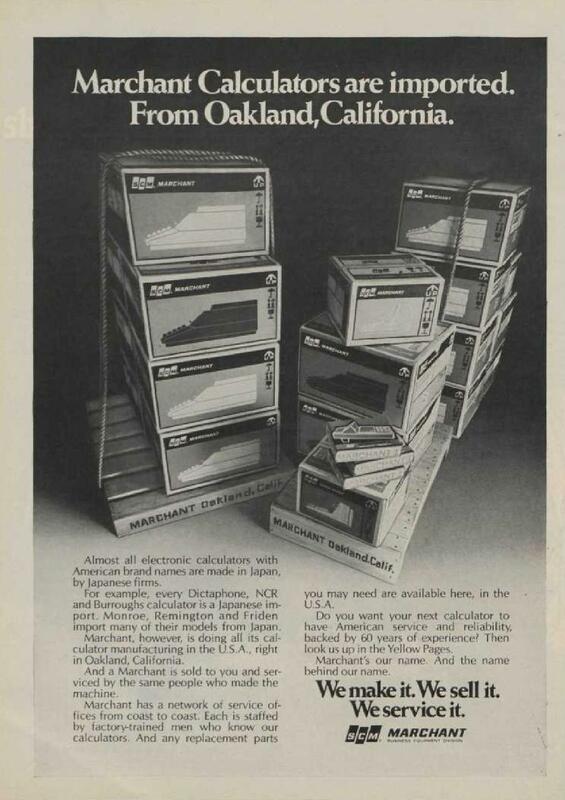 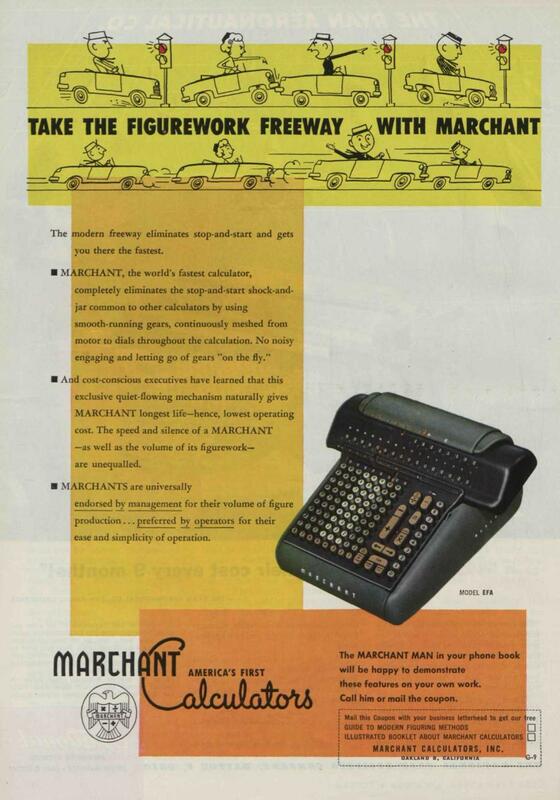 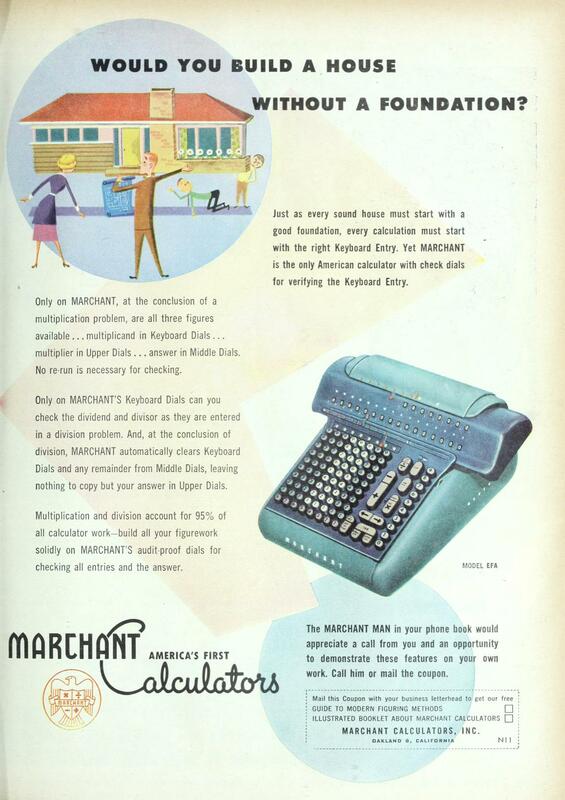 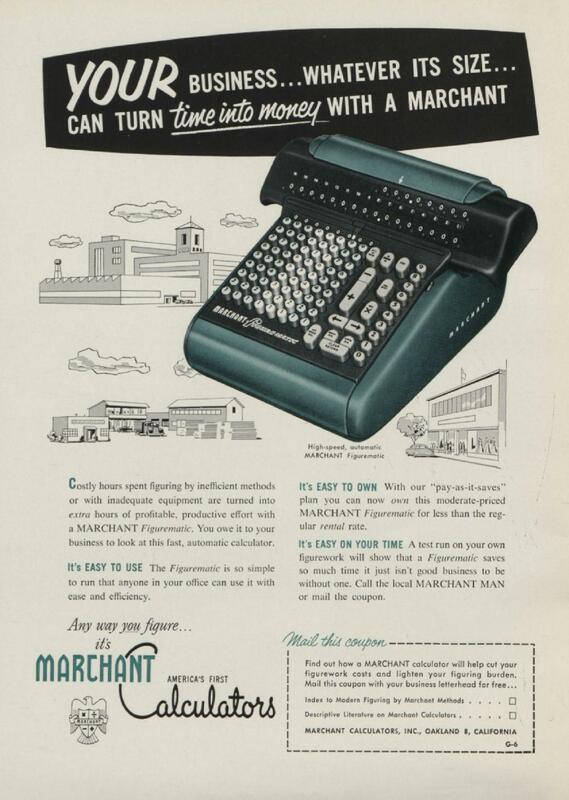 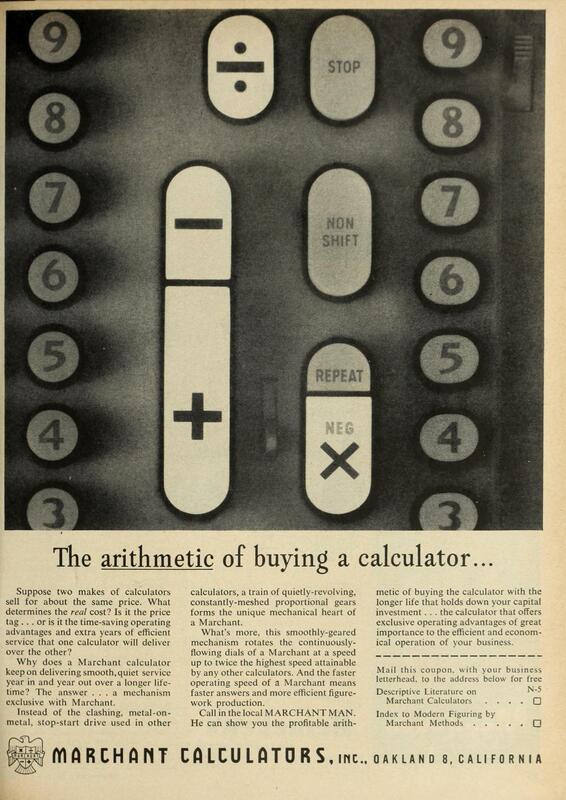 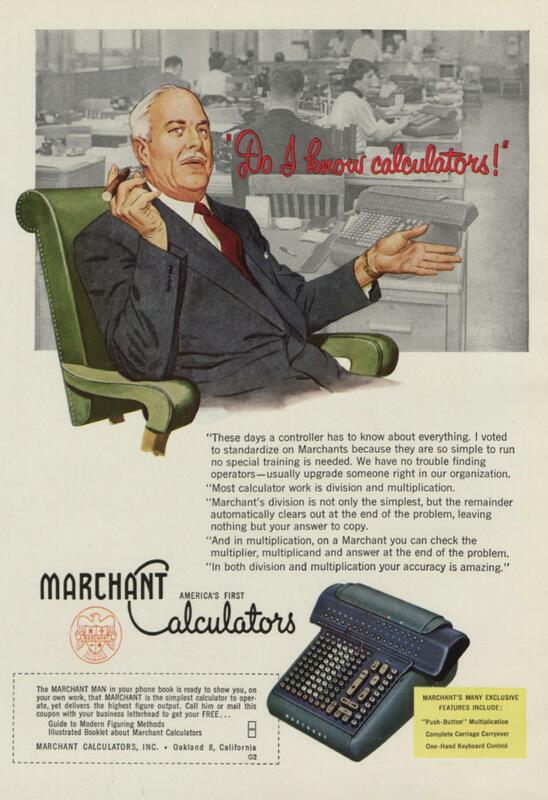 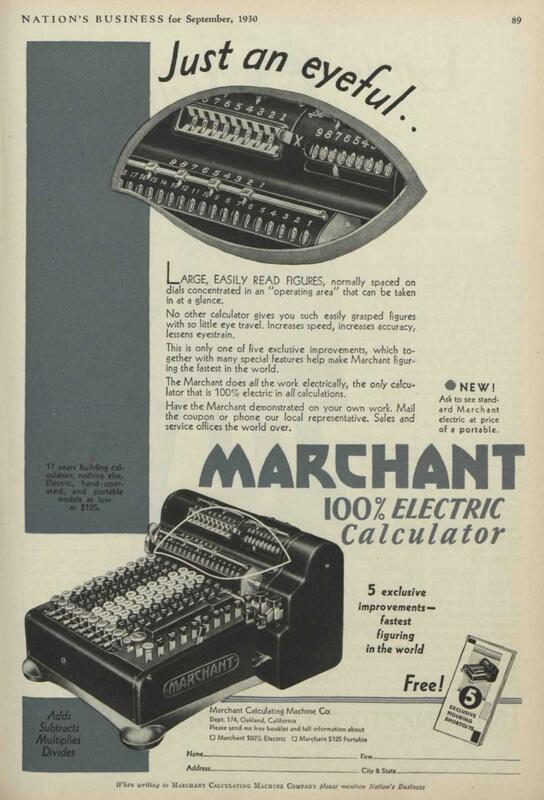 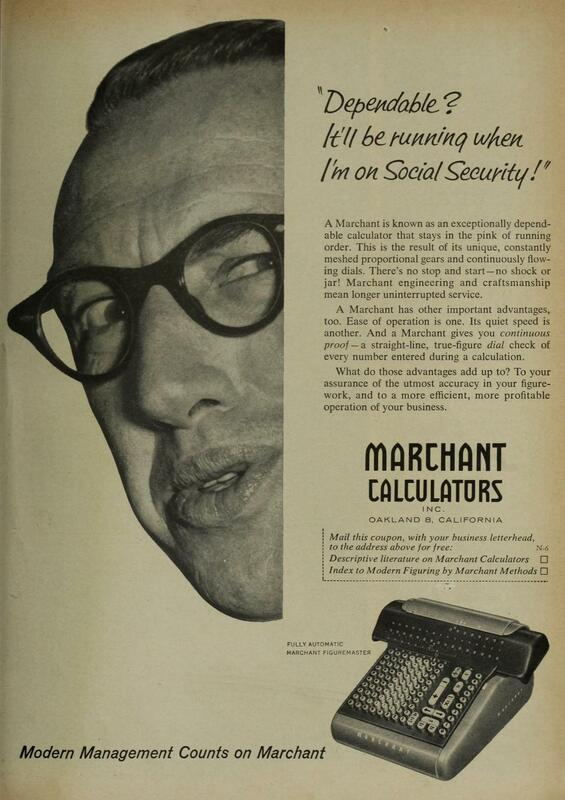 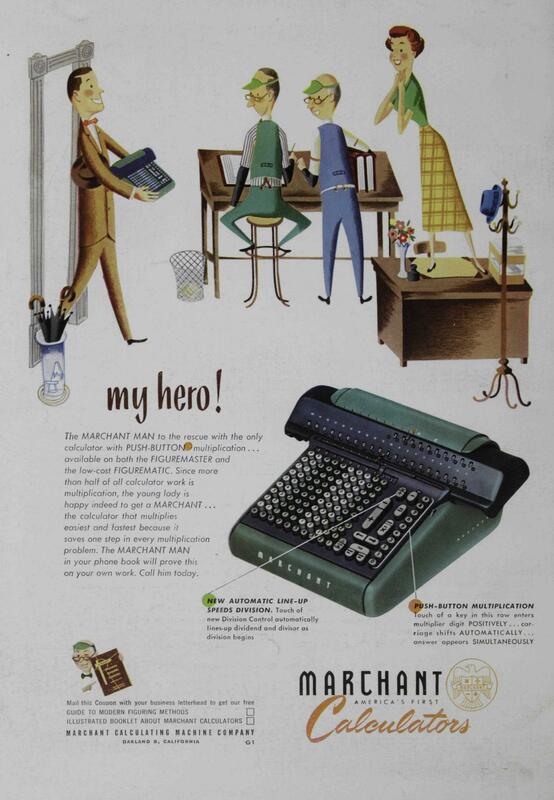 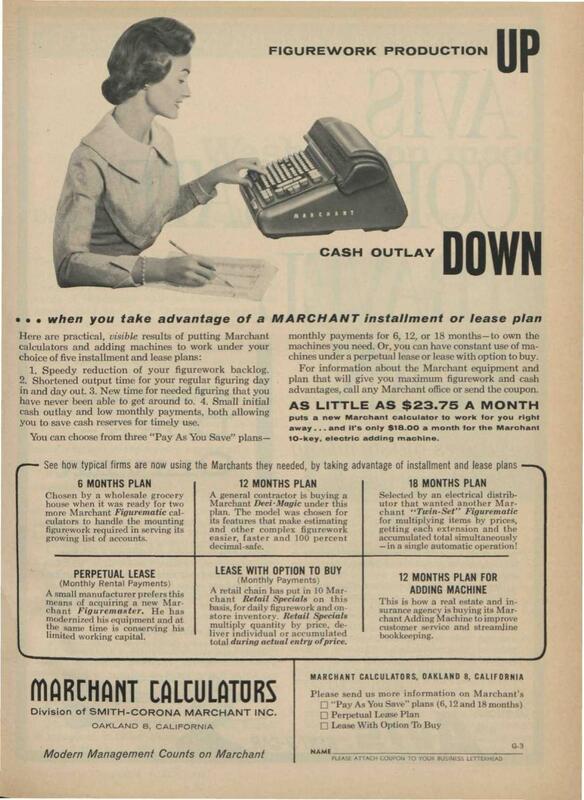 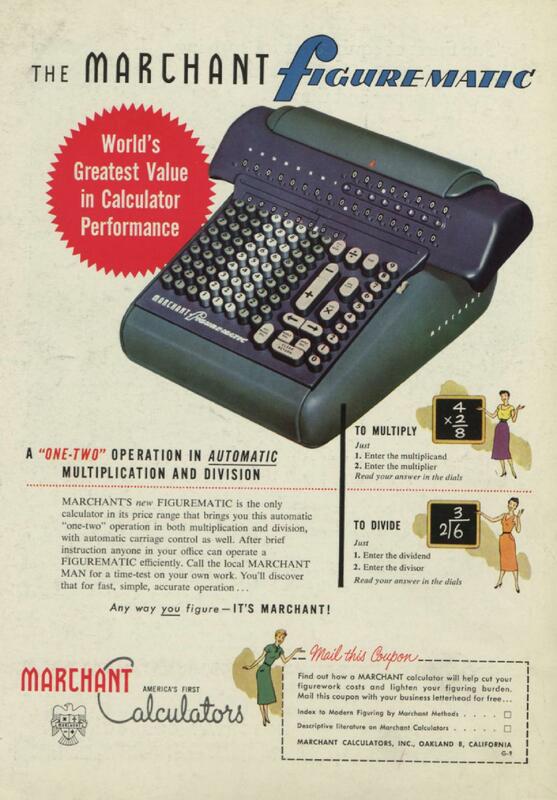 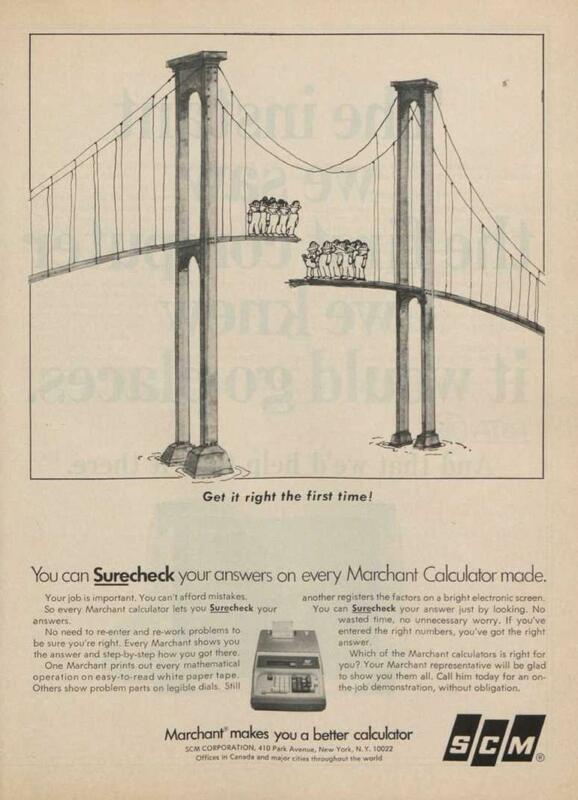 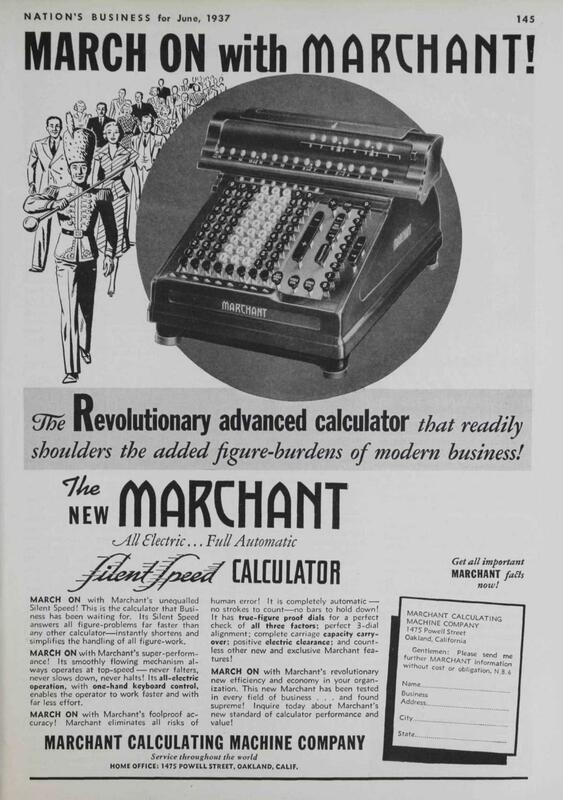 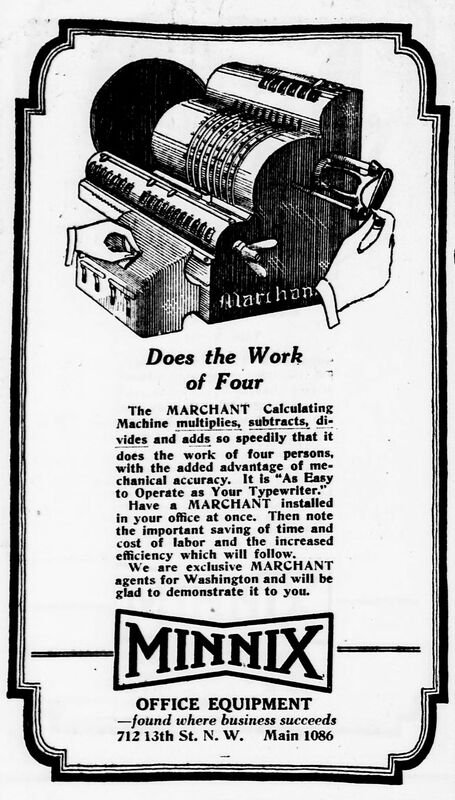 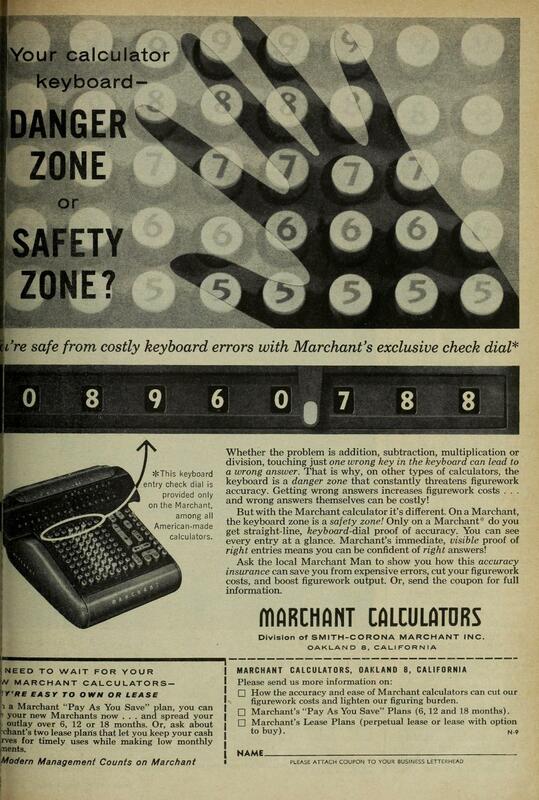 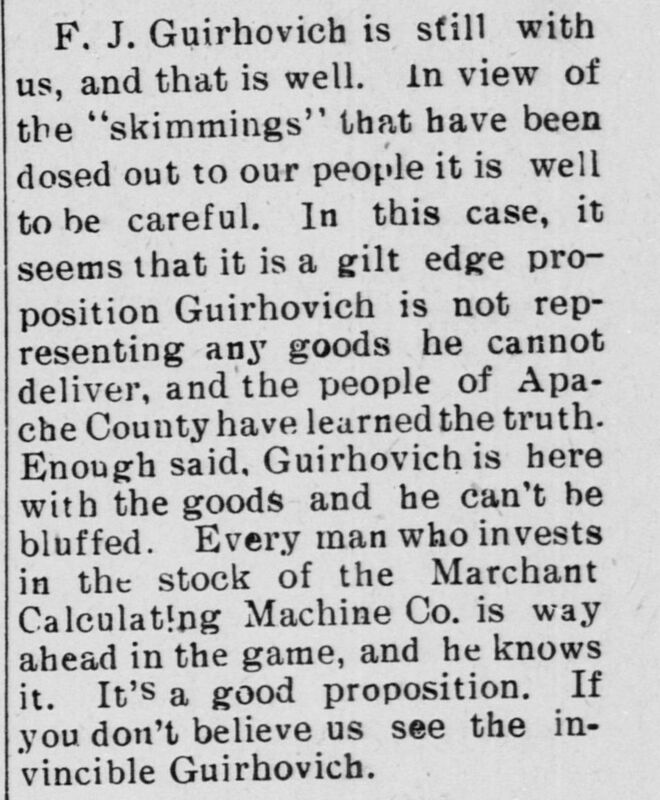 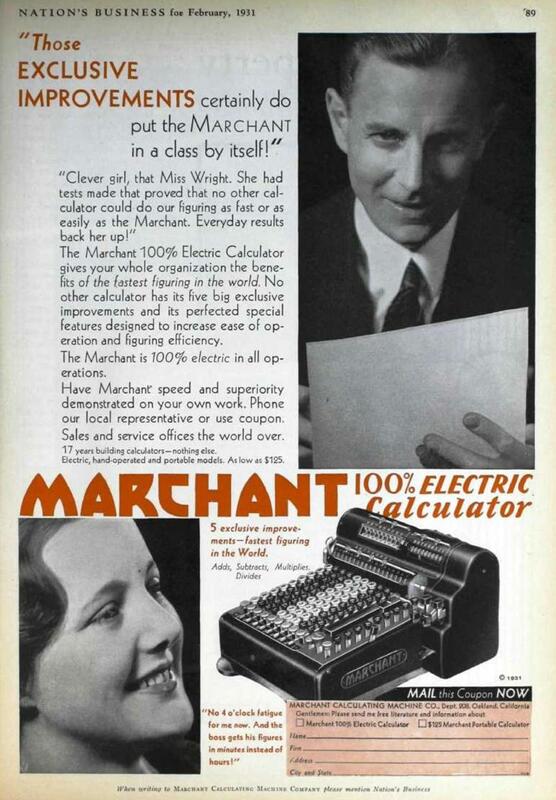 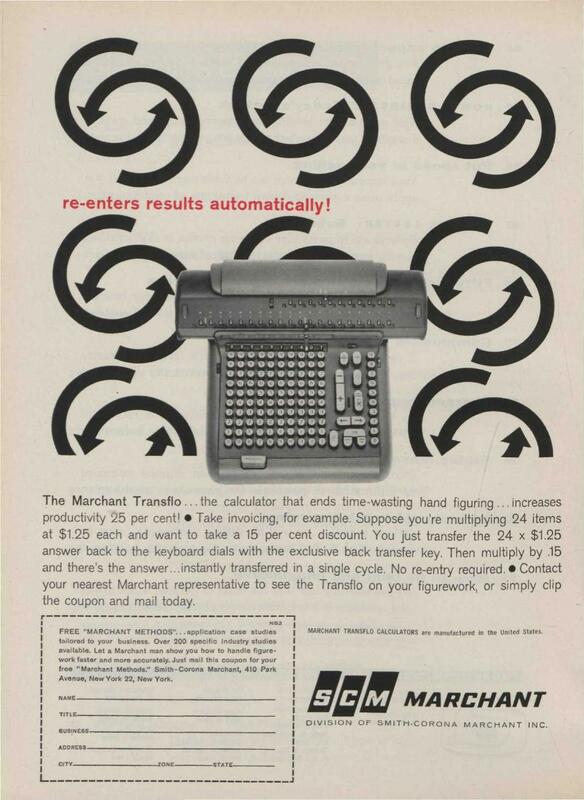 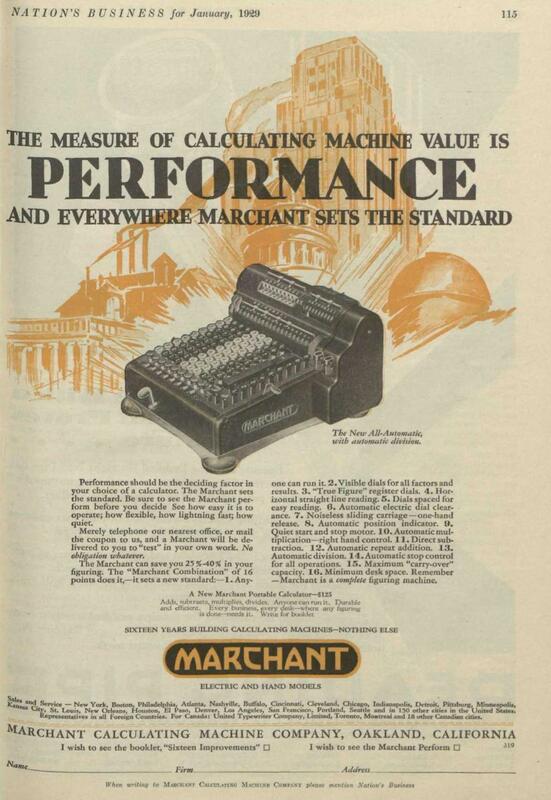 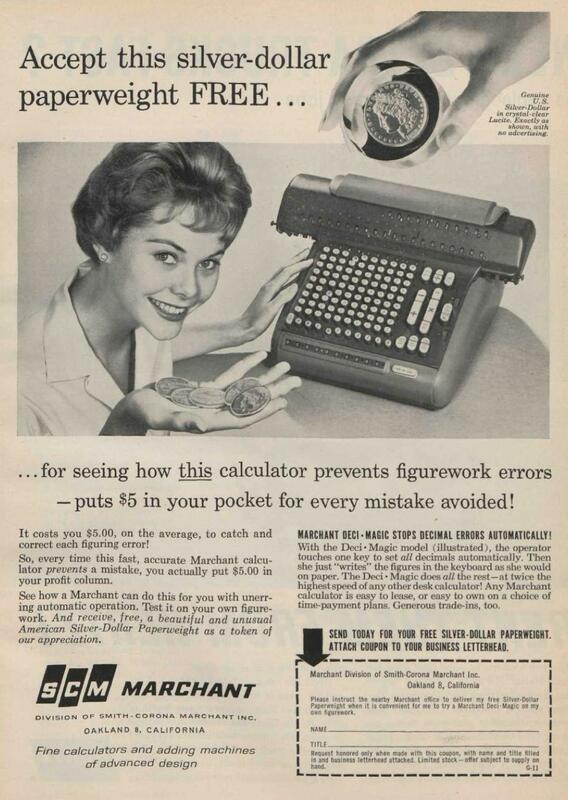 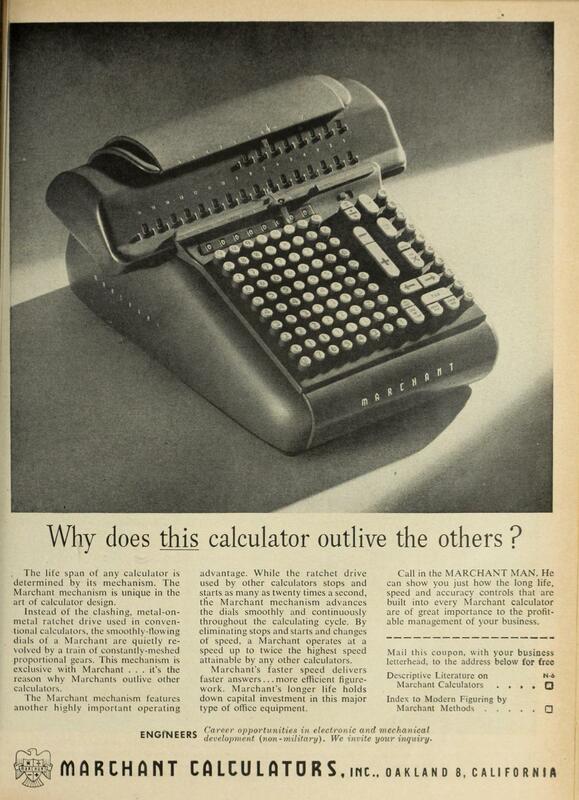 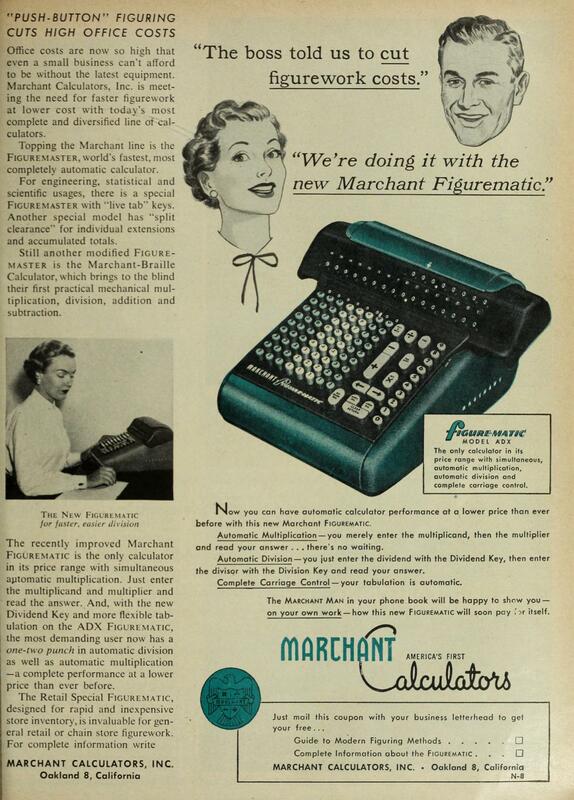 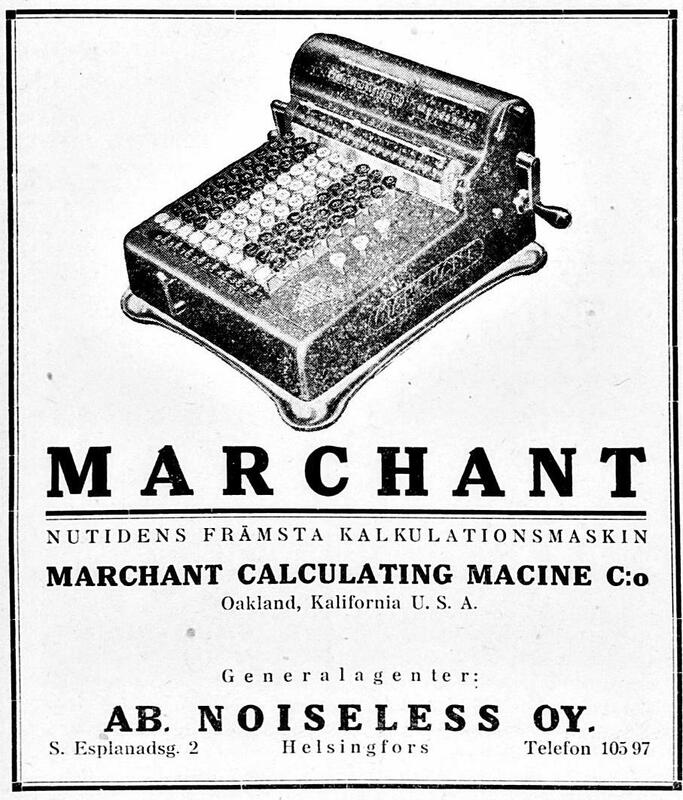 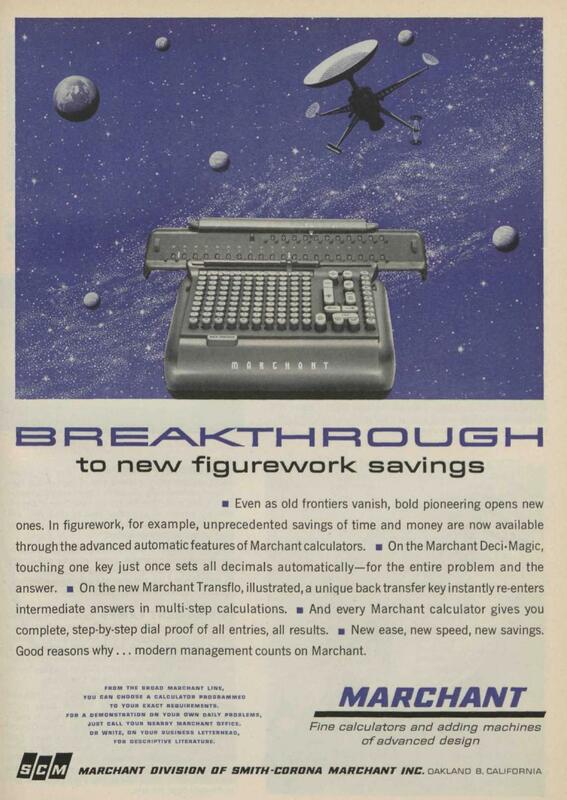 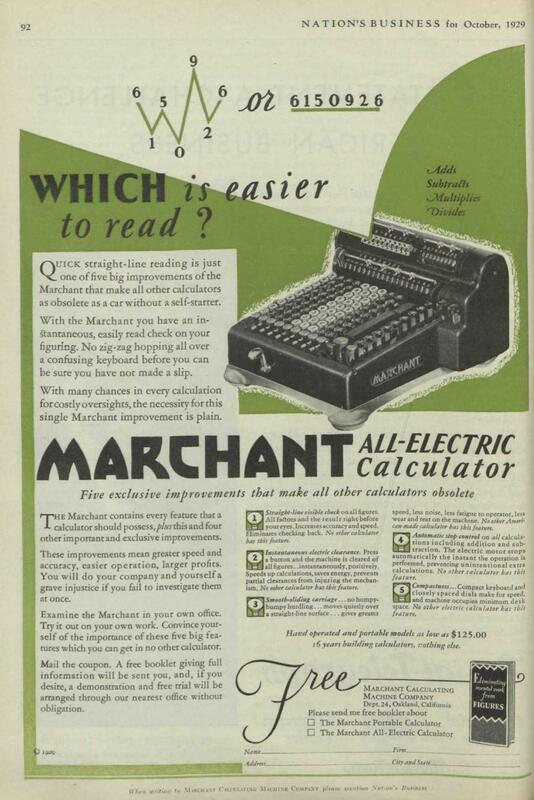 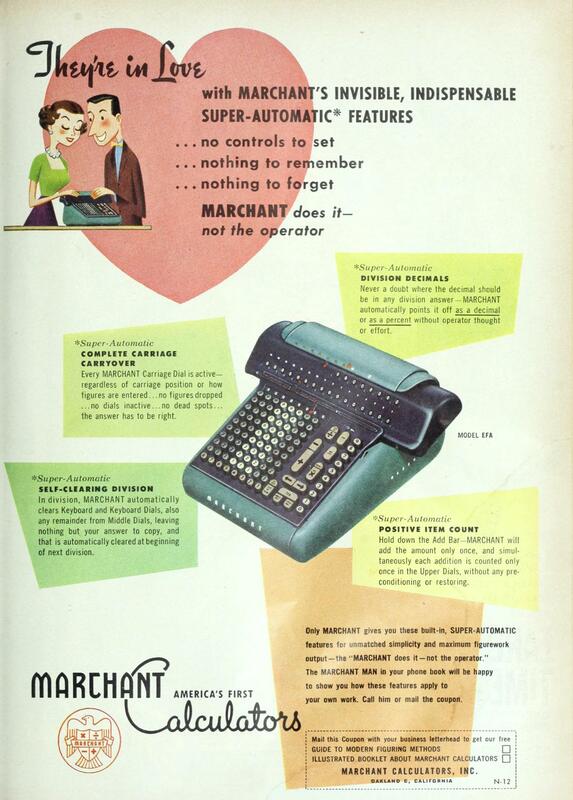 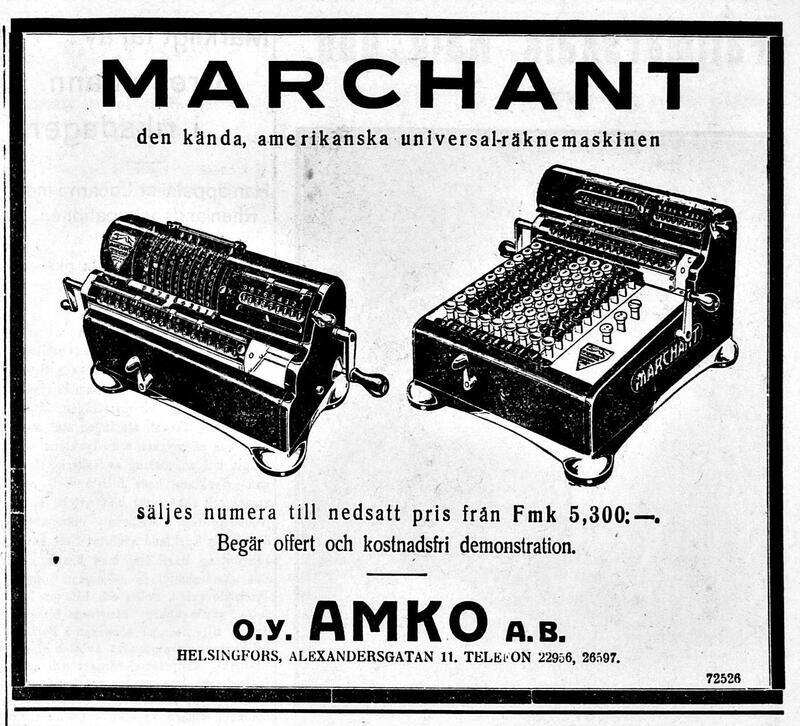 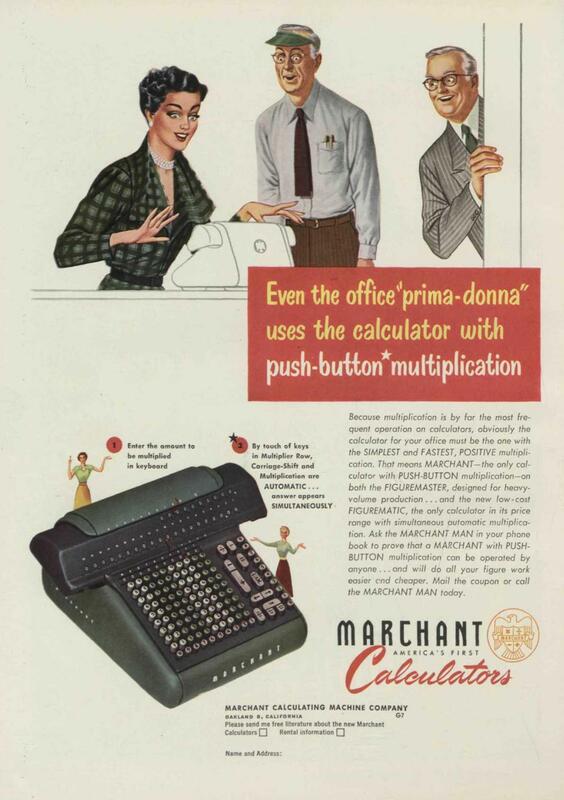 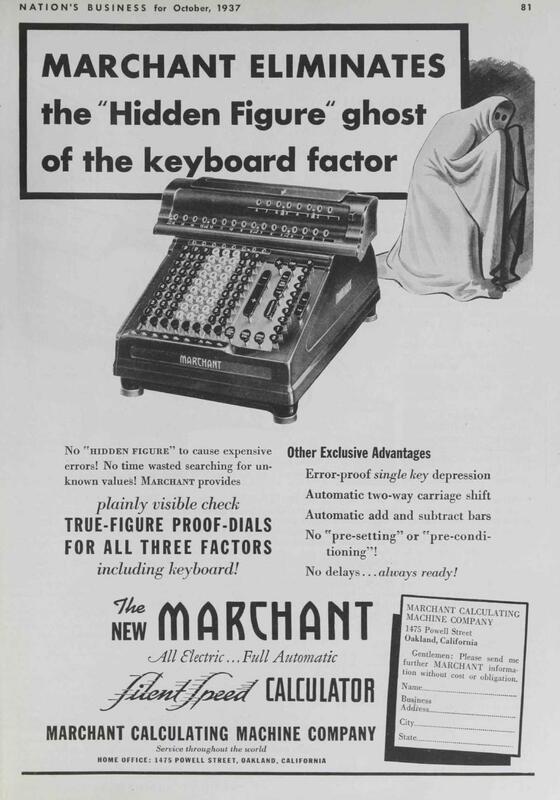 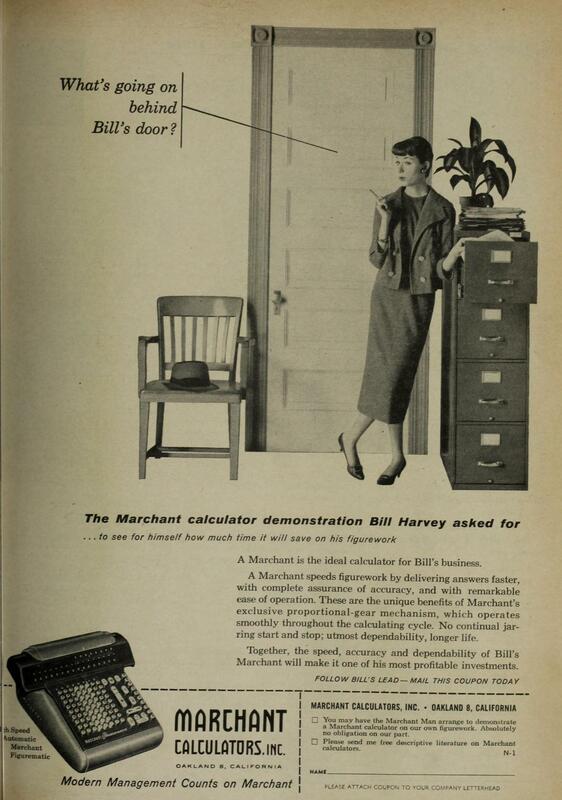 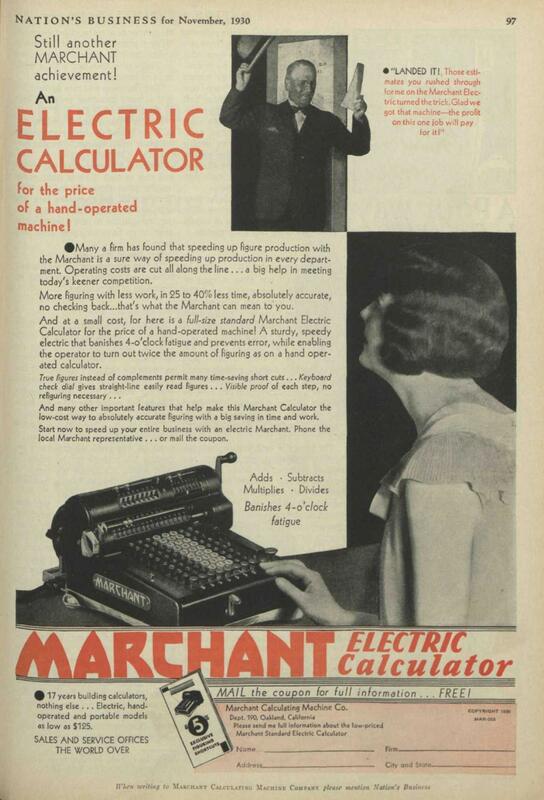 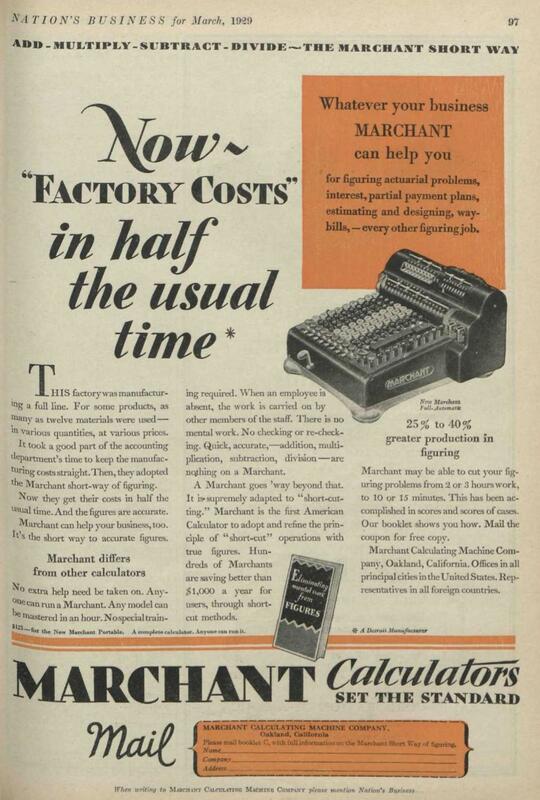 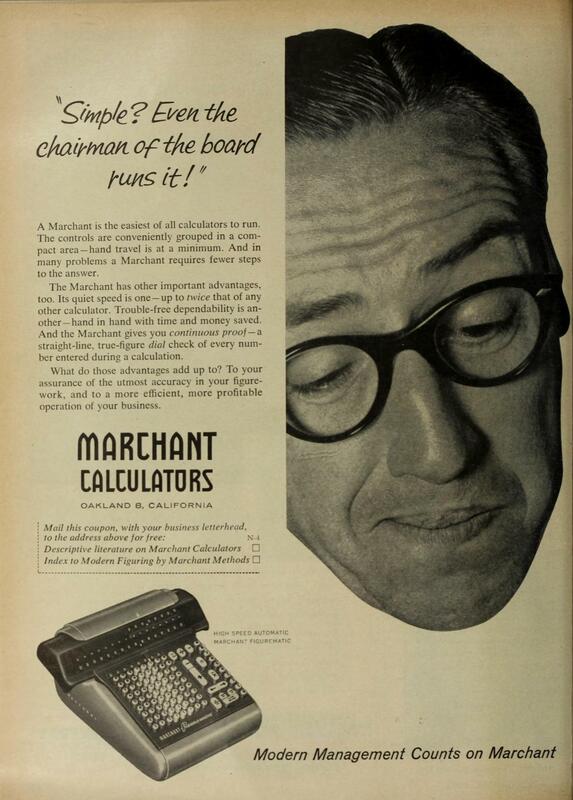 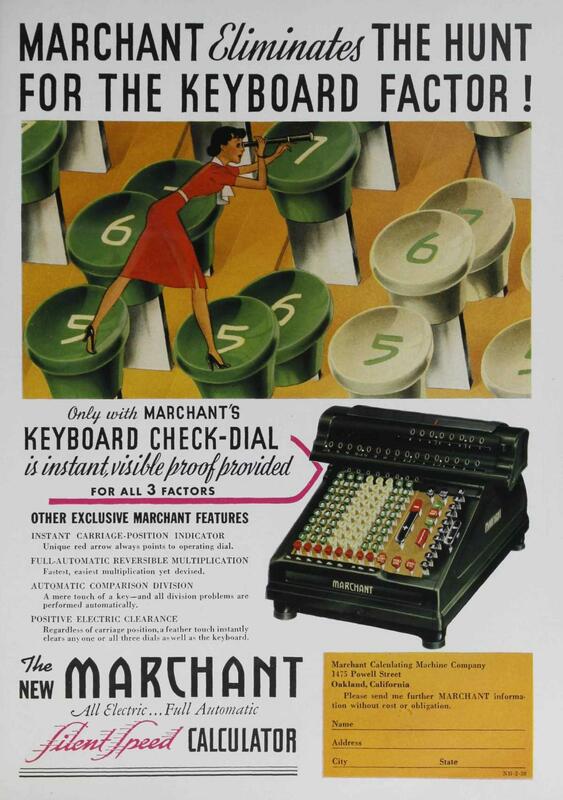 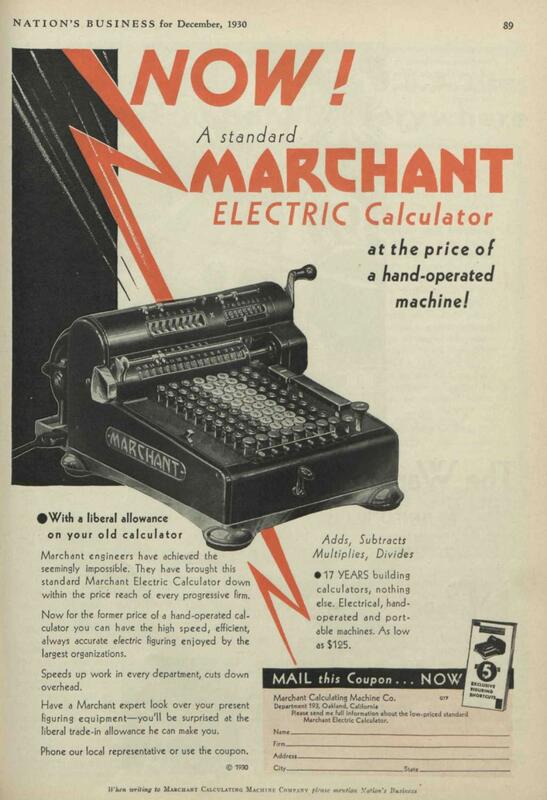 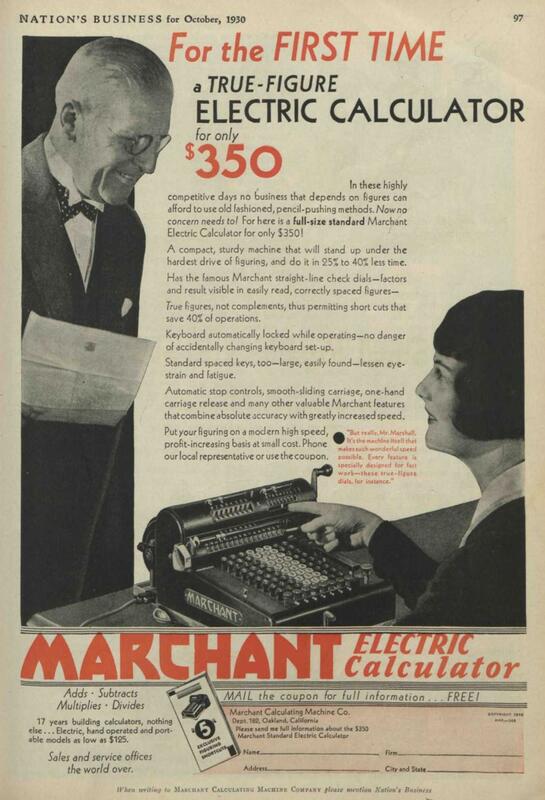 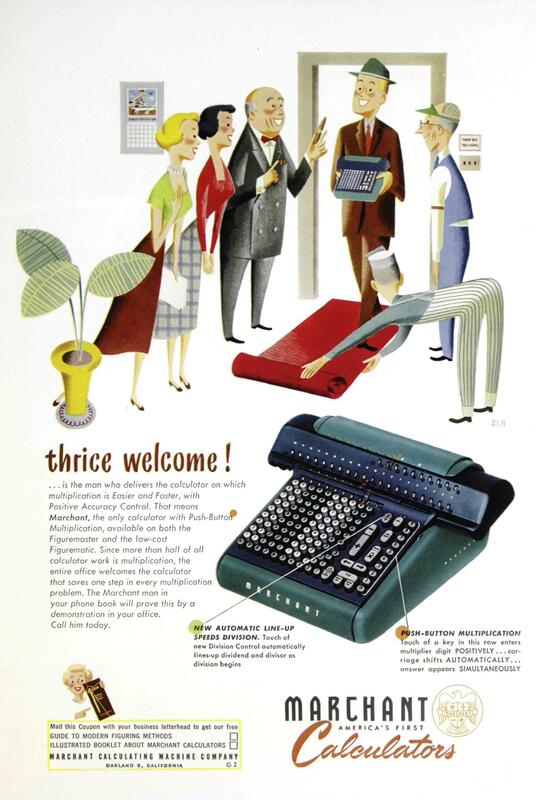 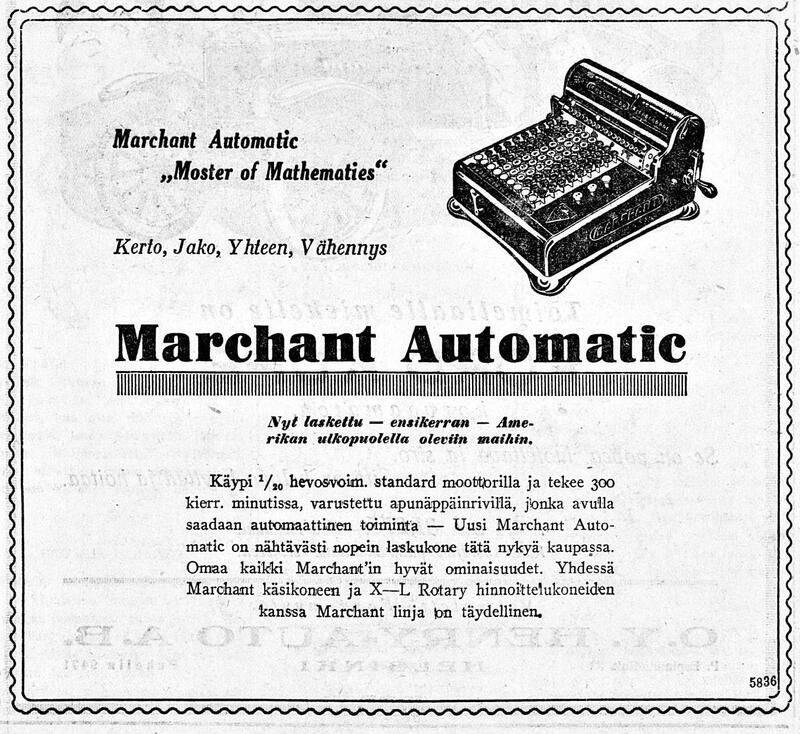 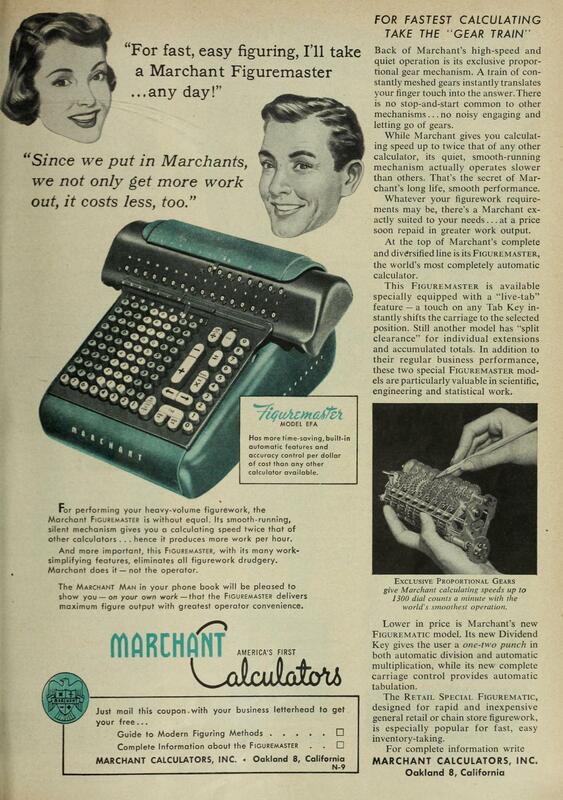 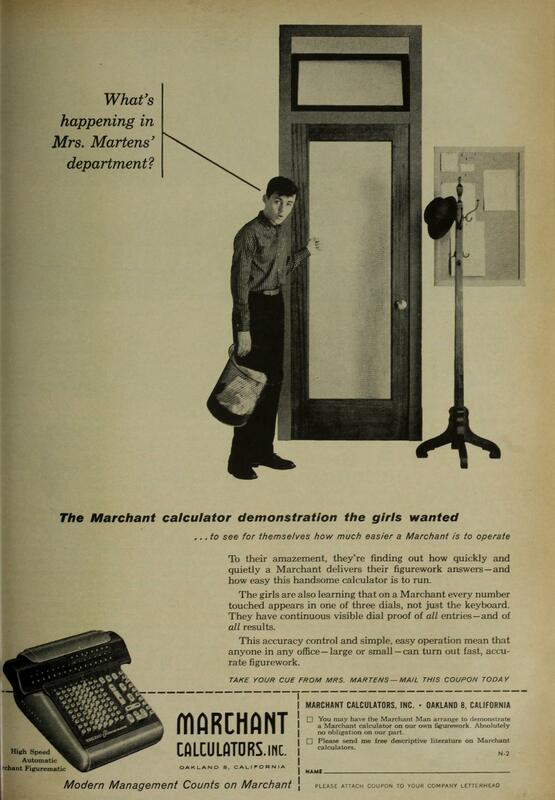 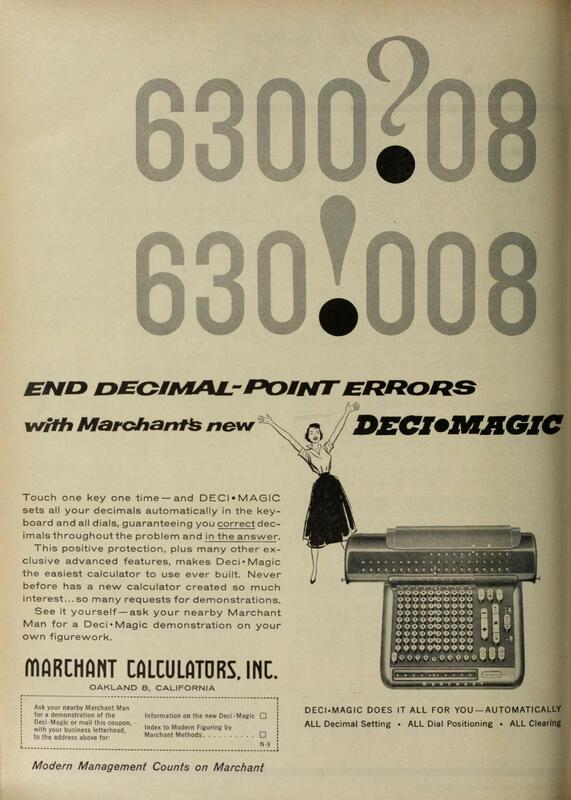 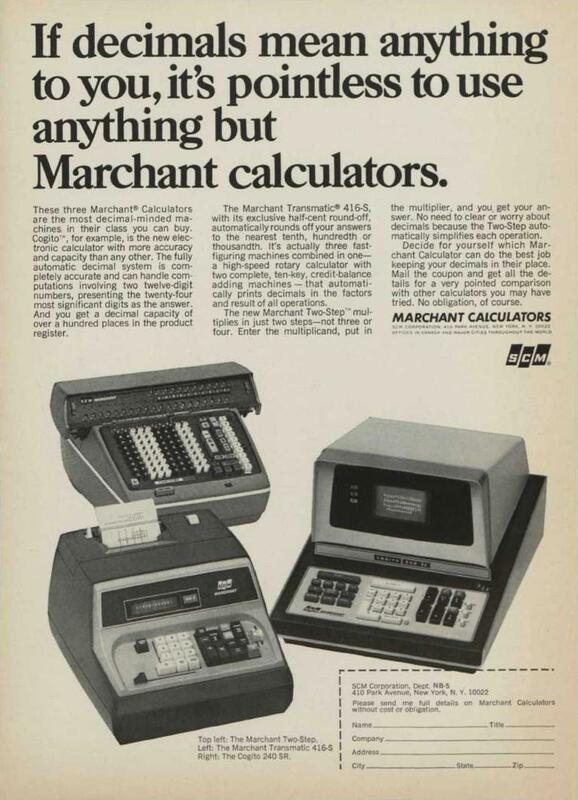 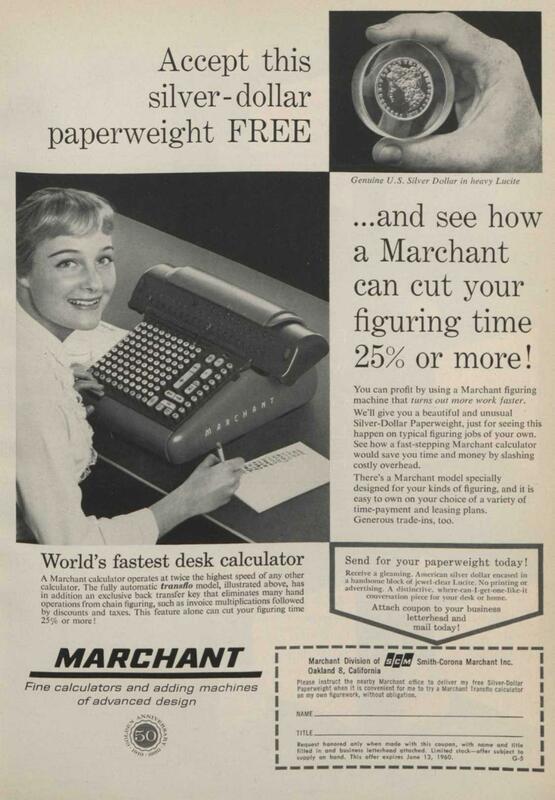 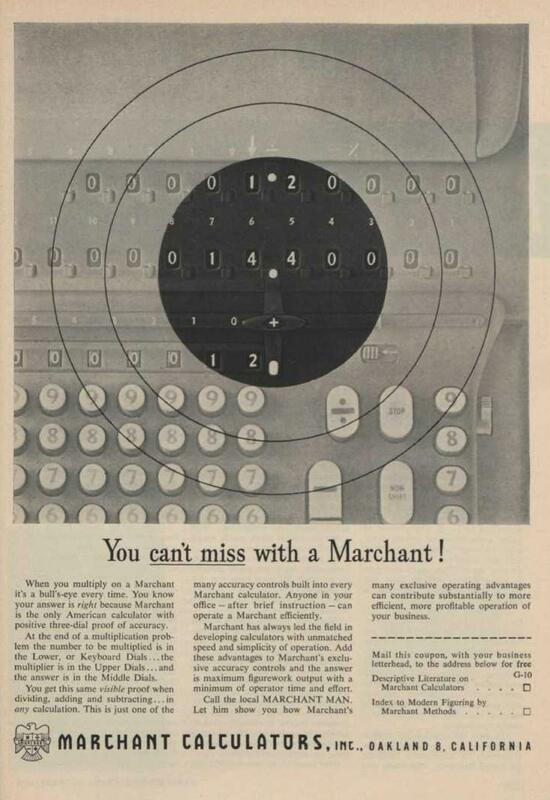 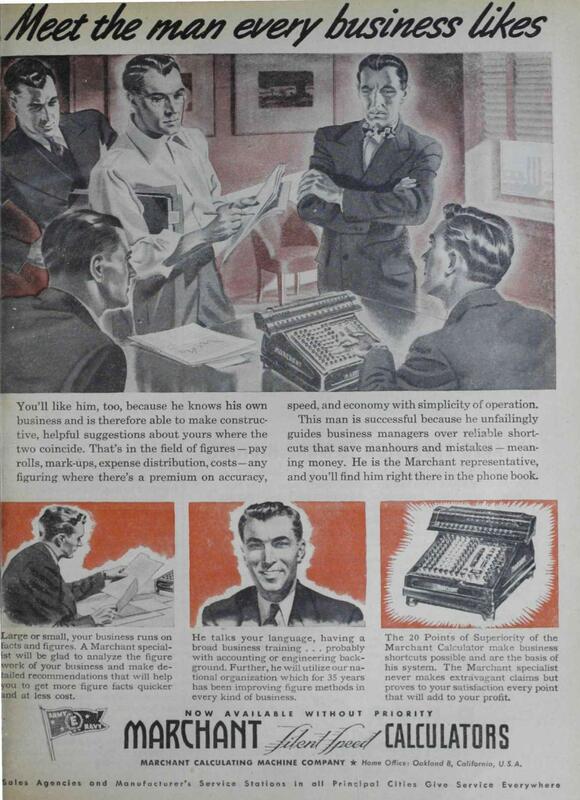 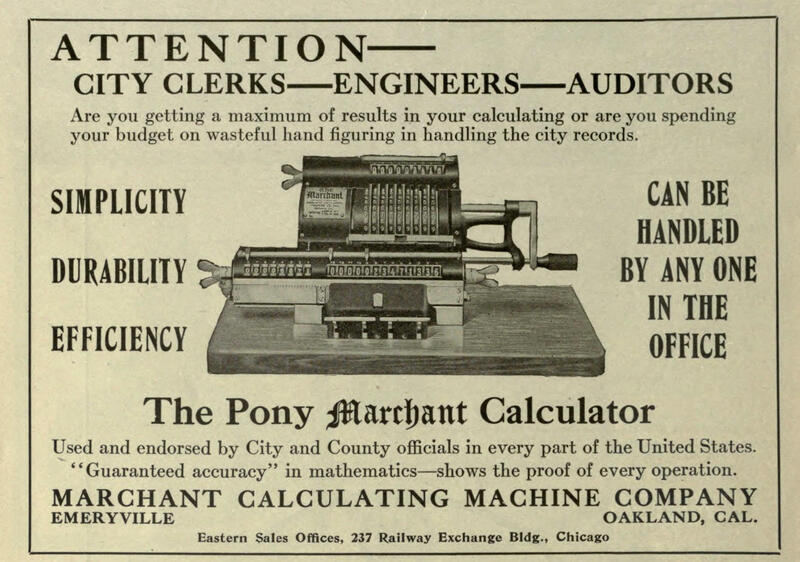 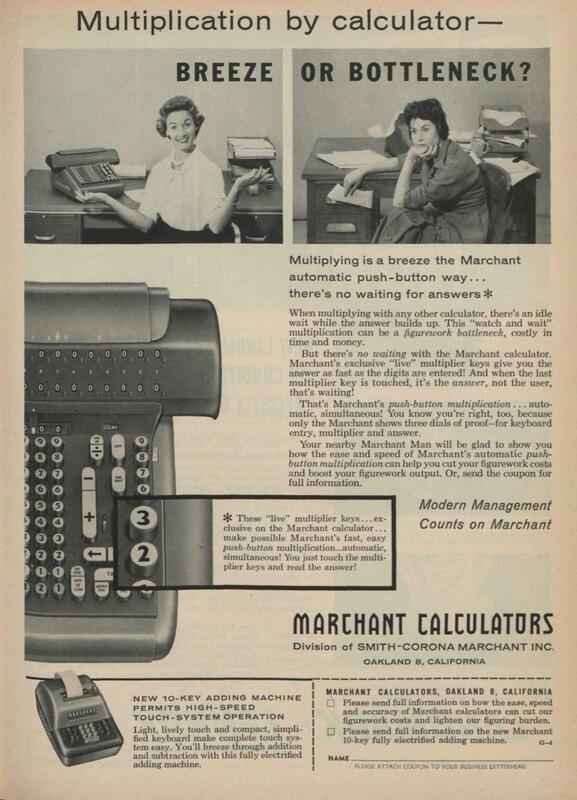 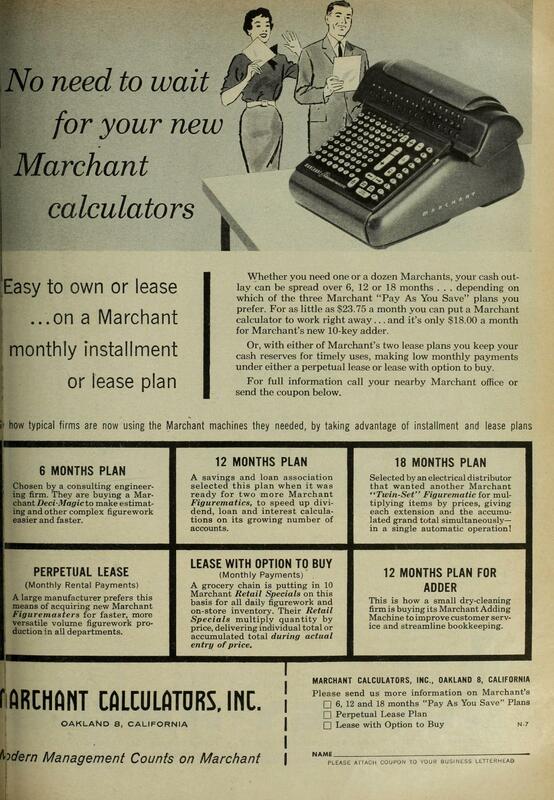 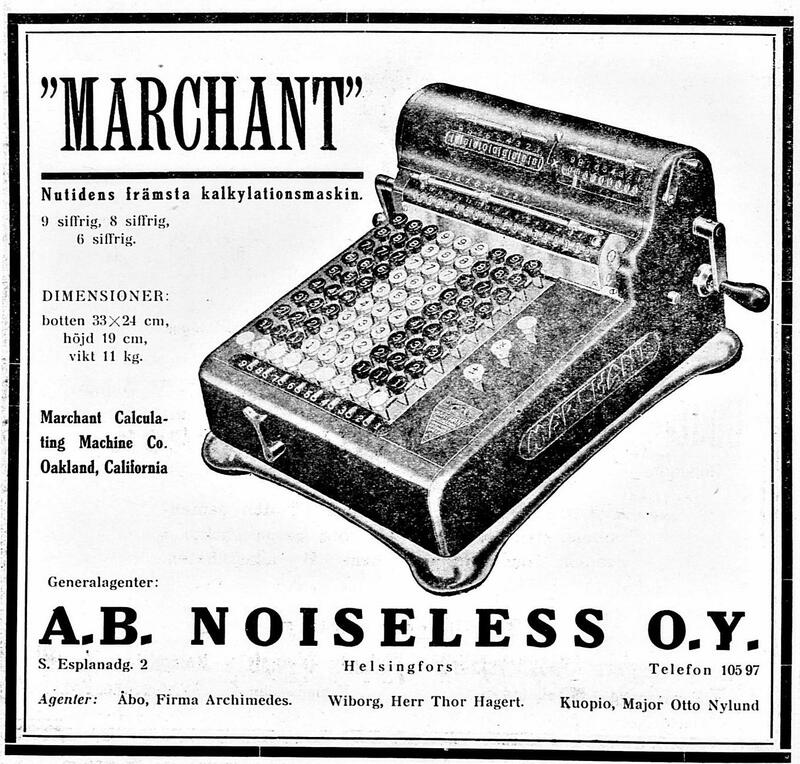 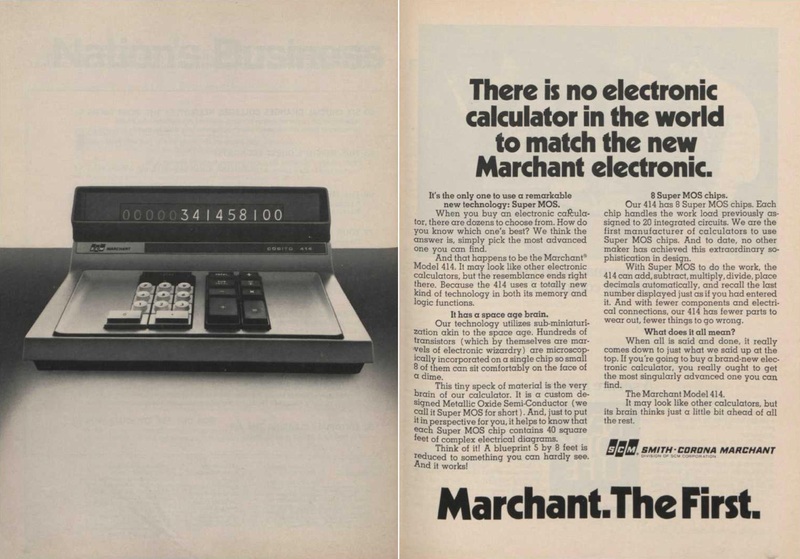 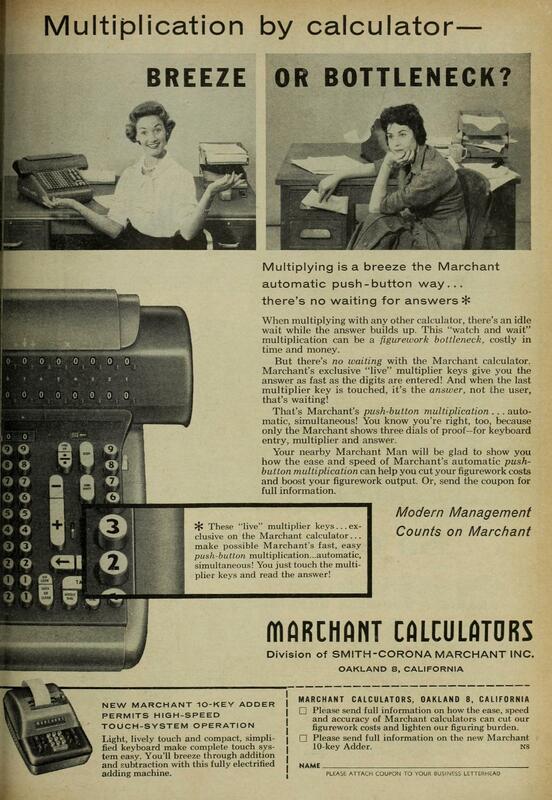 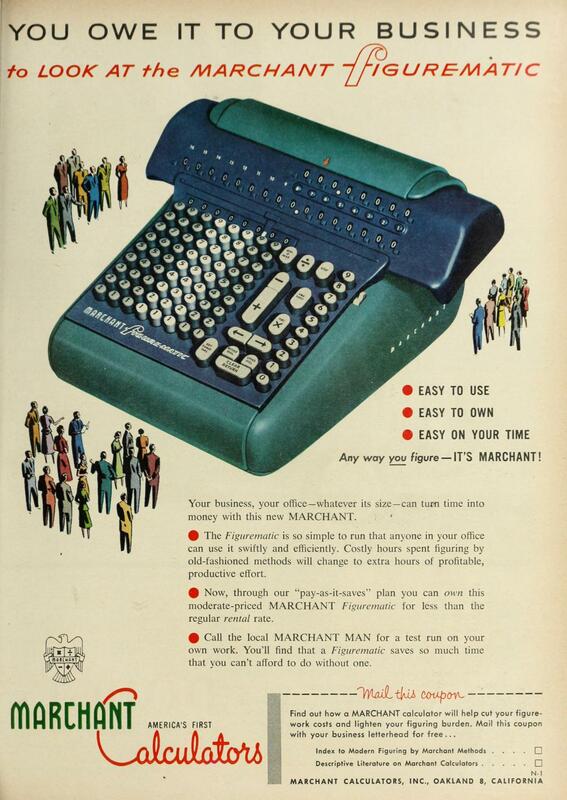 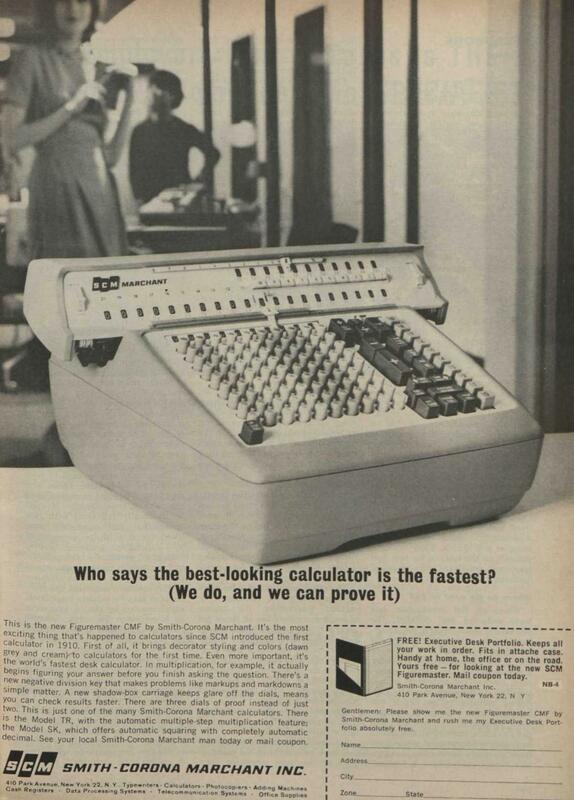 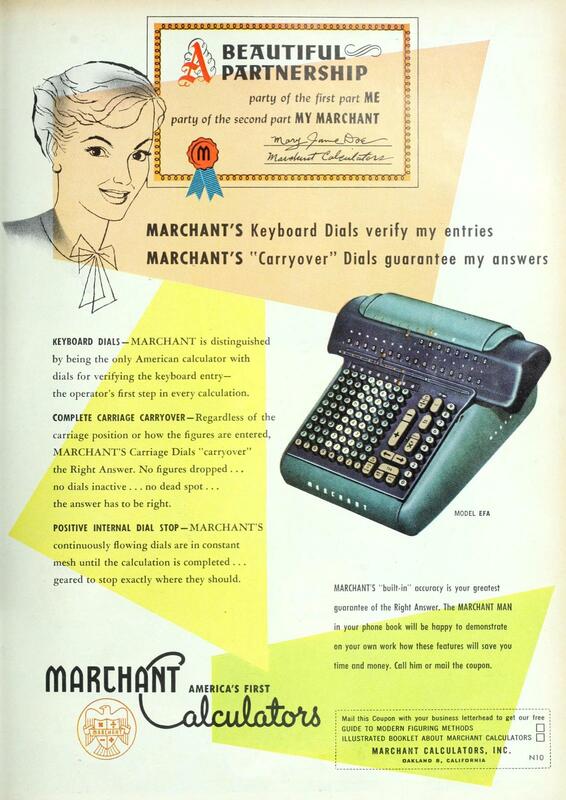 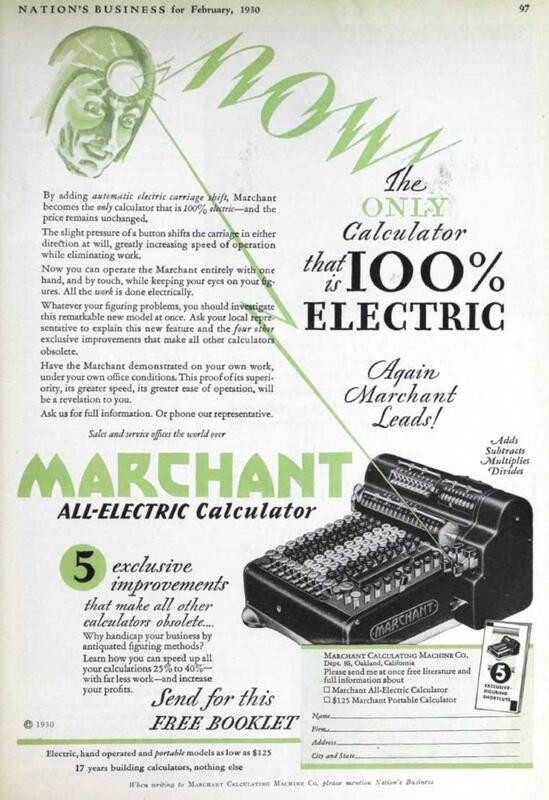 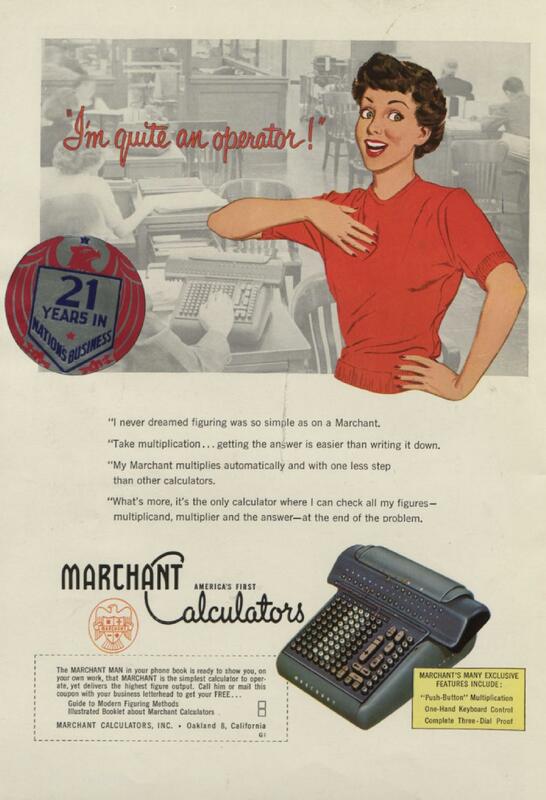 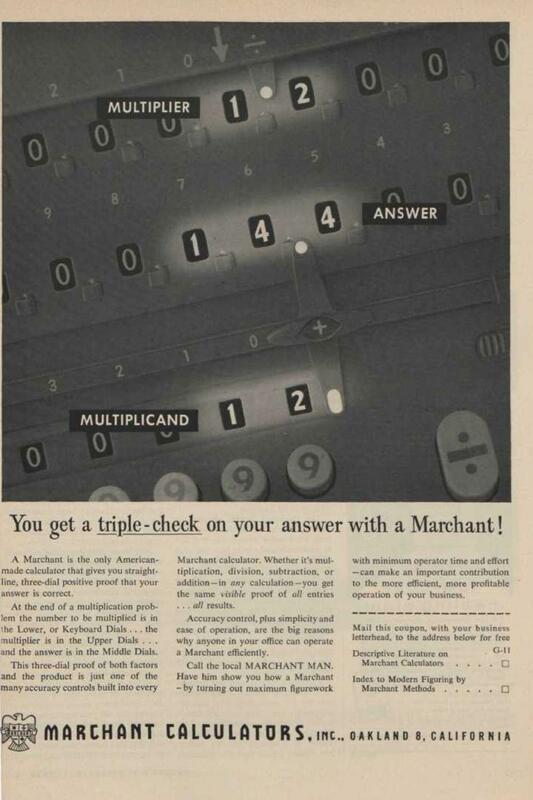 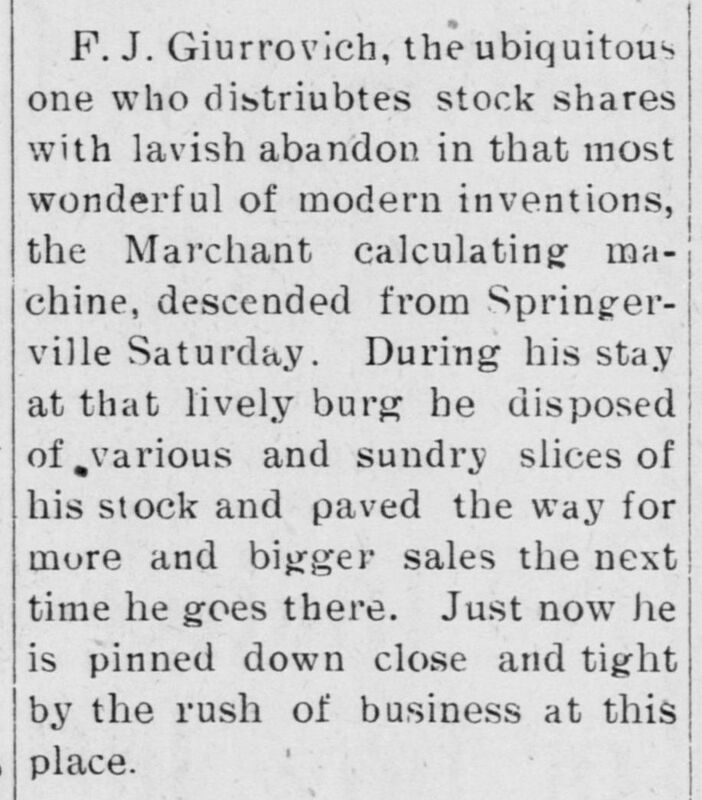 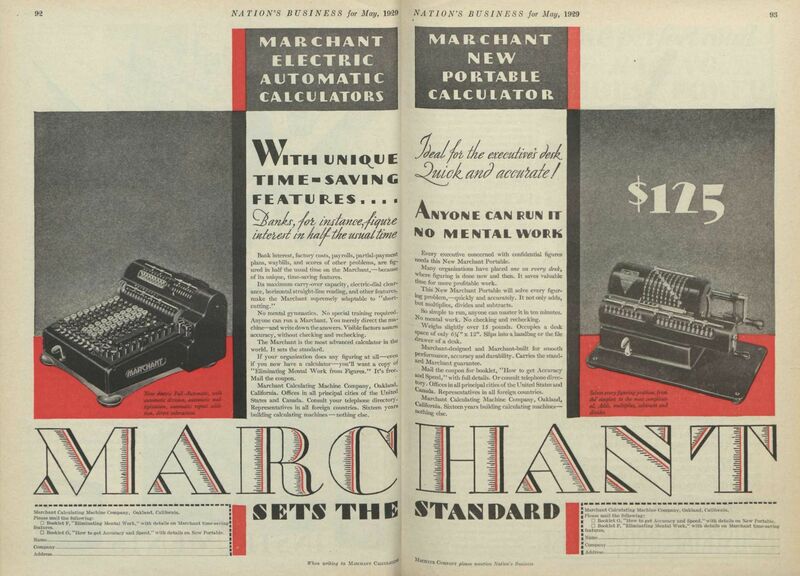 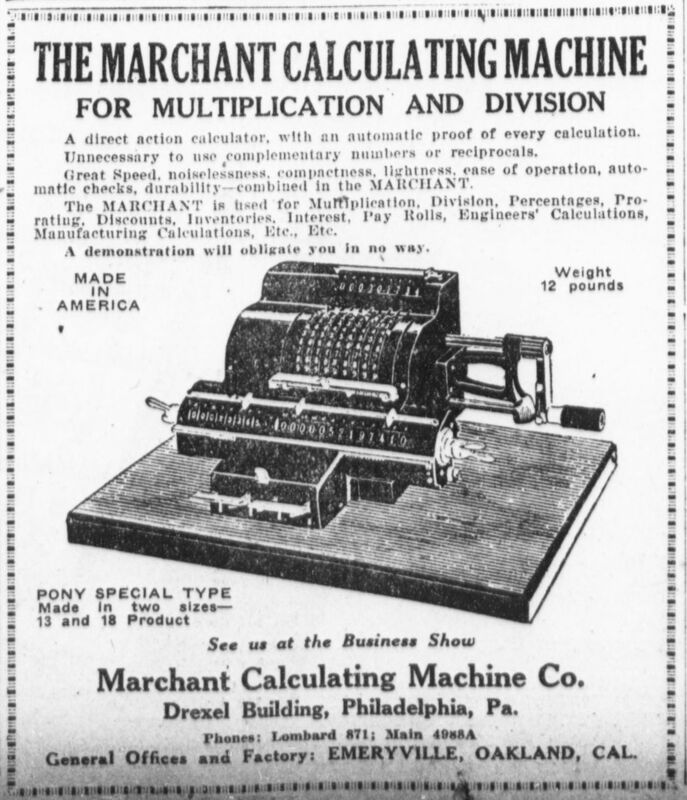 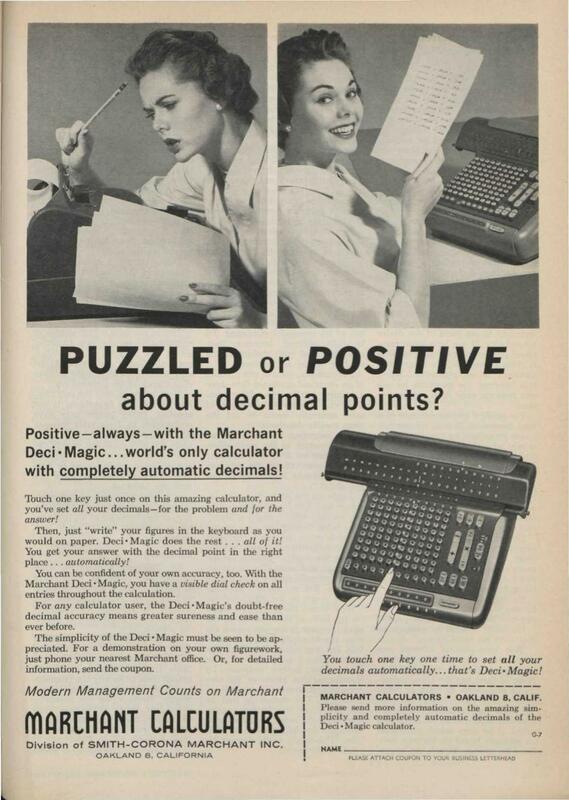 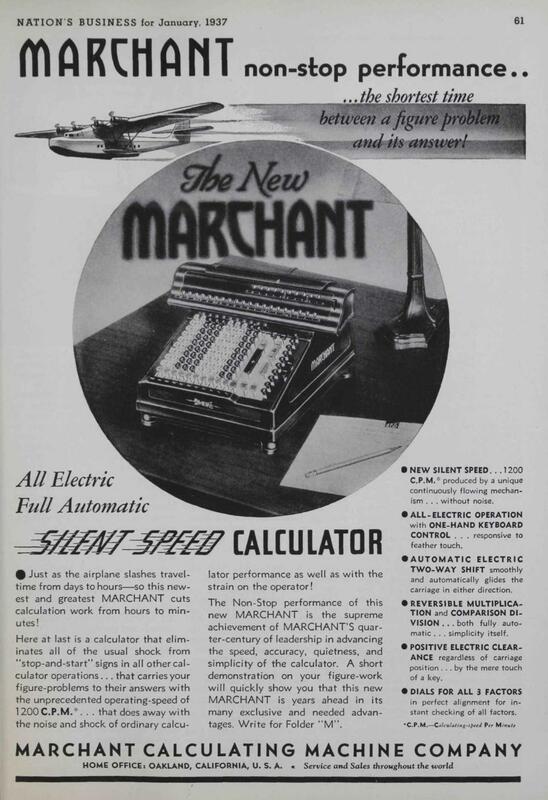 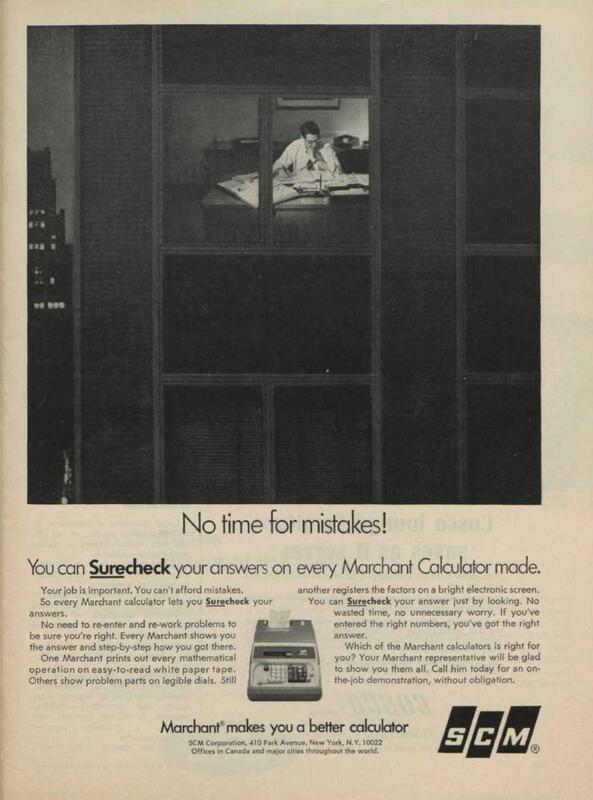 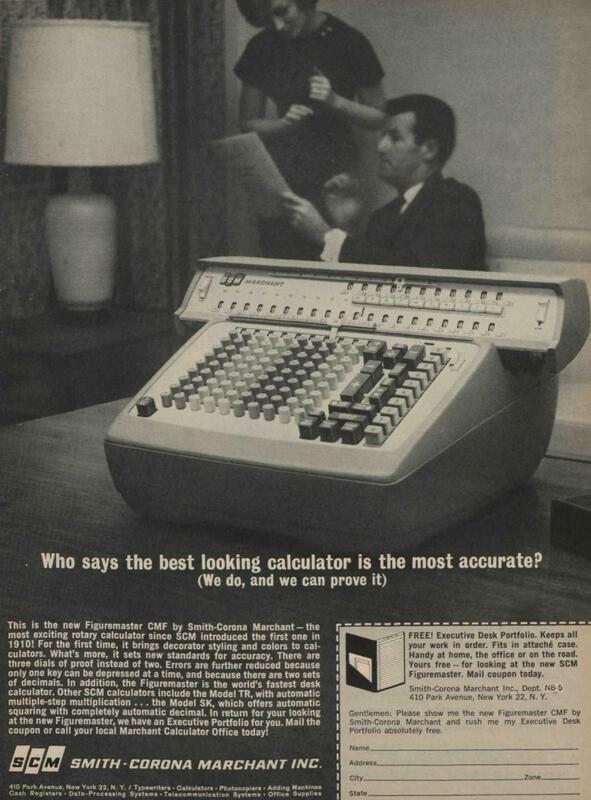 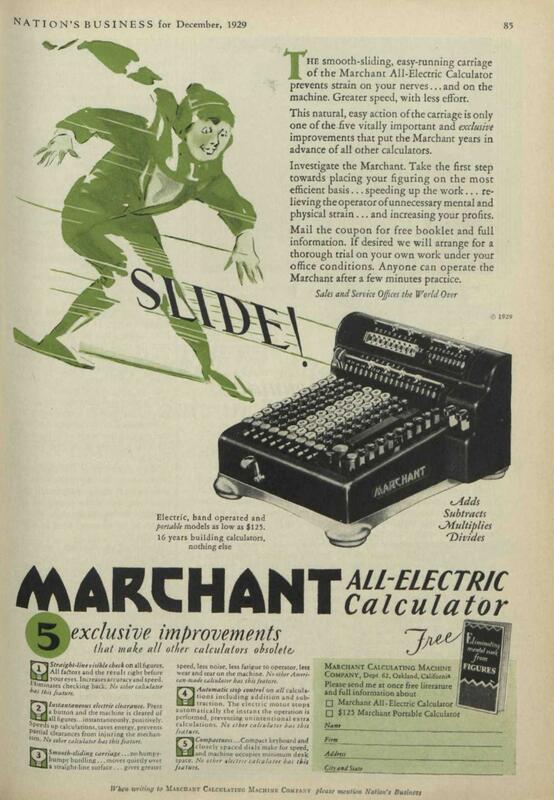 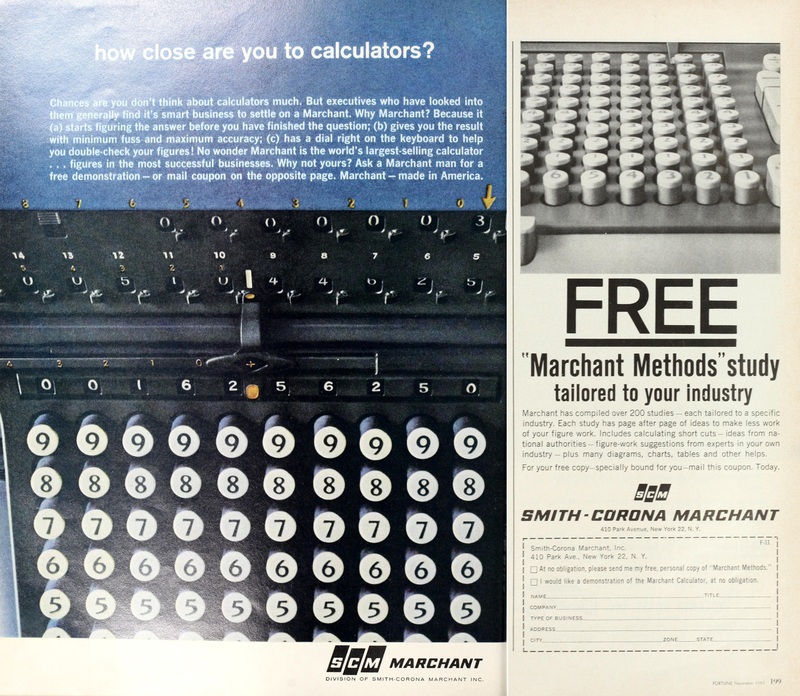 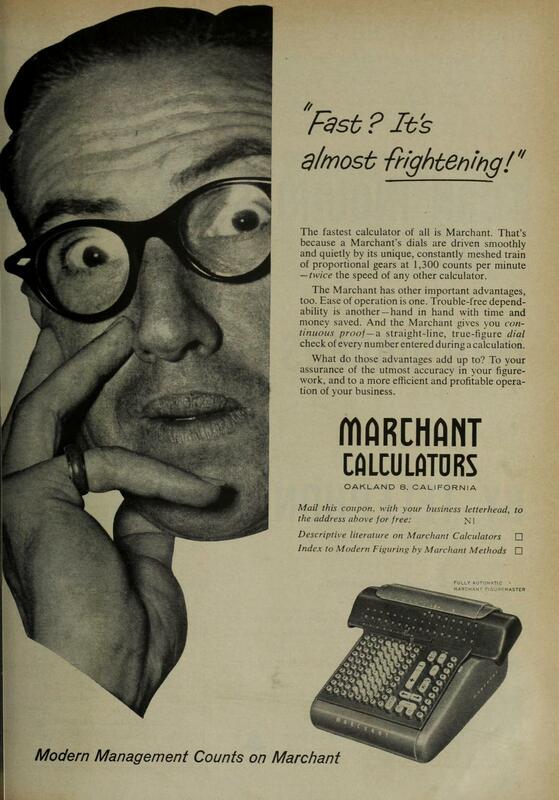 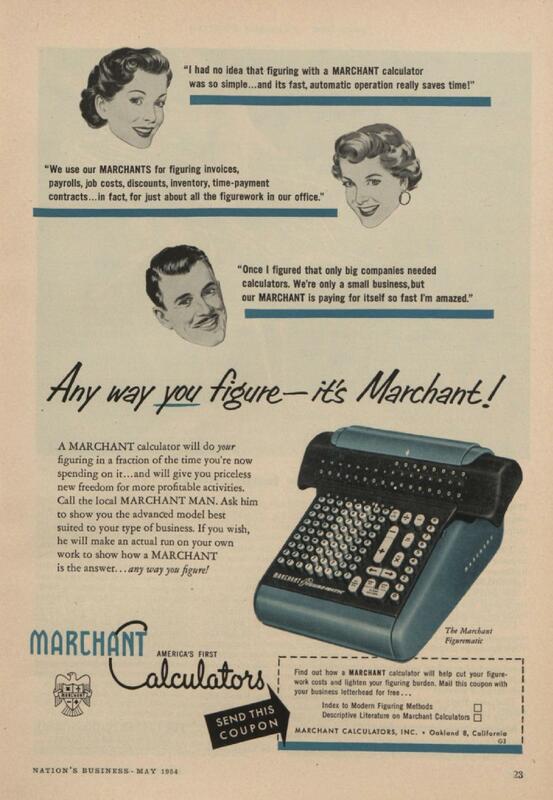 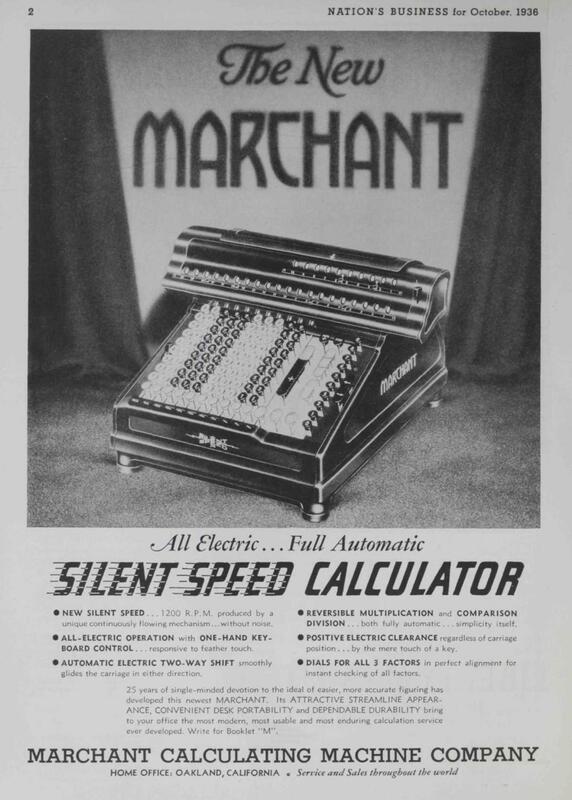 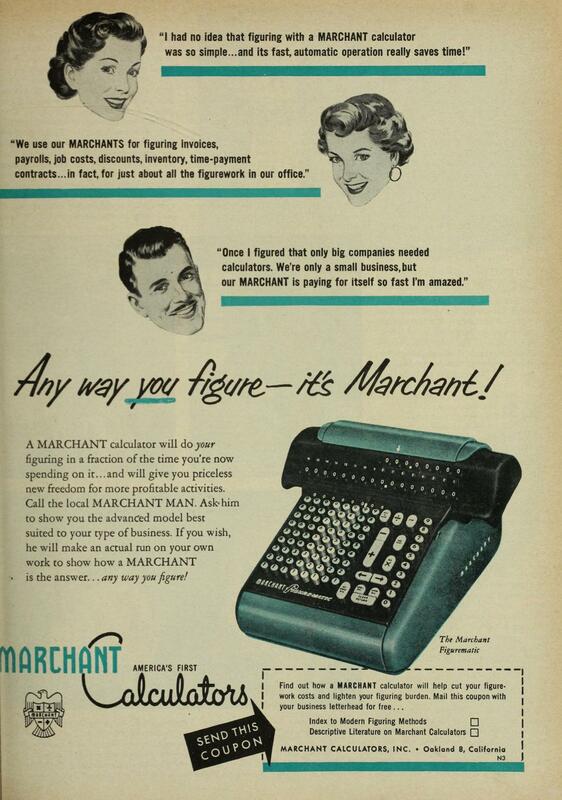 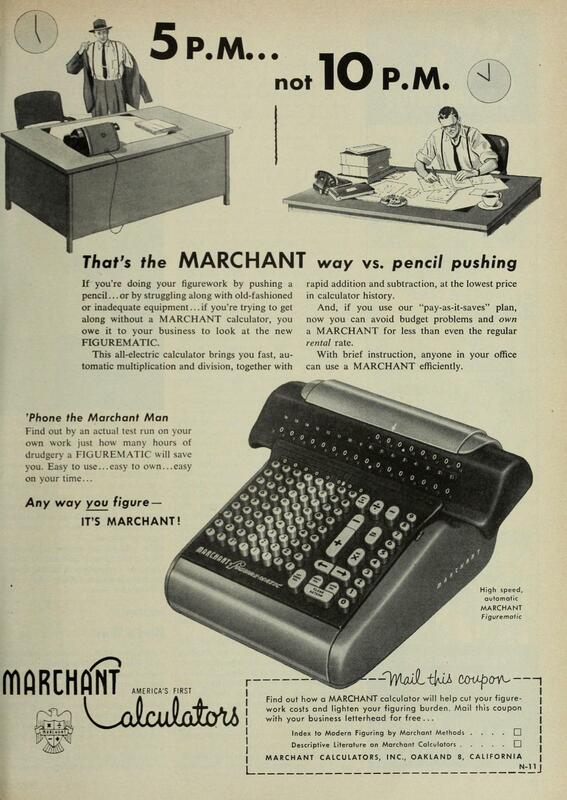 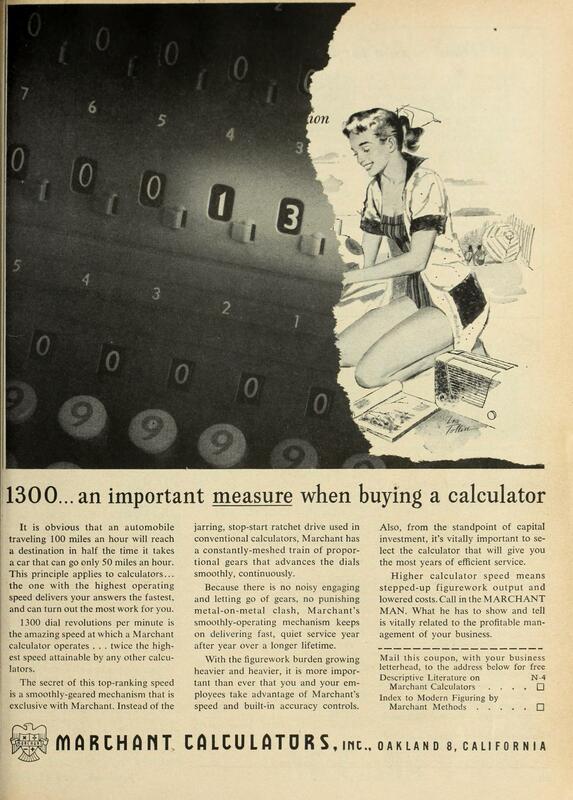 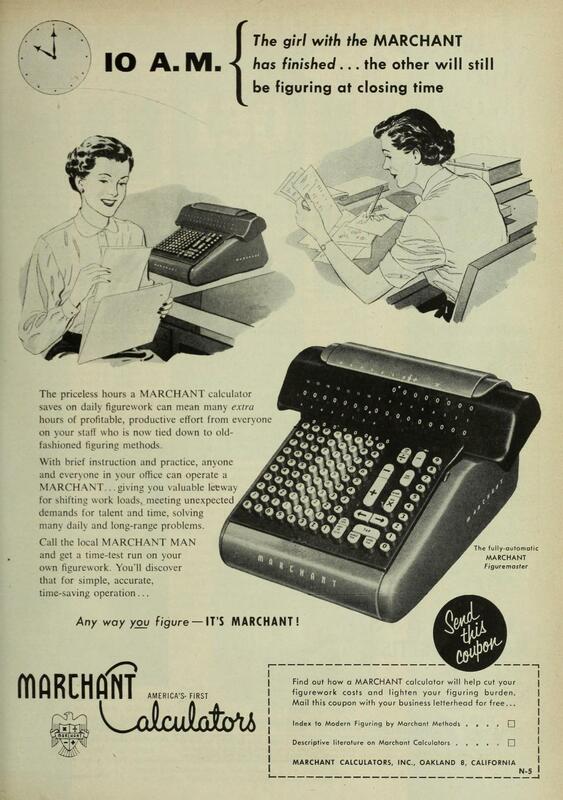 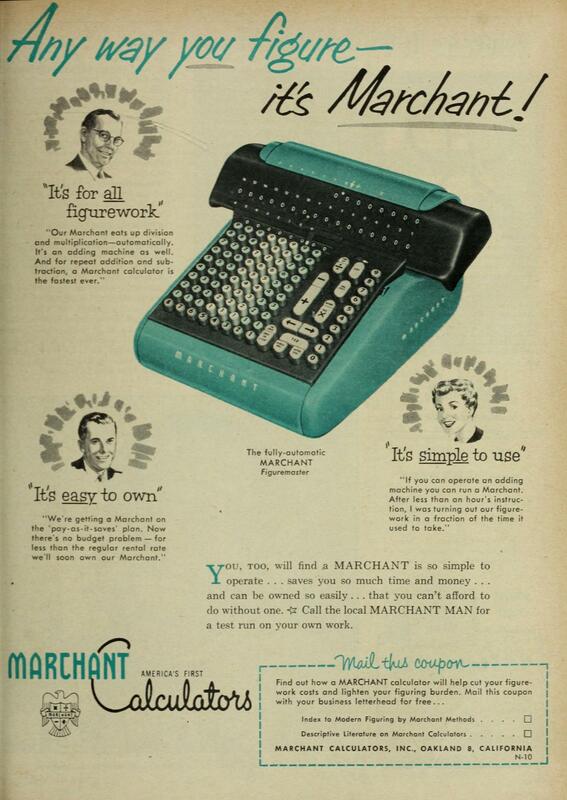 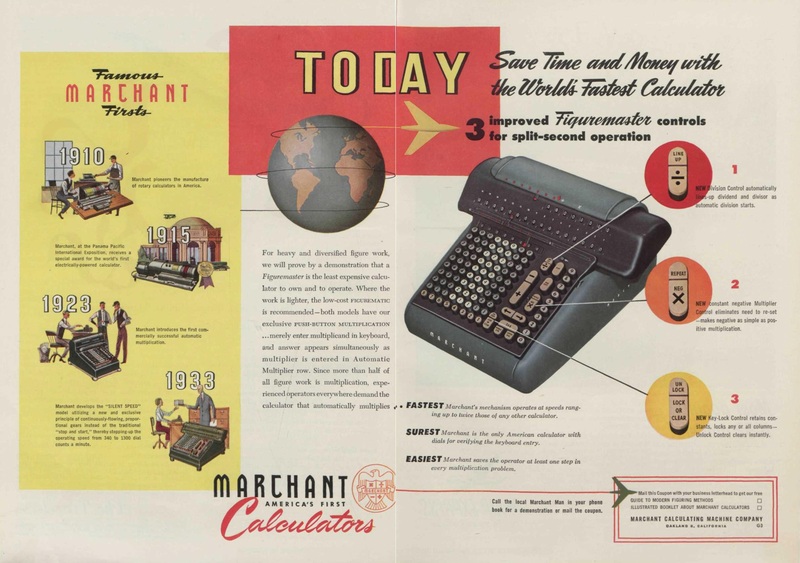 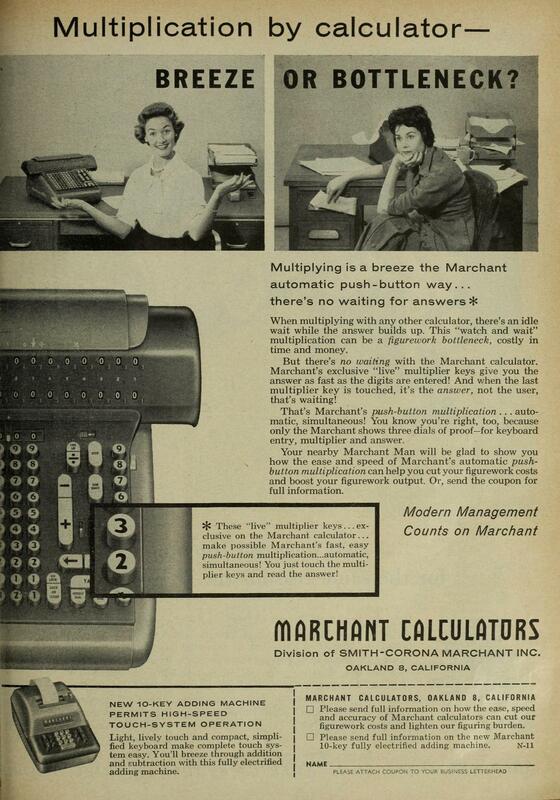 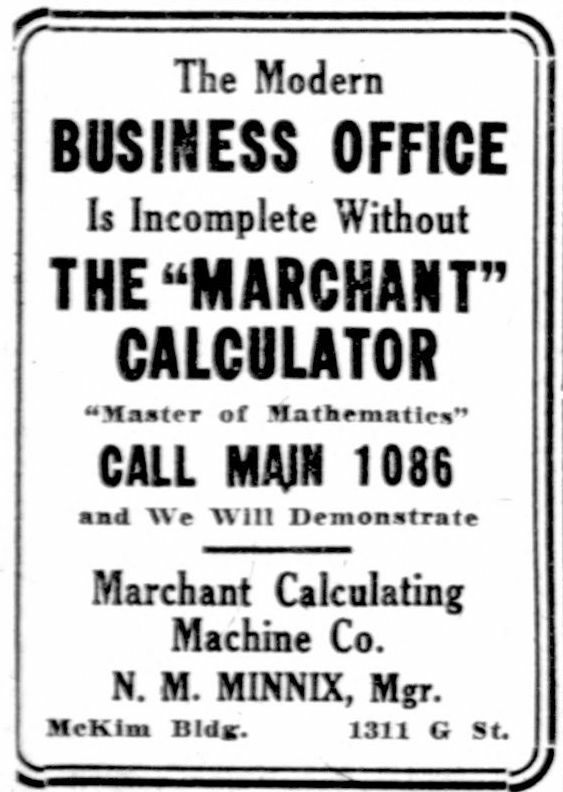 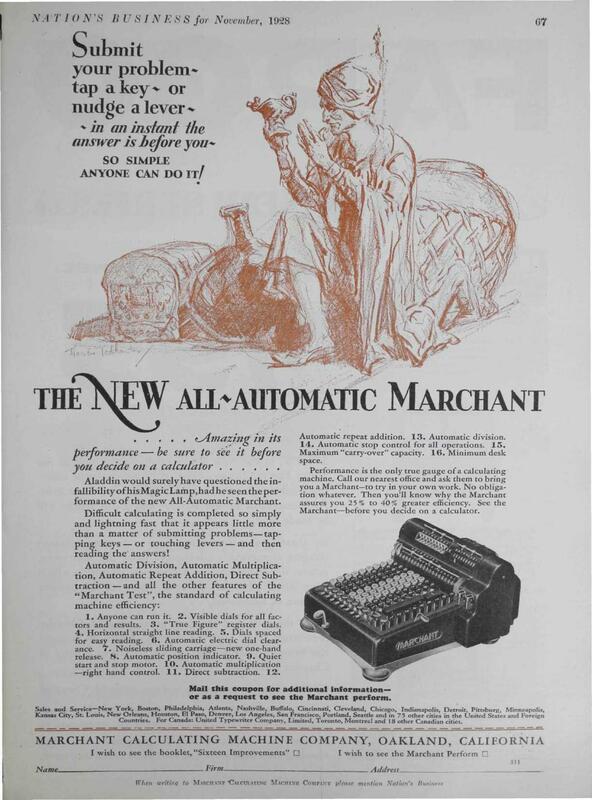 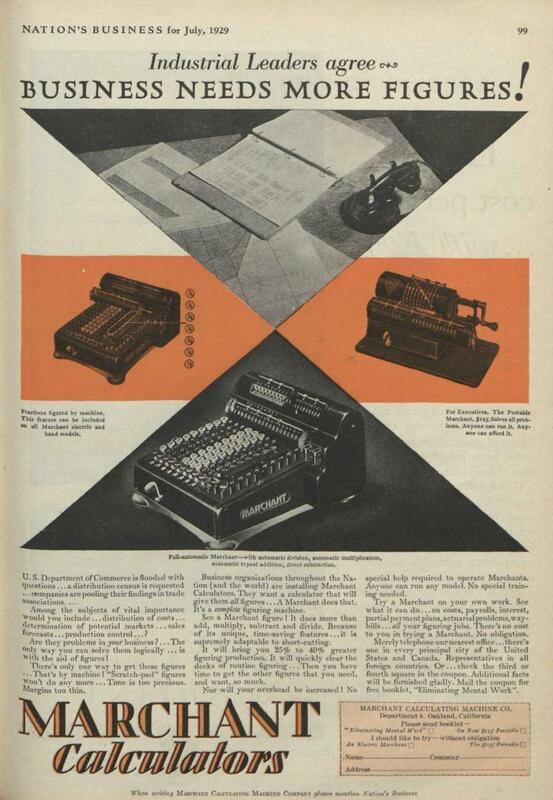 Various advertorials about stock in the Marchant Calculation Company. 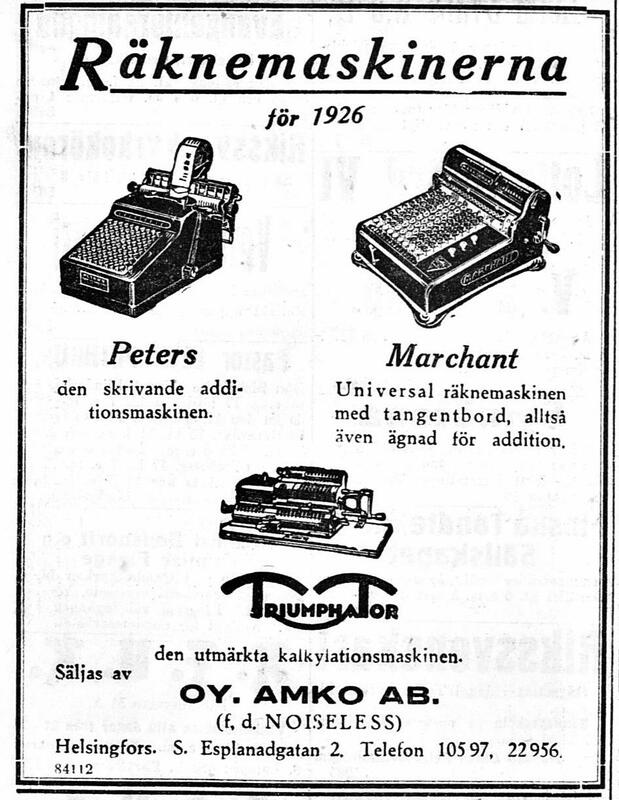 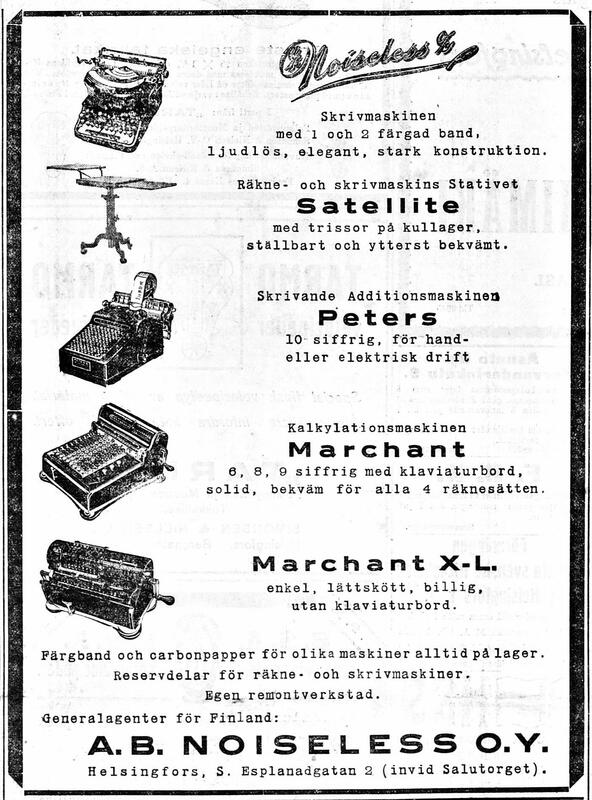 Ads for the Odhner models, the Standard and Pony. 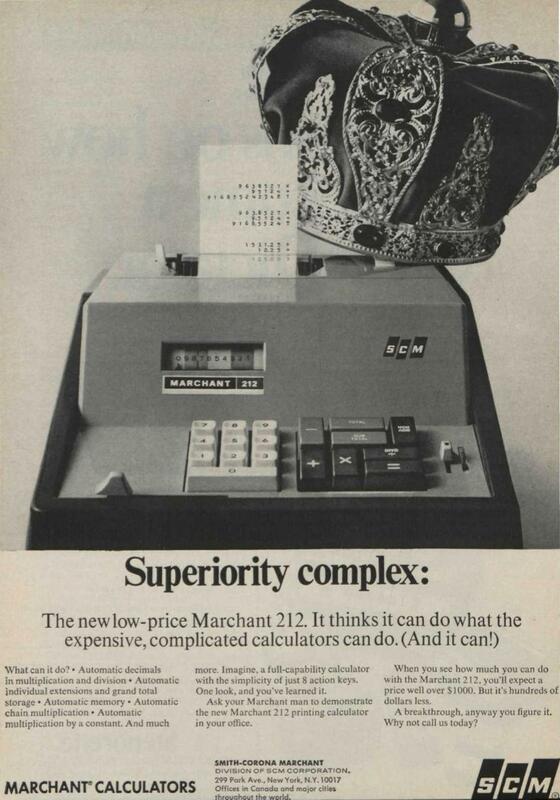 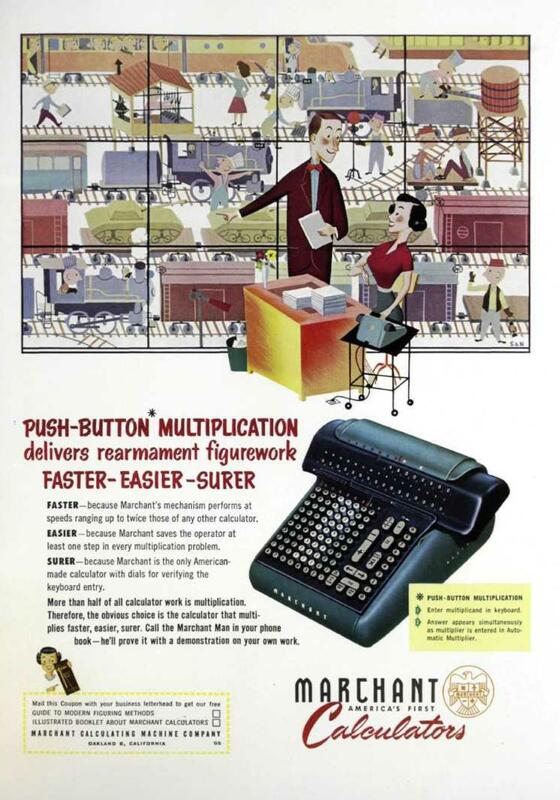 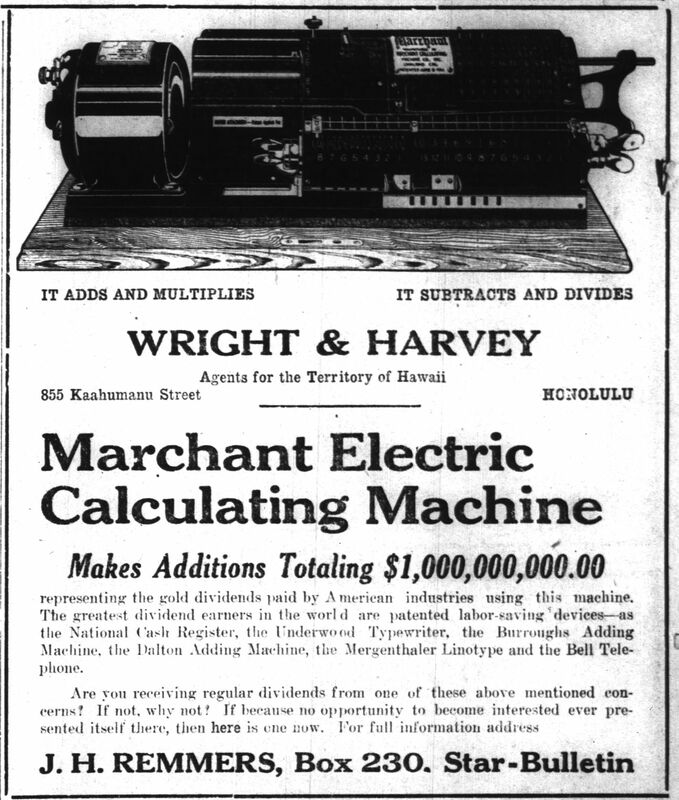 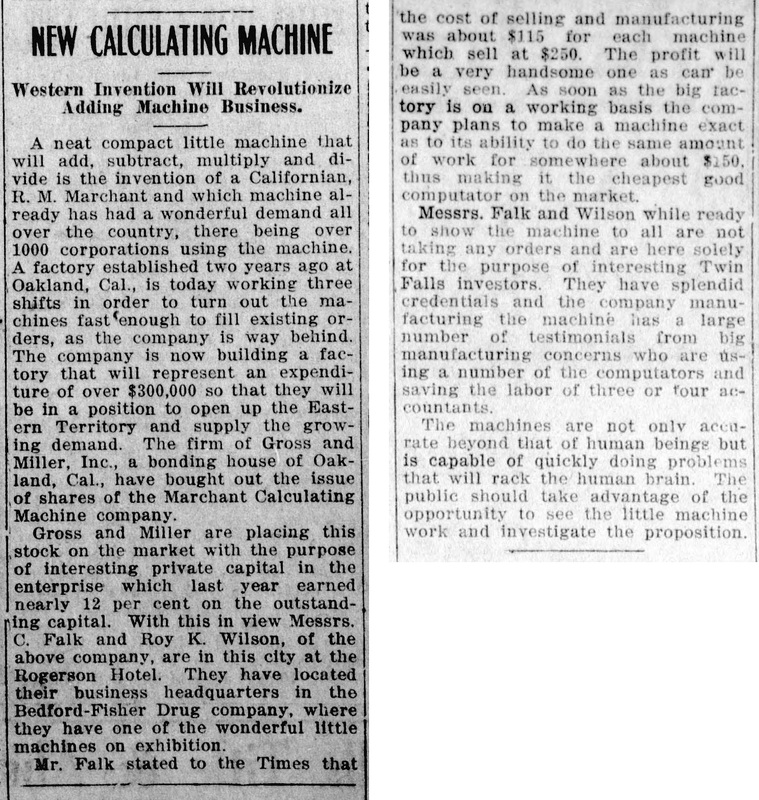 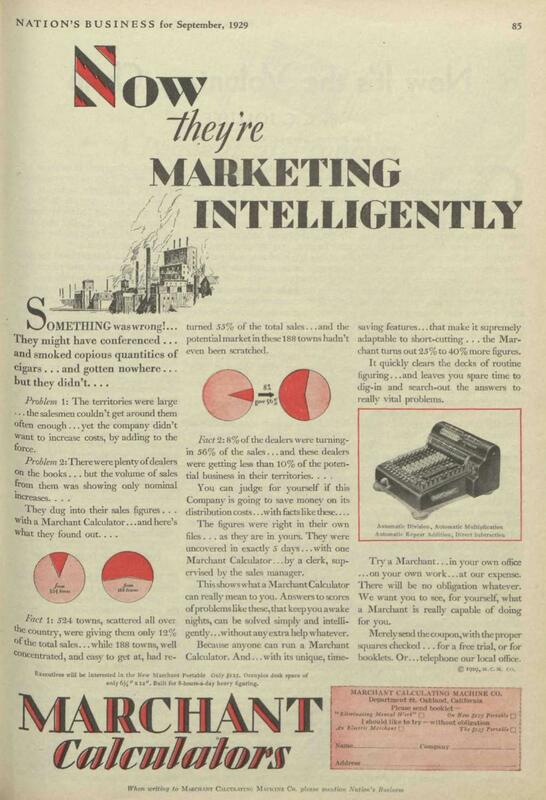 Ads for the adaptive segment machines. 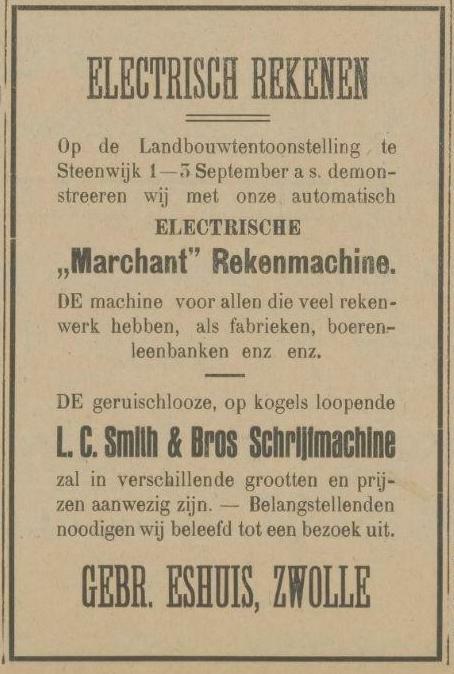 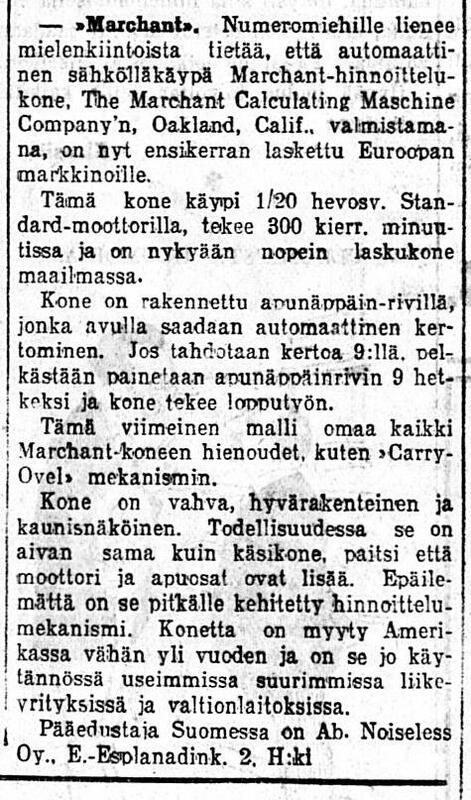 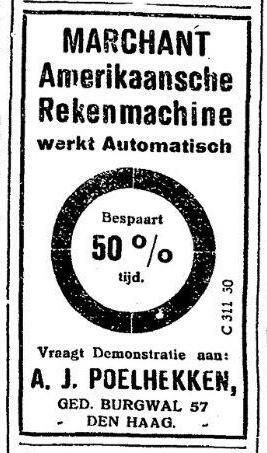 Ads for the Silent Speed machine. 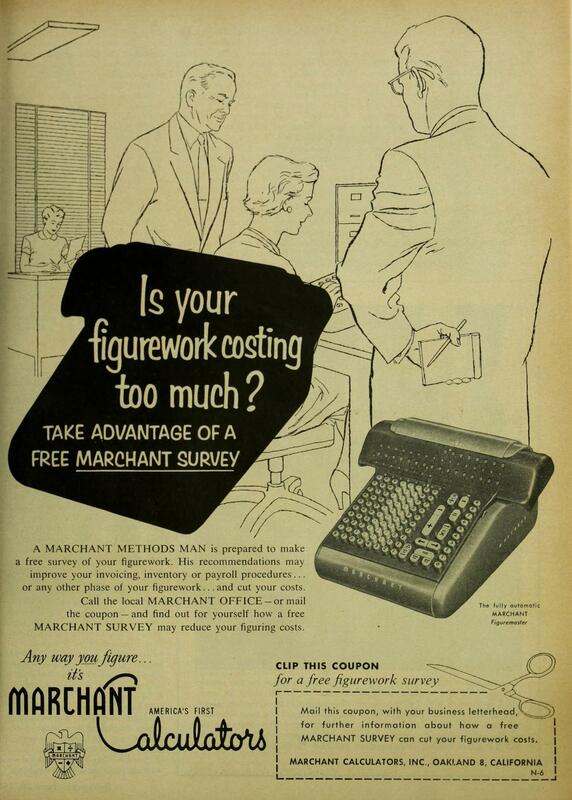 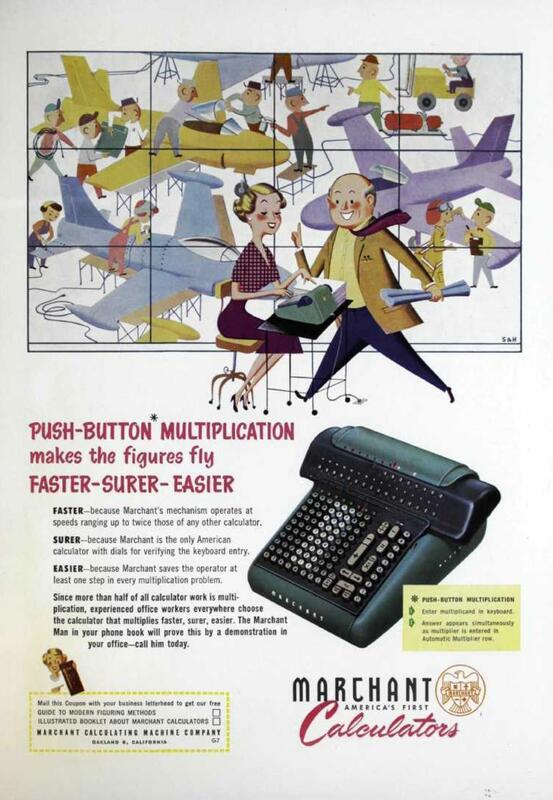 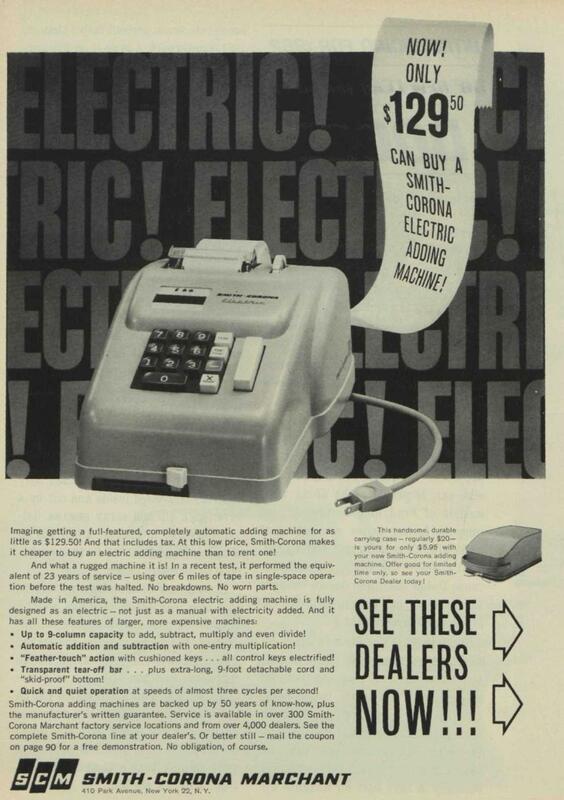 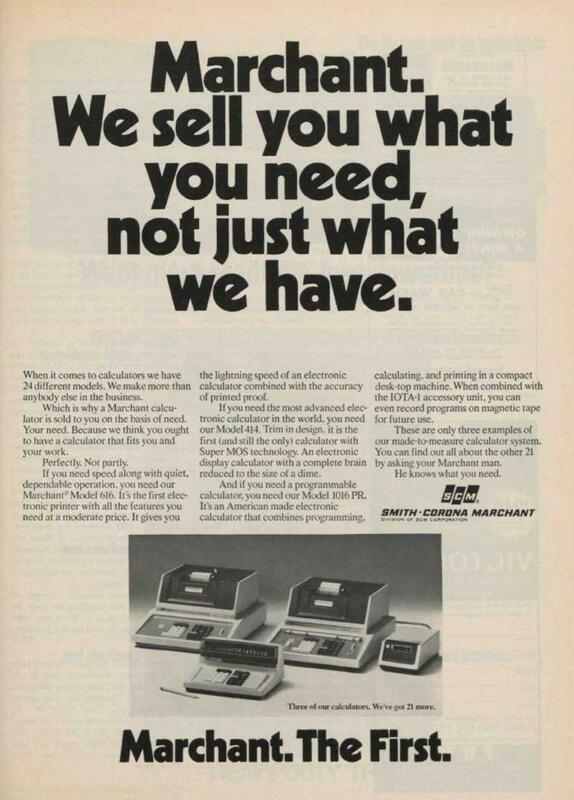 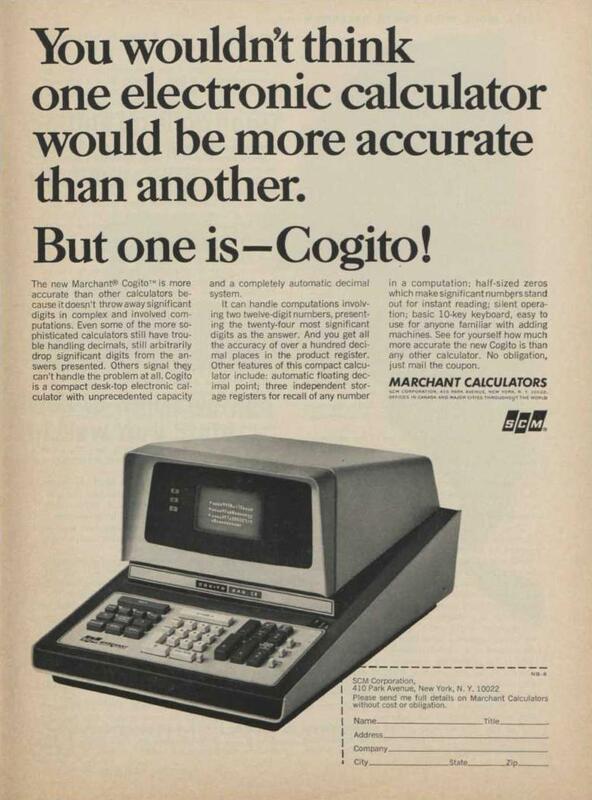 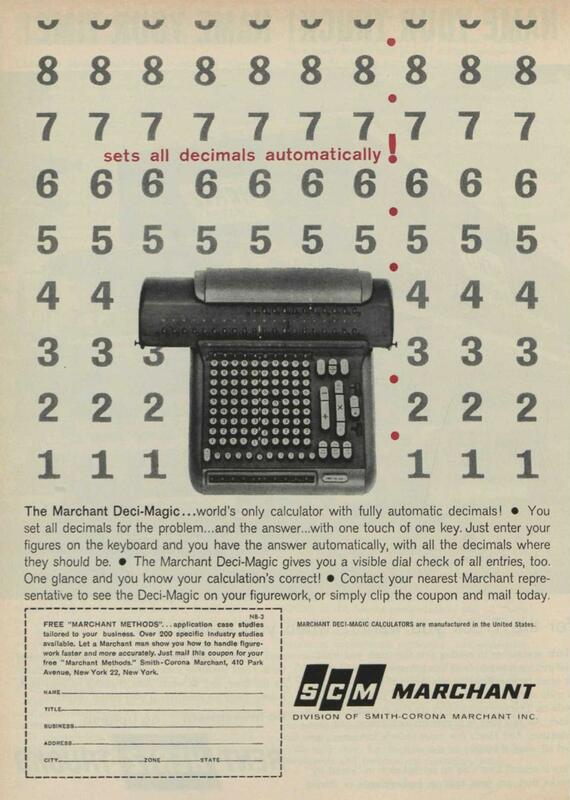 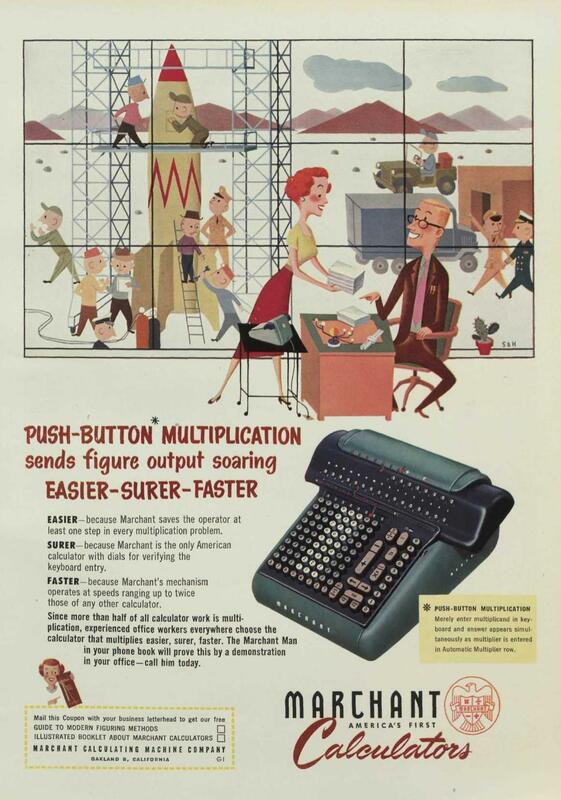 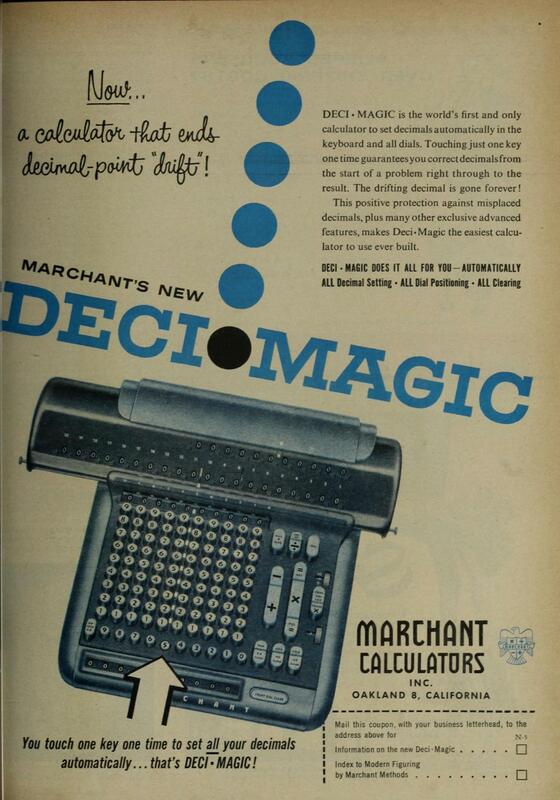 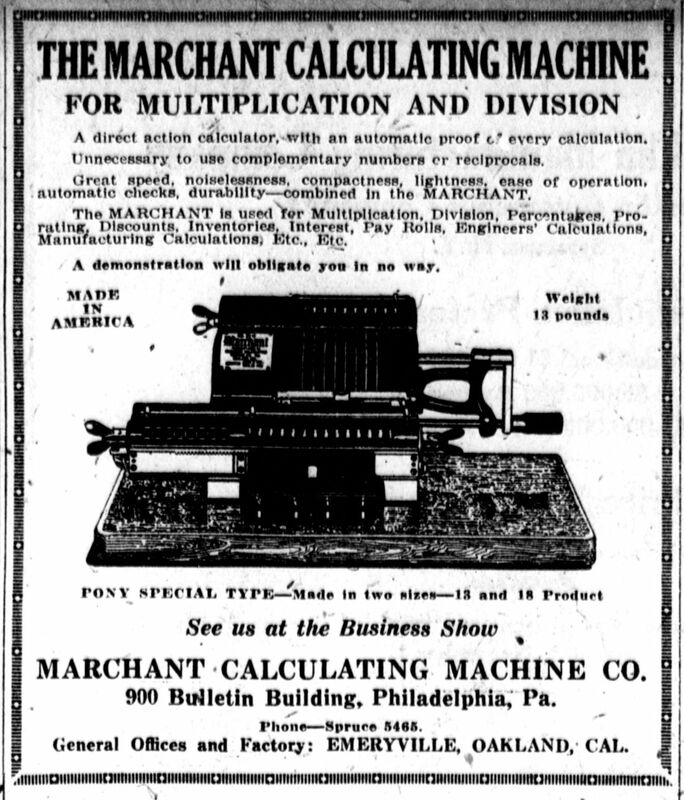 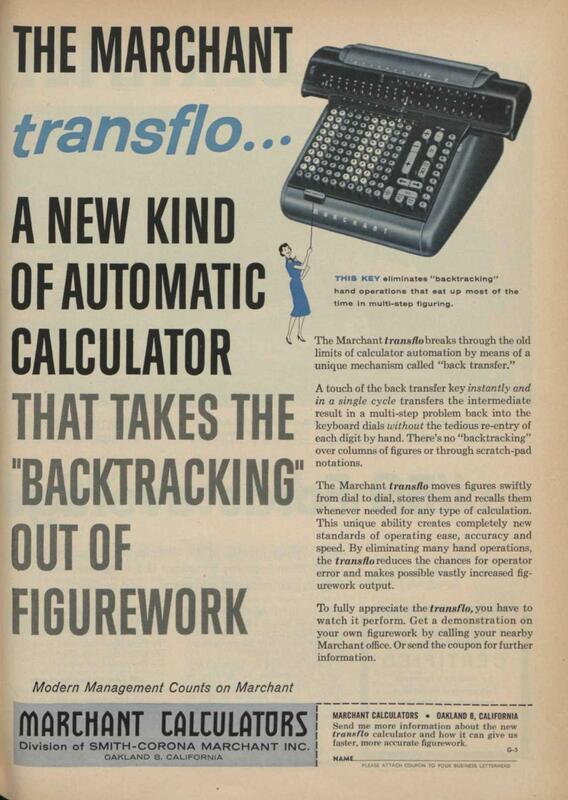 Ads for the Figuremaster, Figurematic, Deci-magic, Transflo, etc. 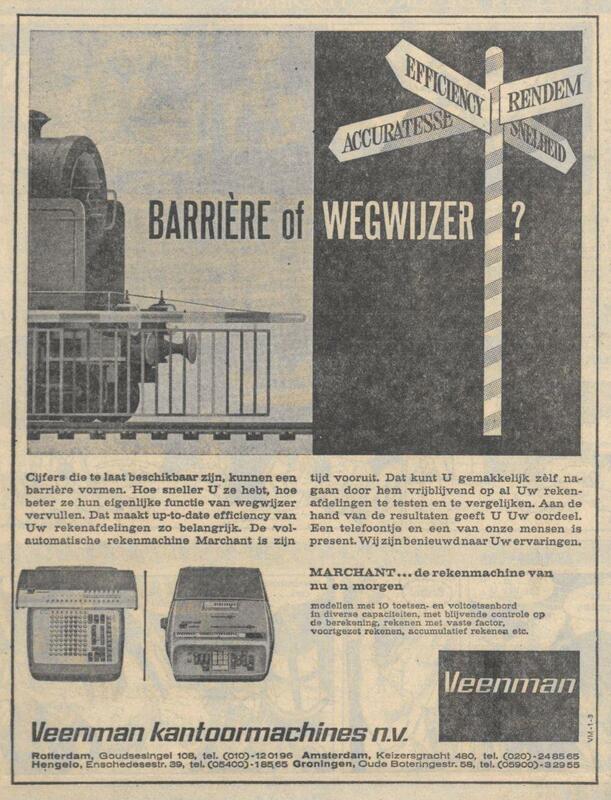 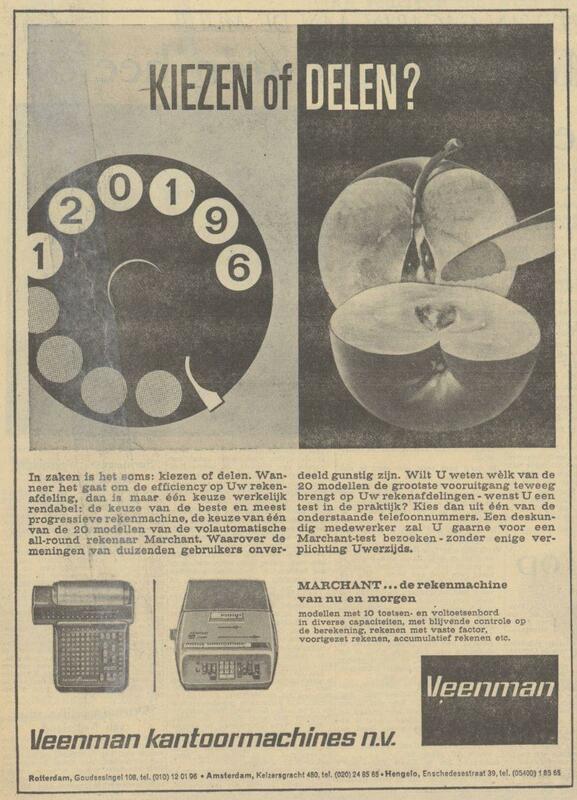 © Copyright 2019 Jaap Scherphuis, mechcalc a t jaapsch d o t net.